Congratulations to Alicia and Nathan on their recent marriage! 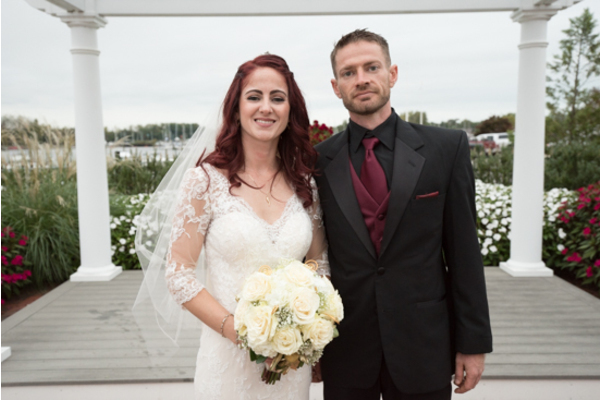 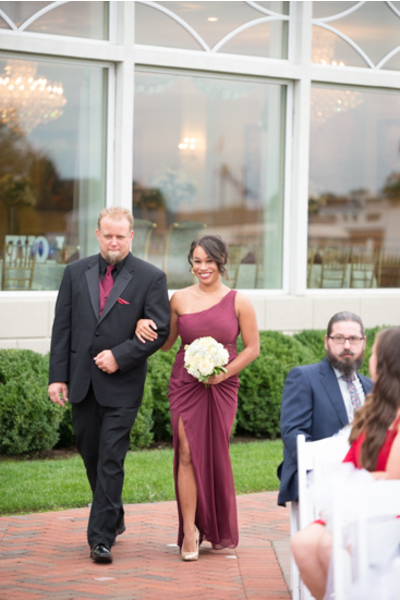 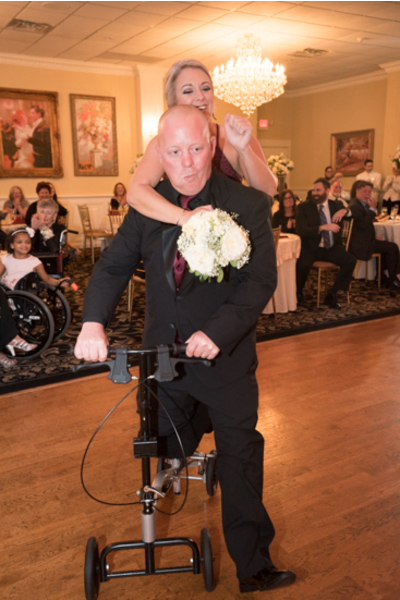 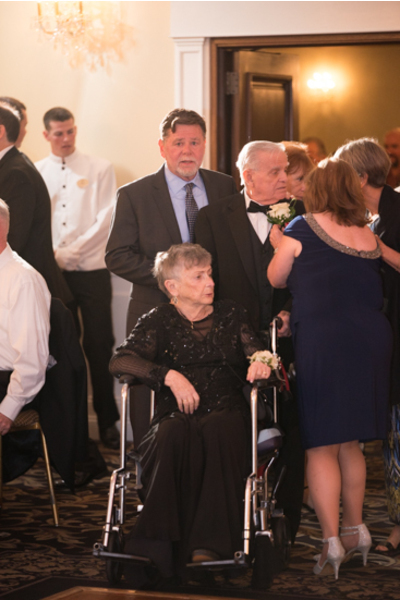 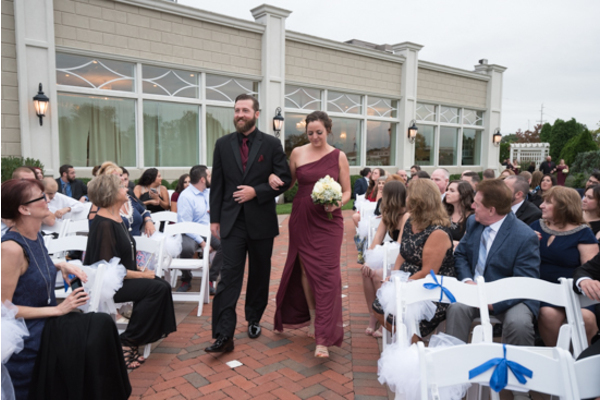 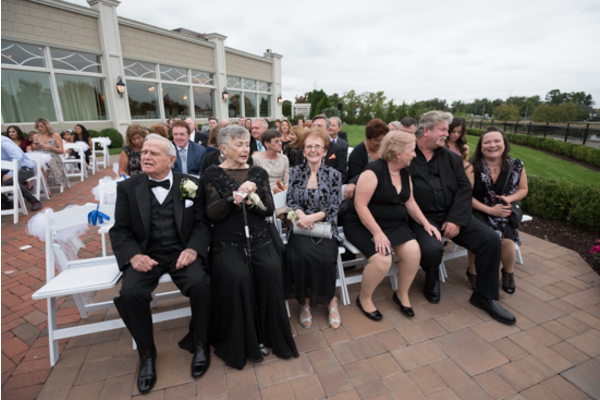 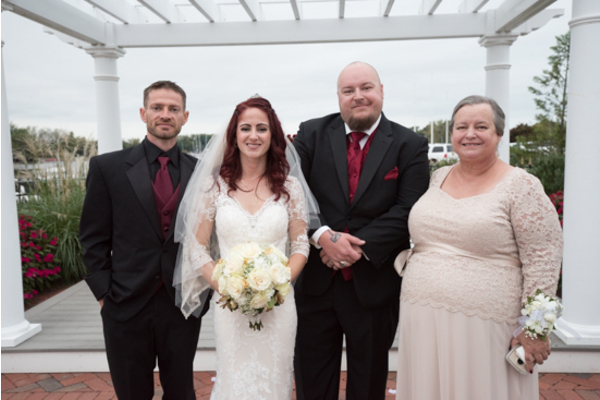 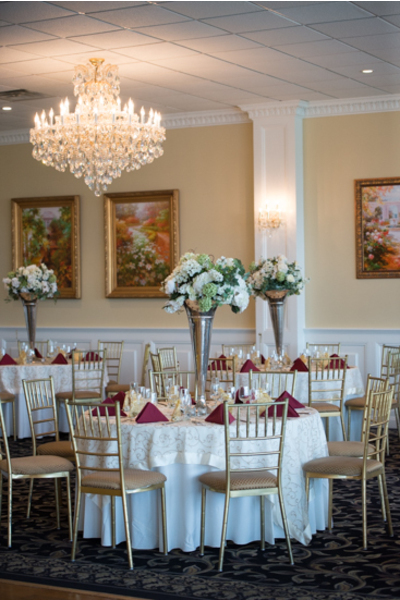 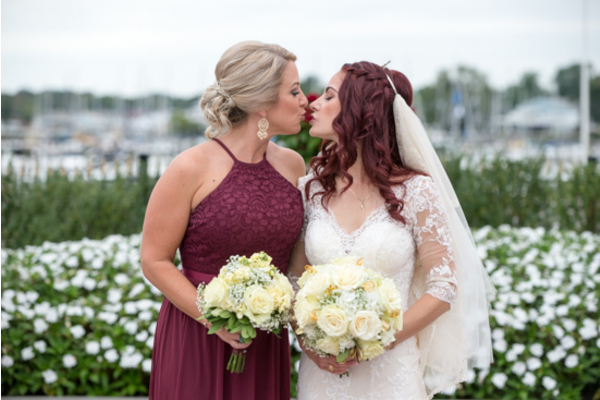 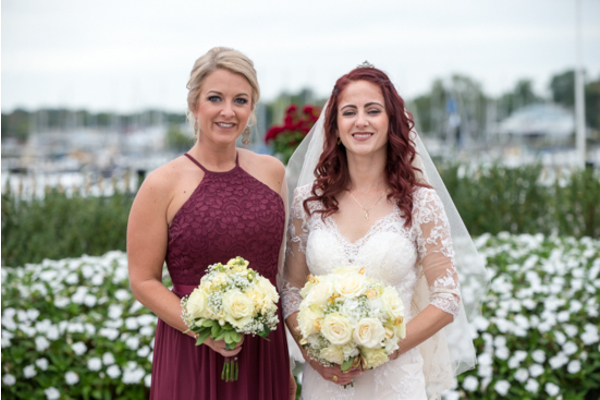 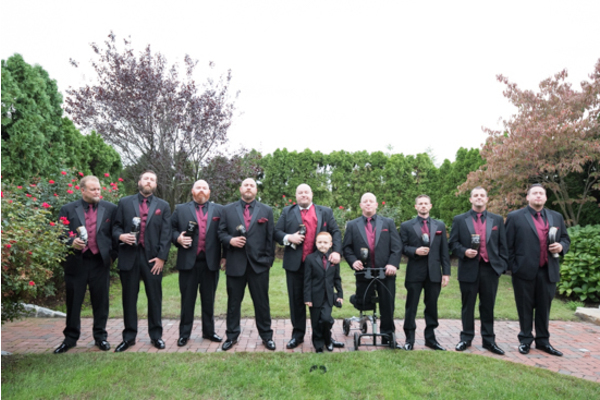 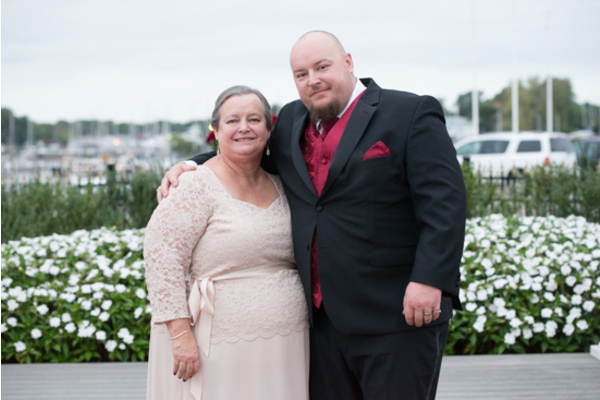 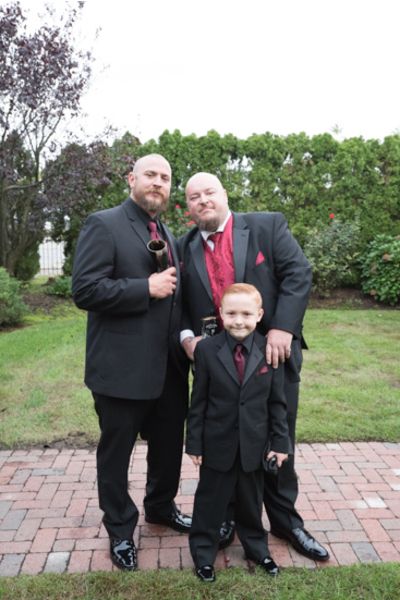 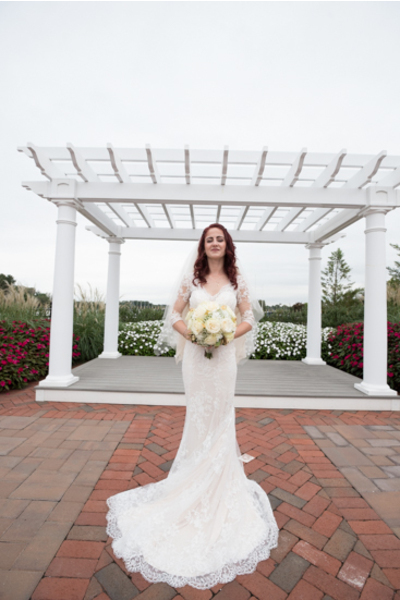 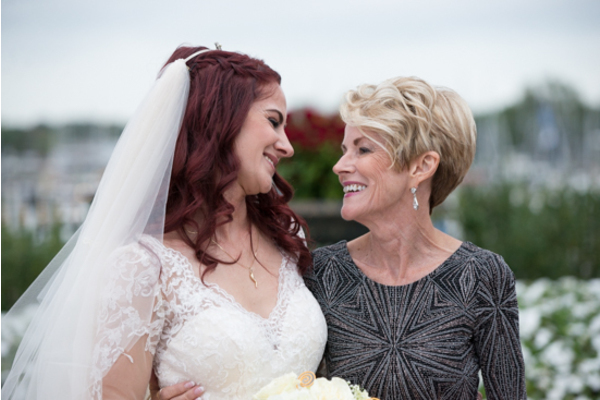 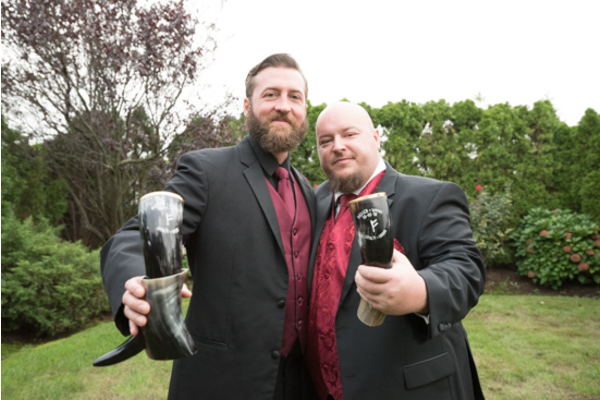 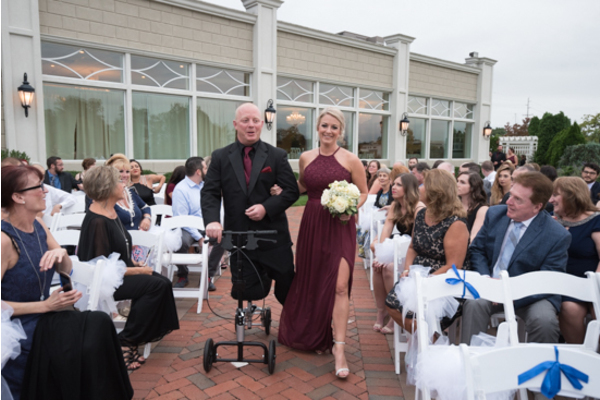 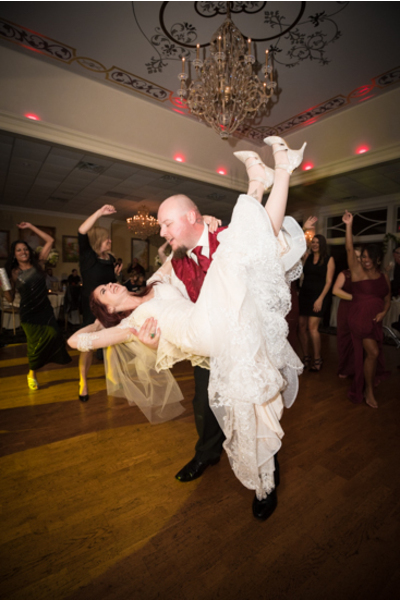 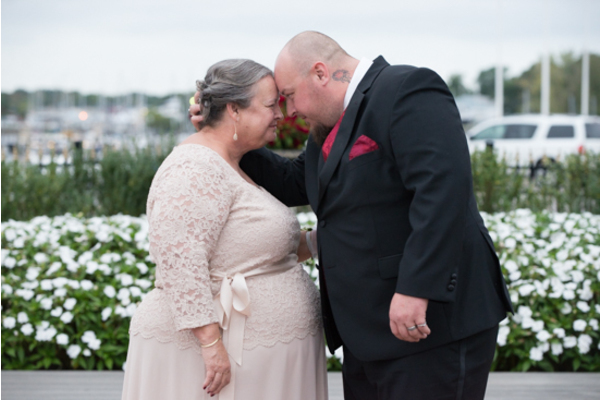 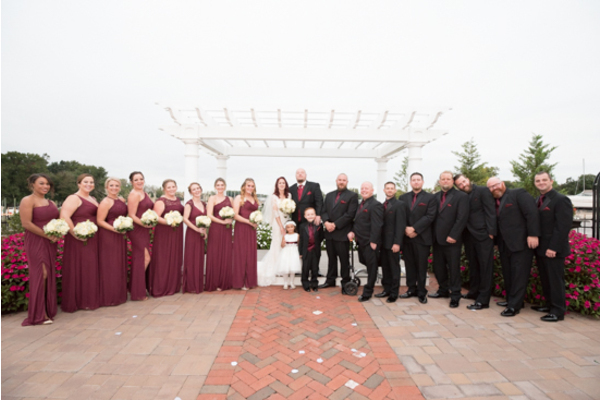 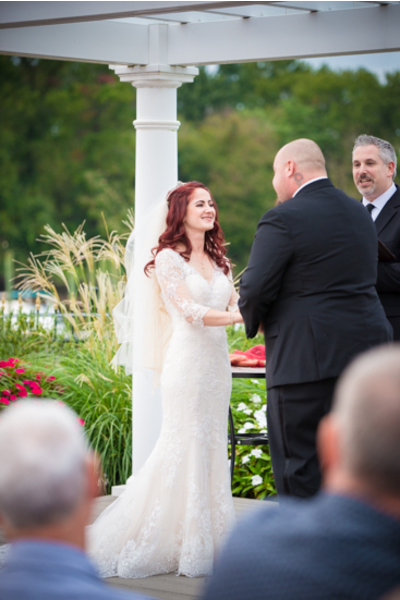 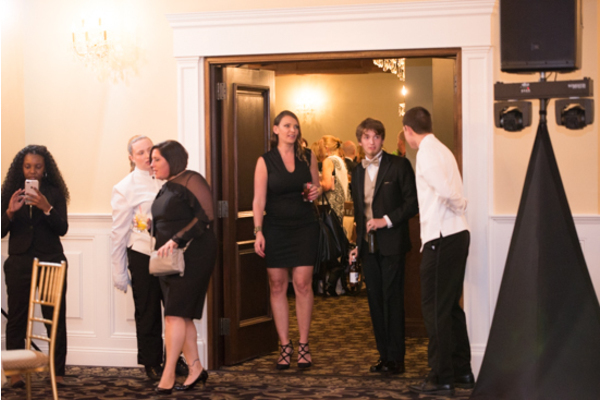 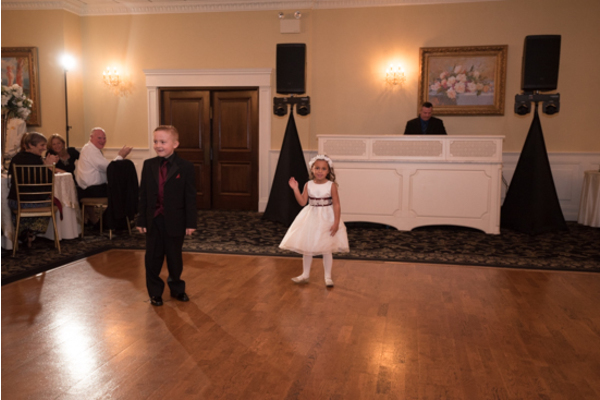 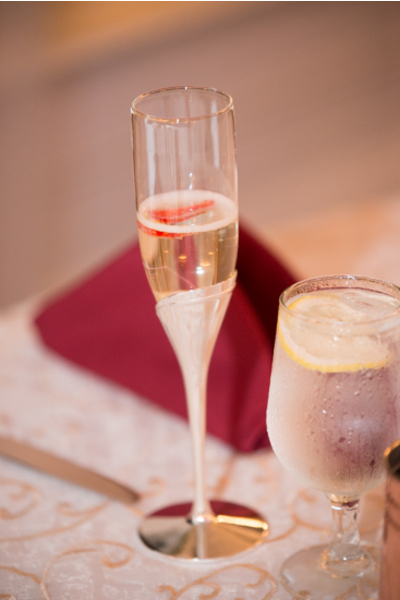 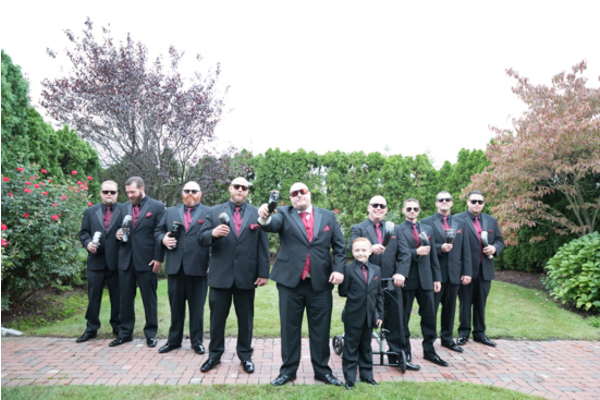 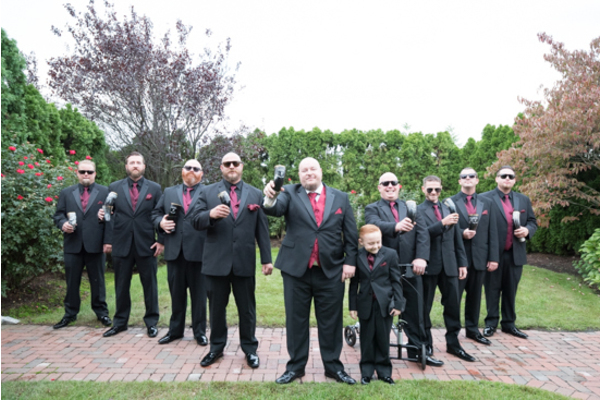 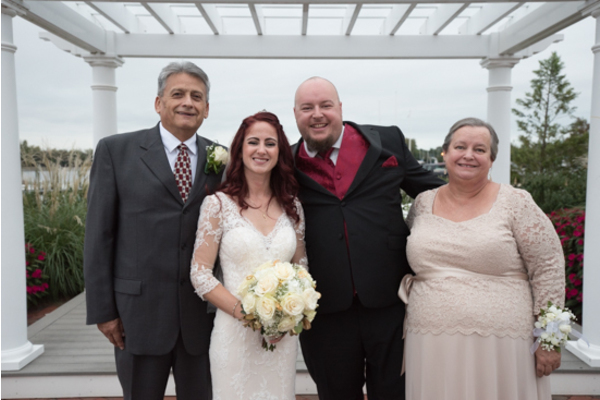 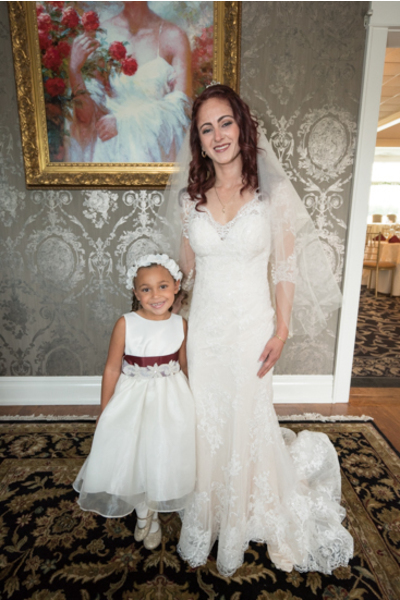 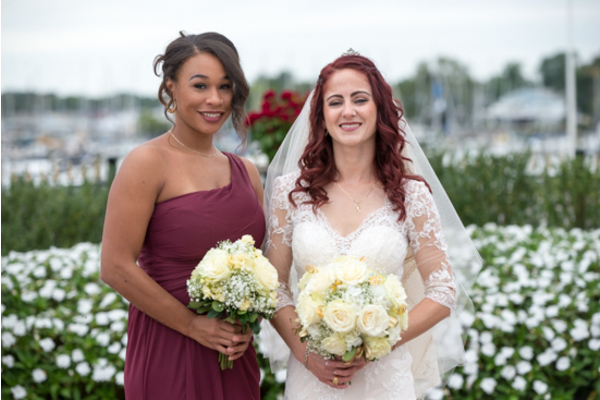 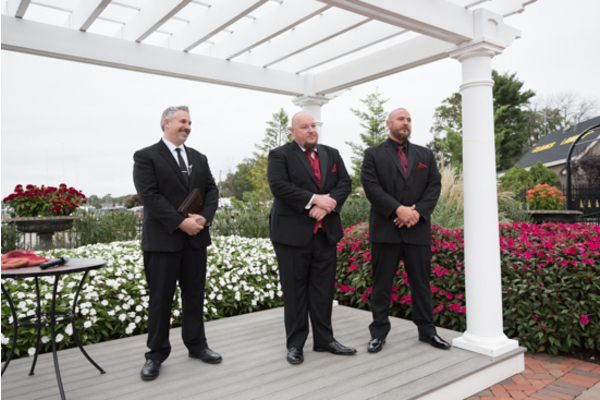 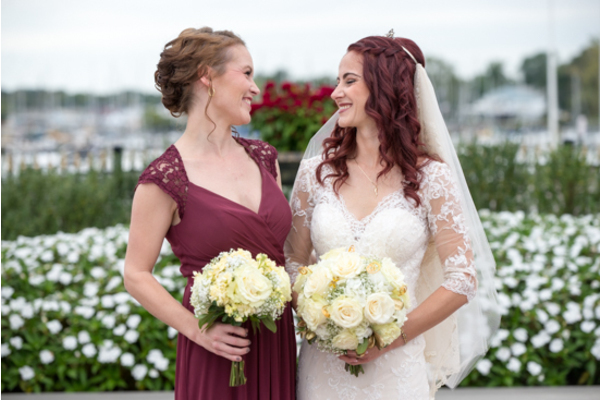 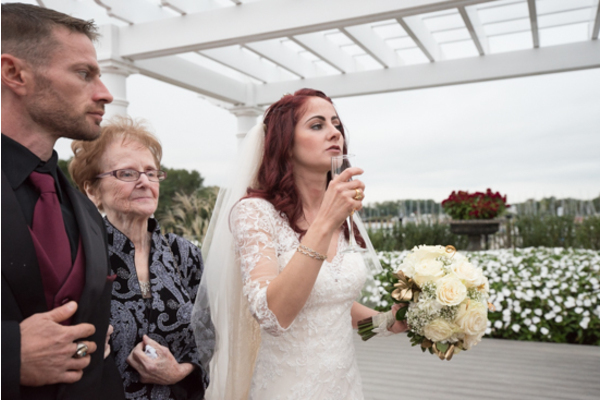 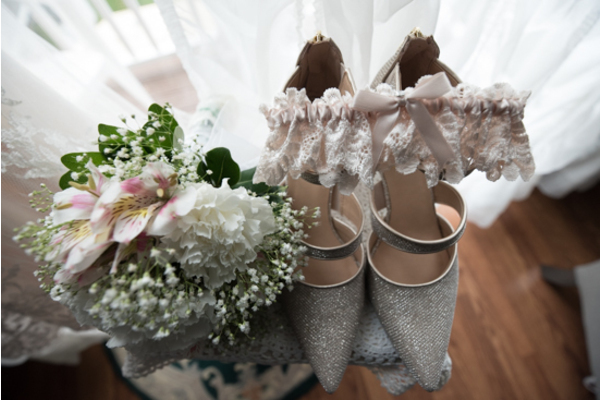 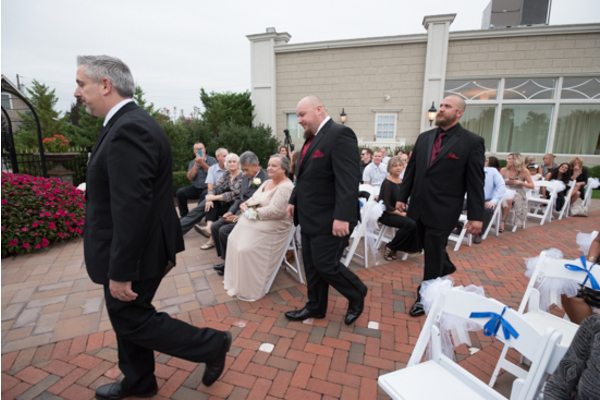 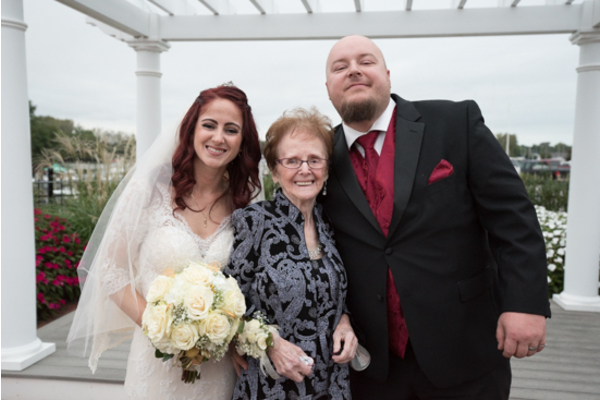 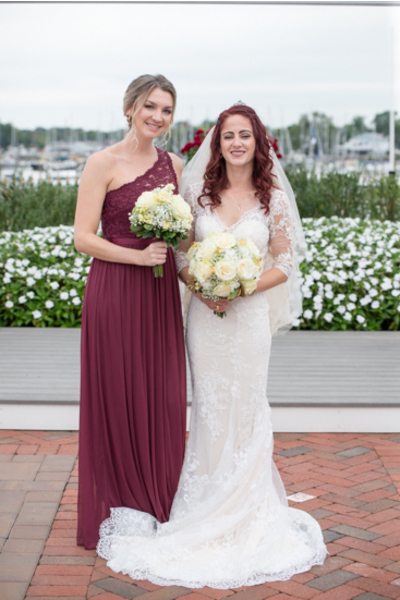 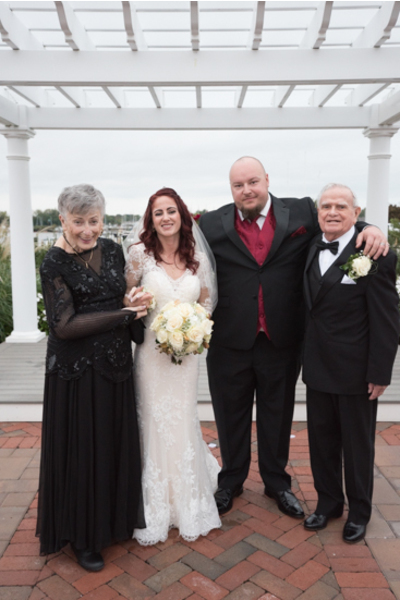 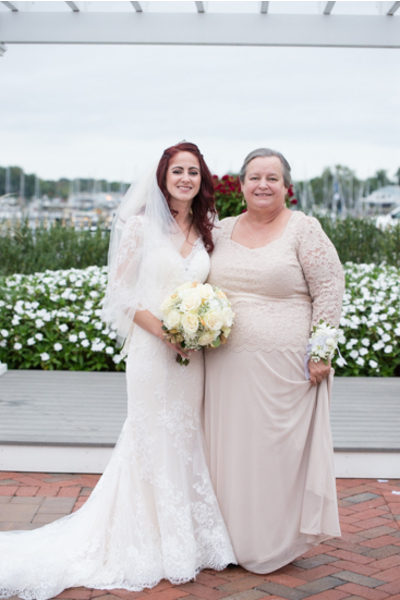 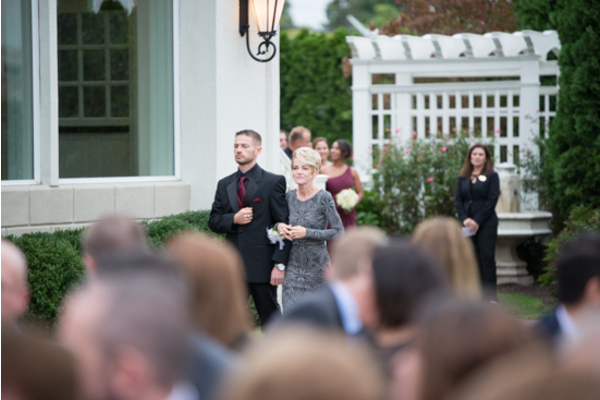 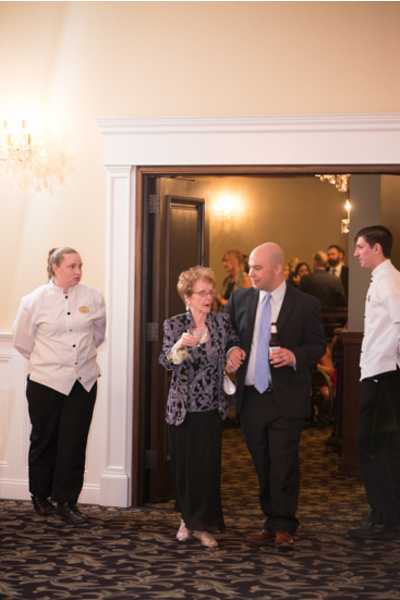 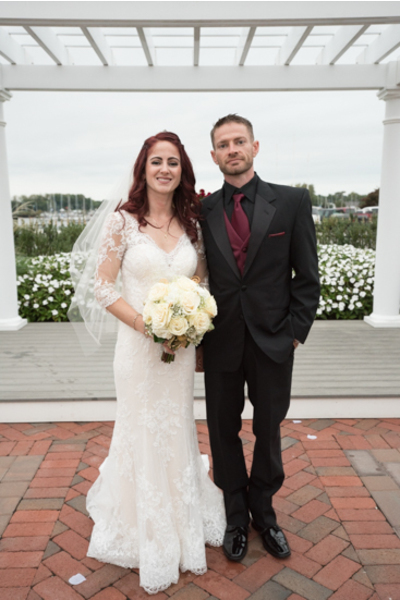 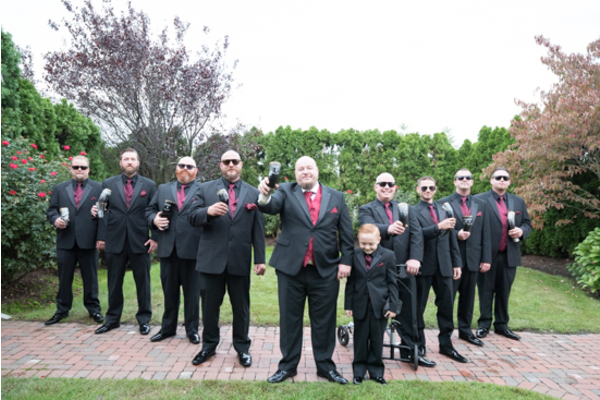 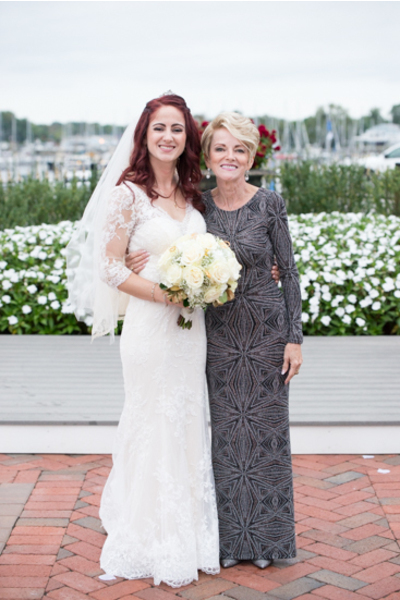 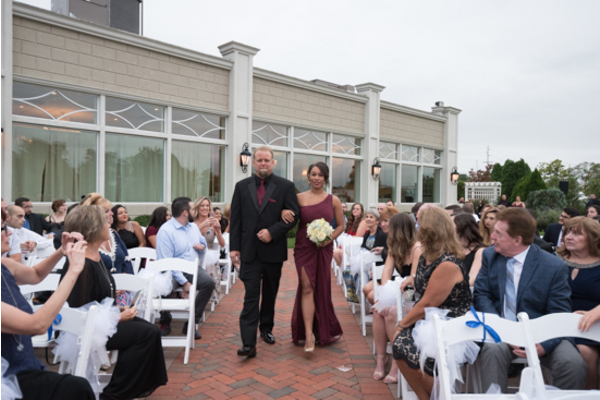 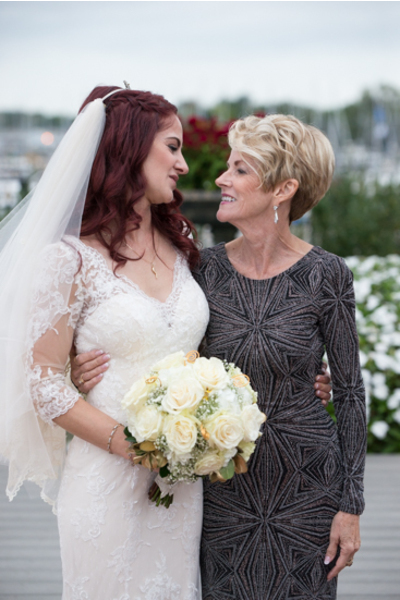 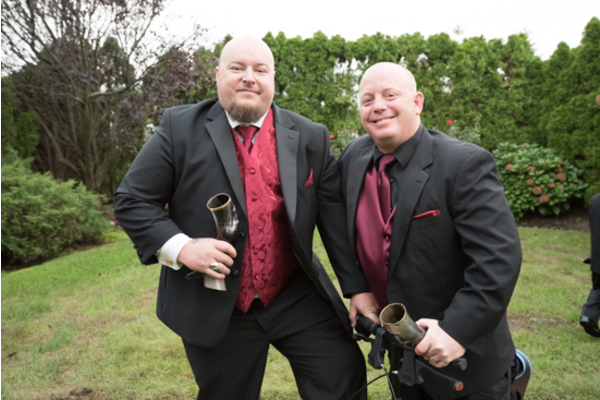 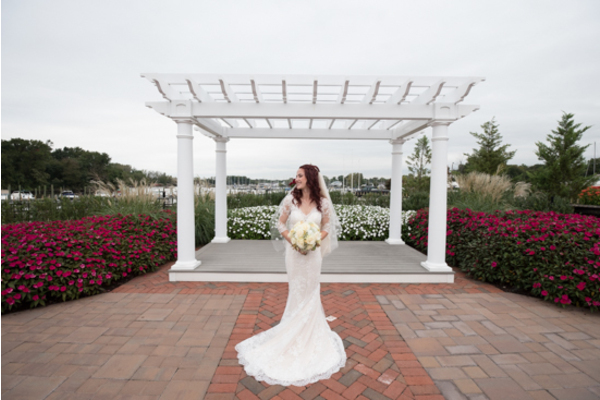 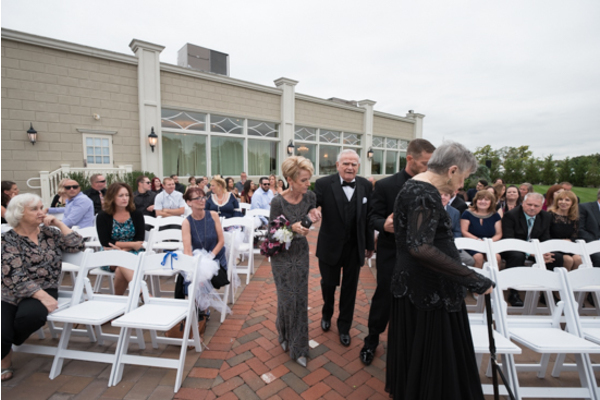 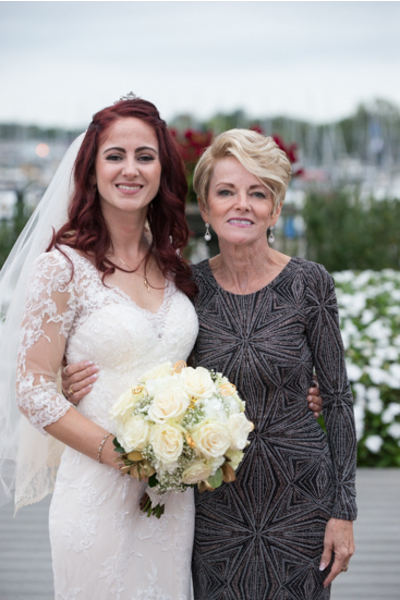 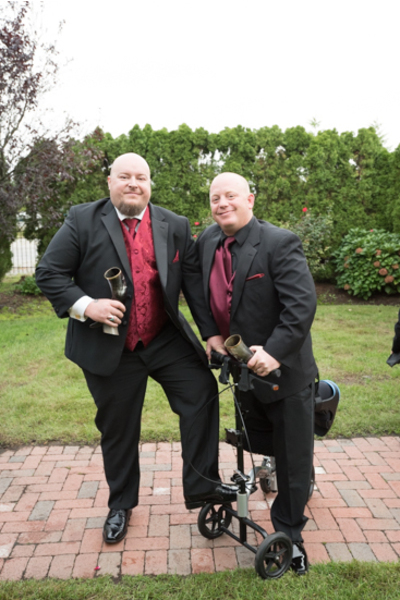 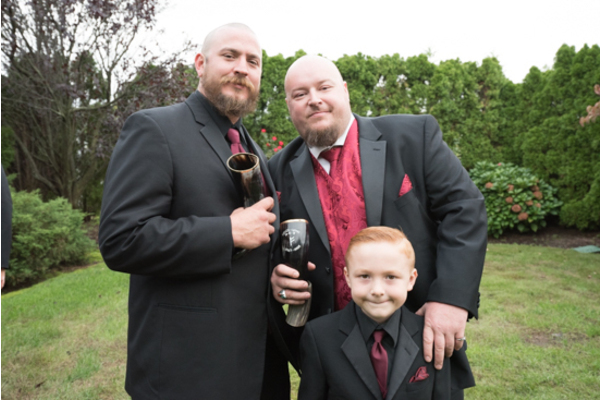 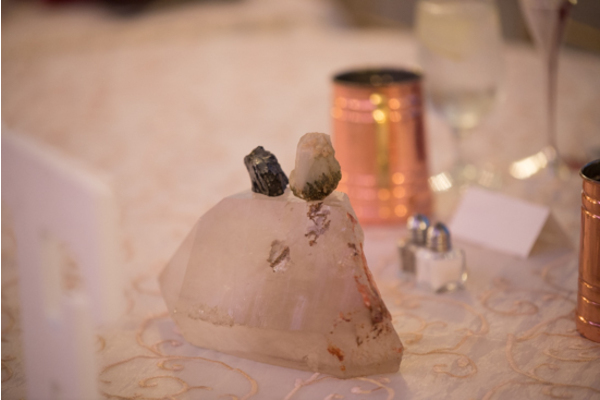 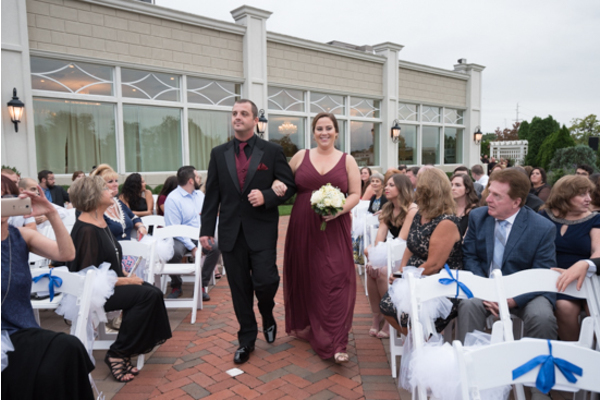 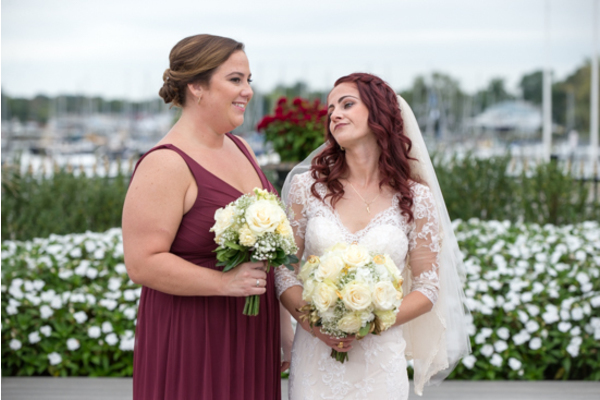 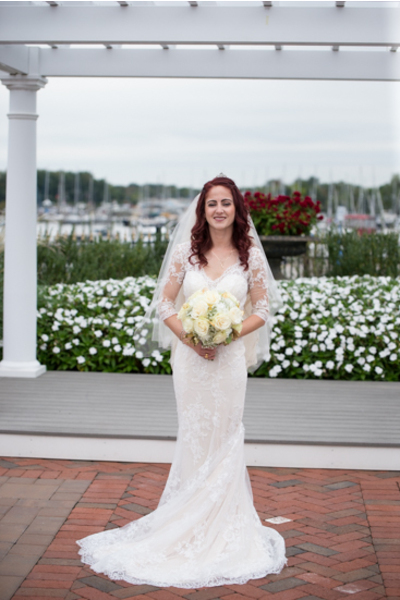 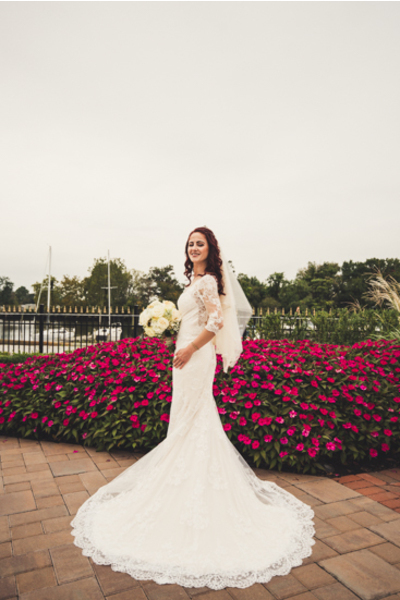 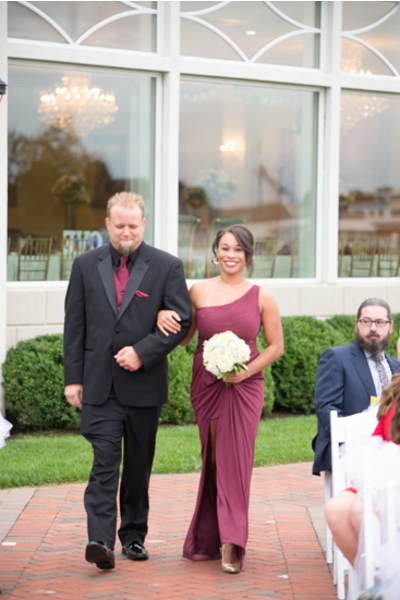 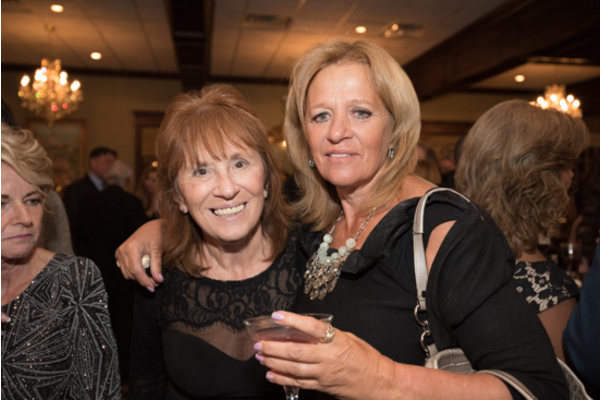 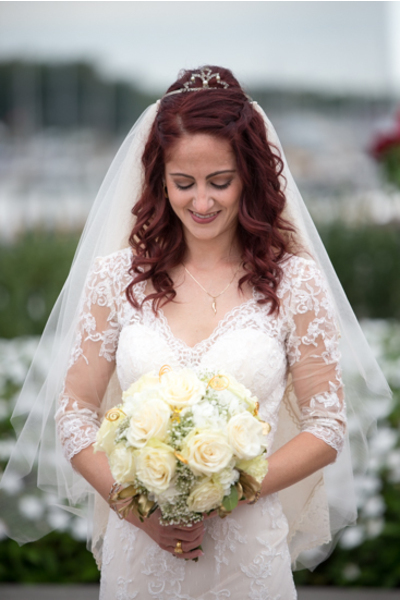 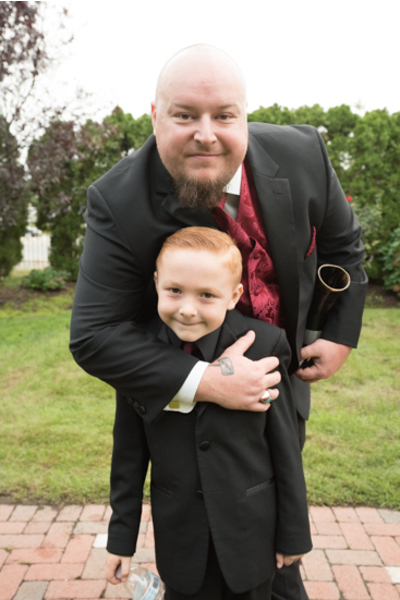 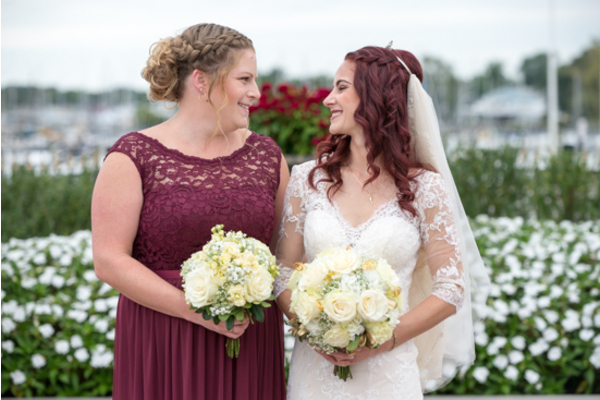 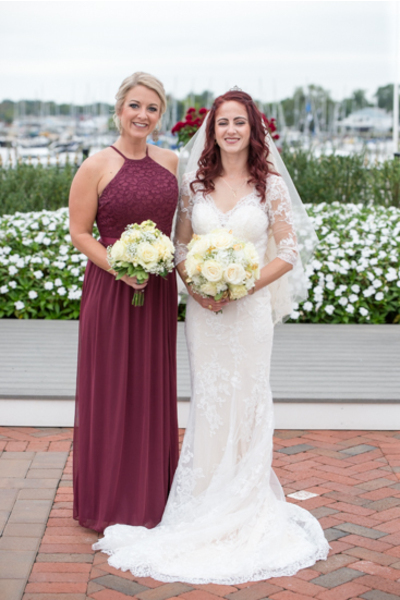 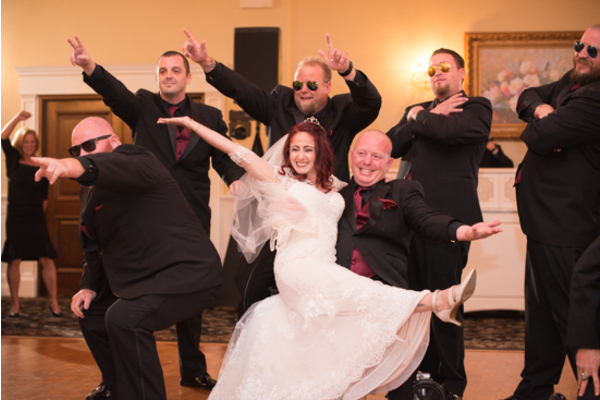 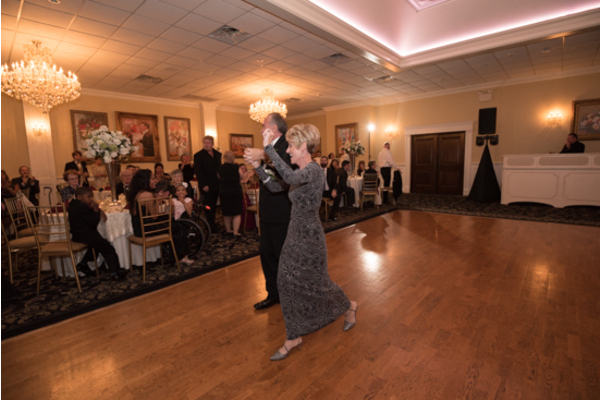 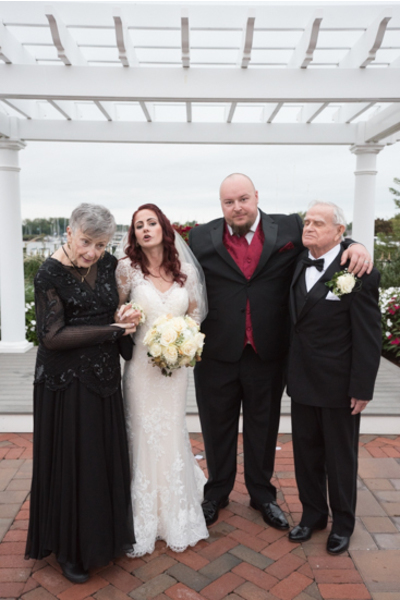 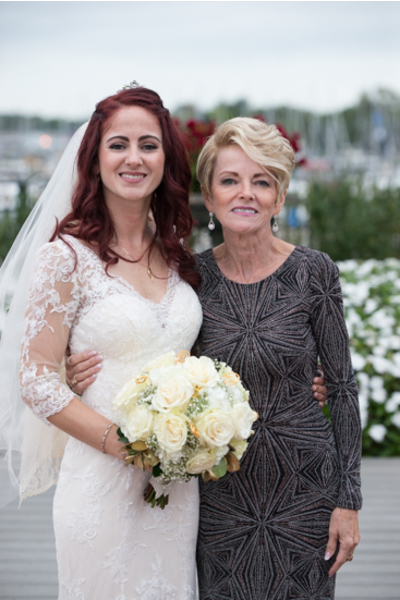 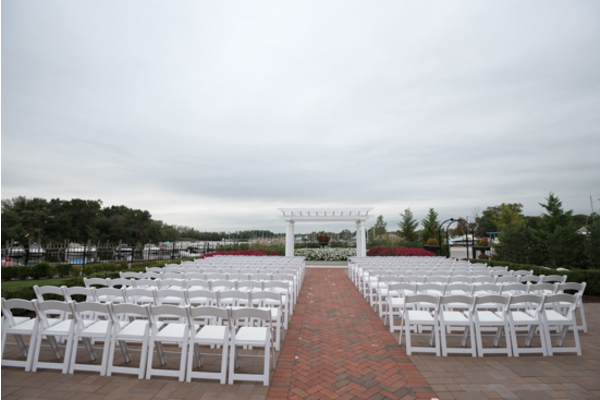 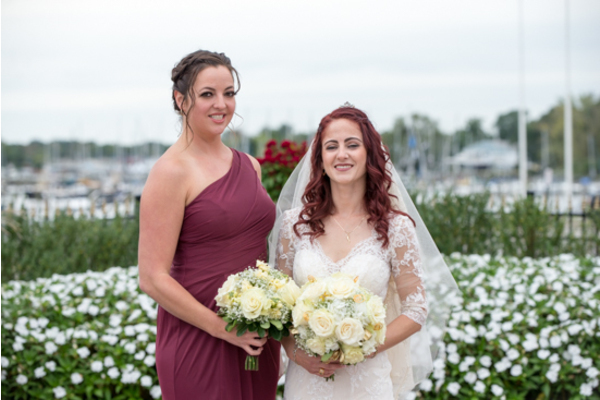 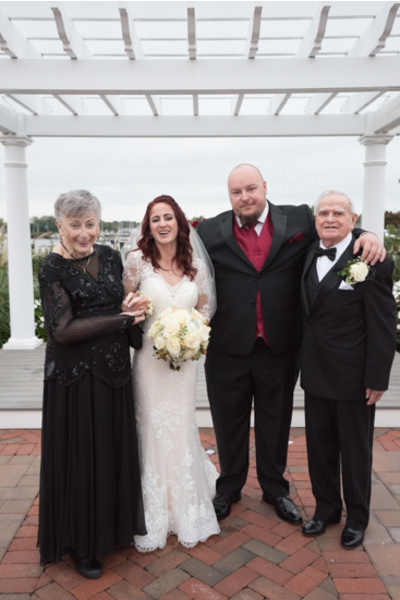 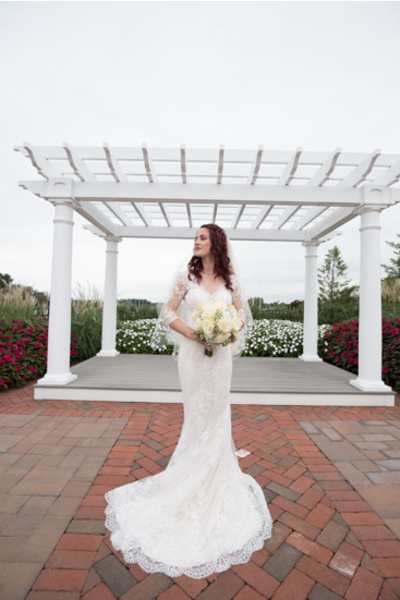 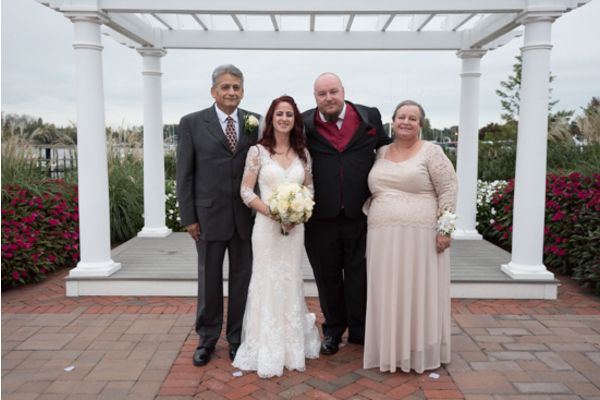 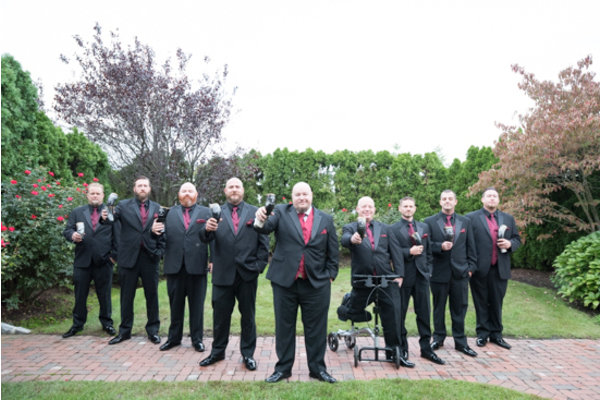 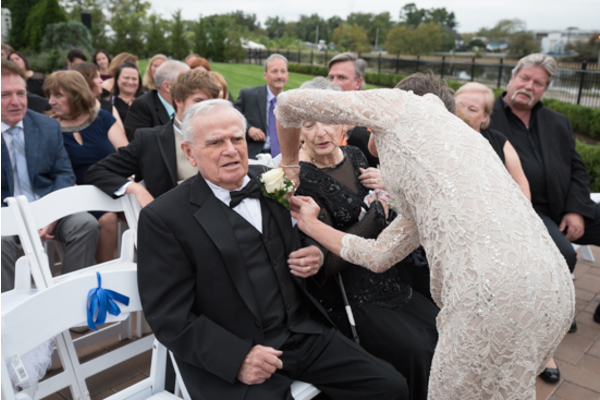 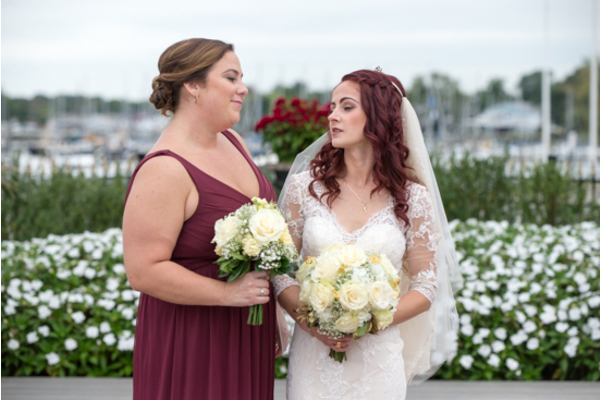 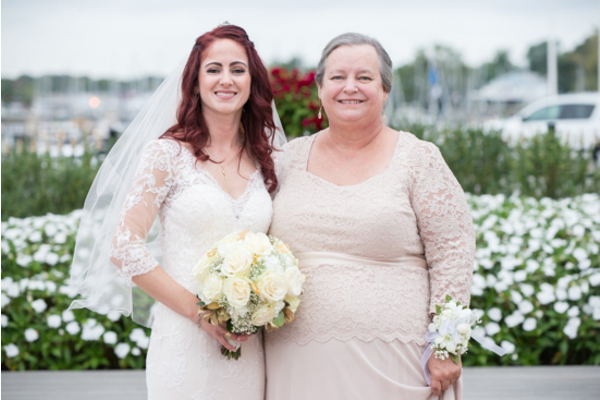 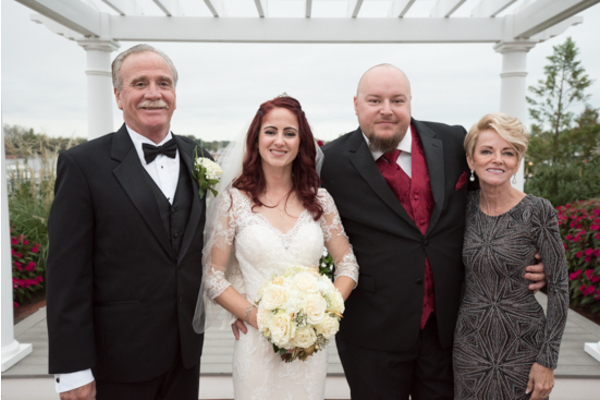 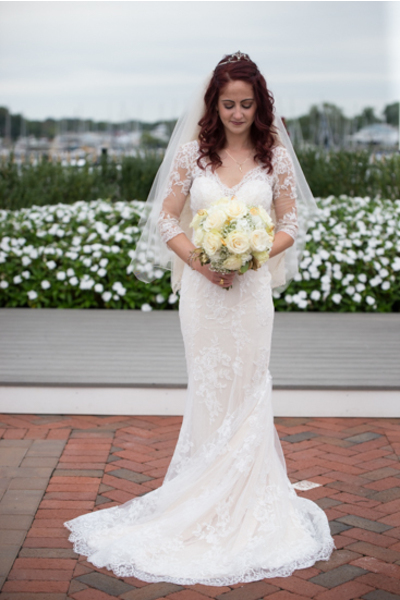 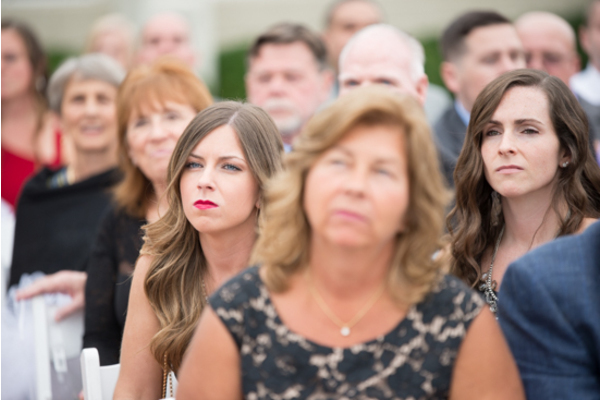 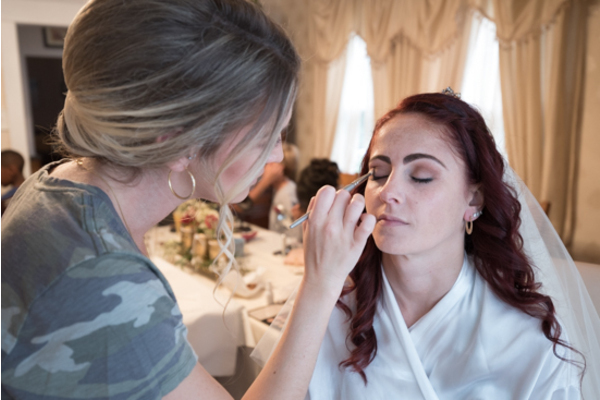 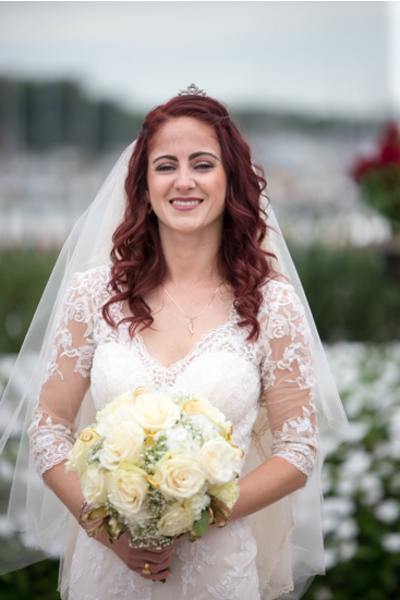 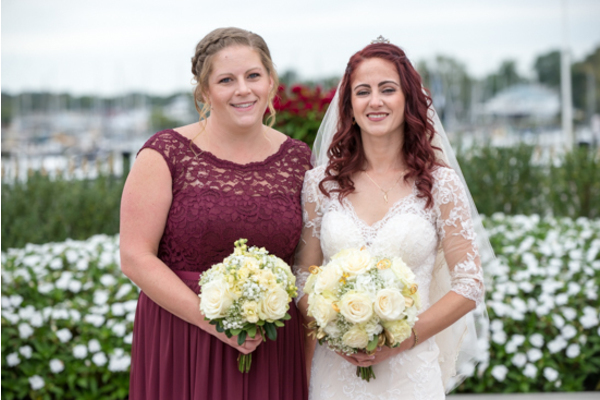 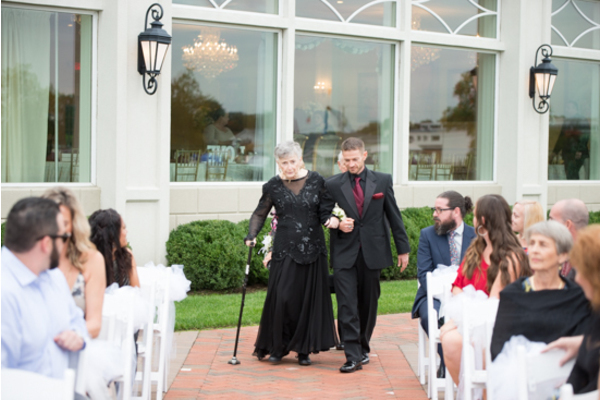 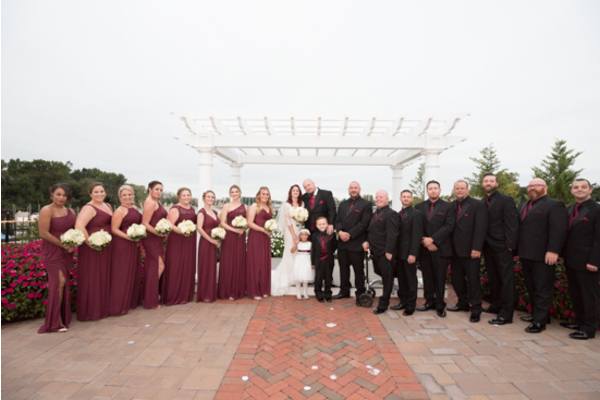 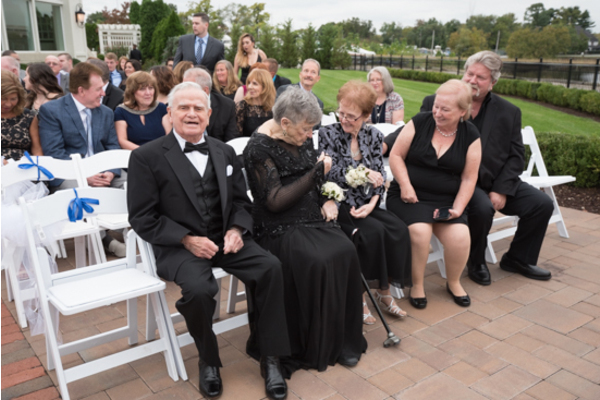 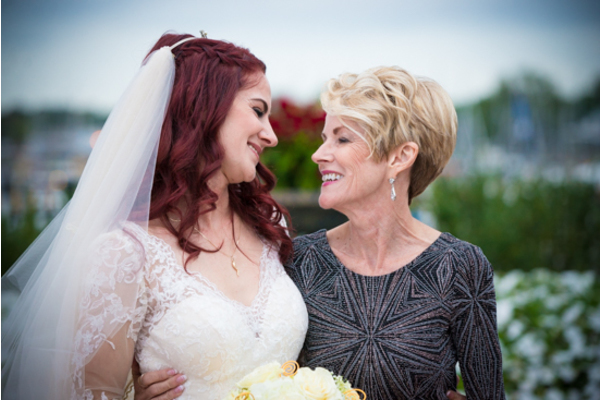 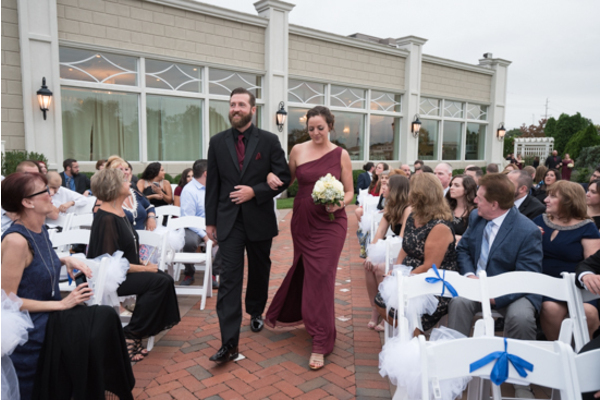 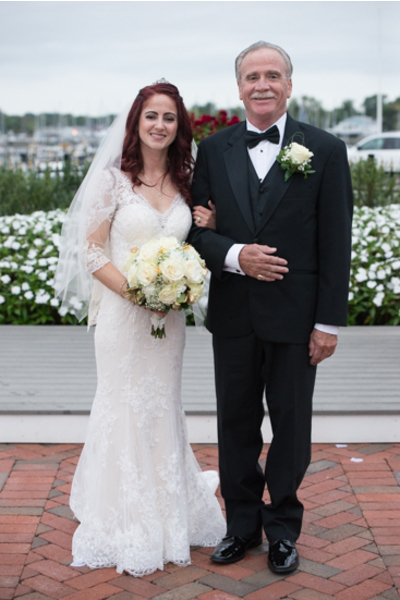 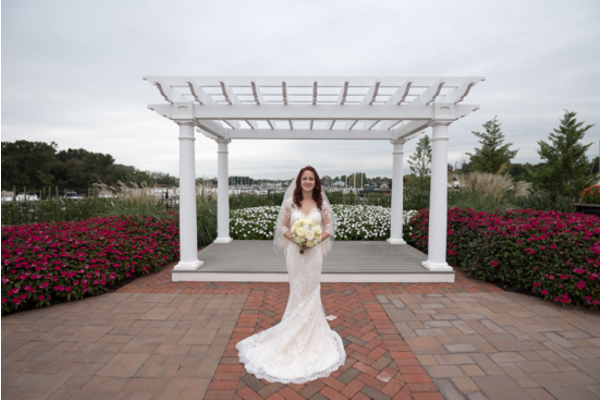 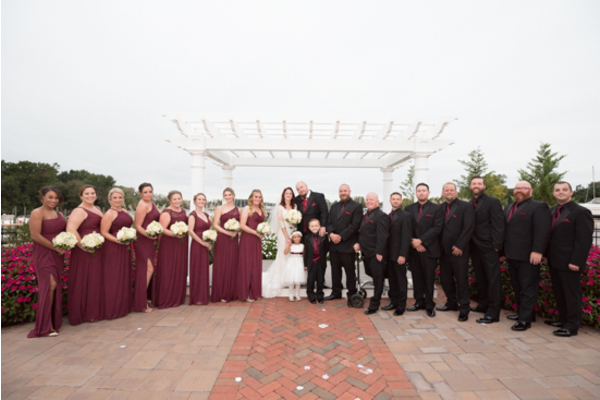 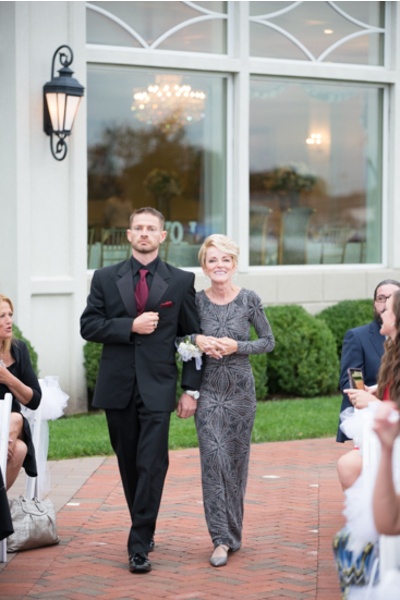 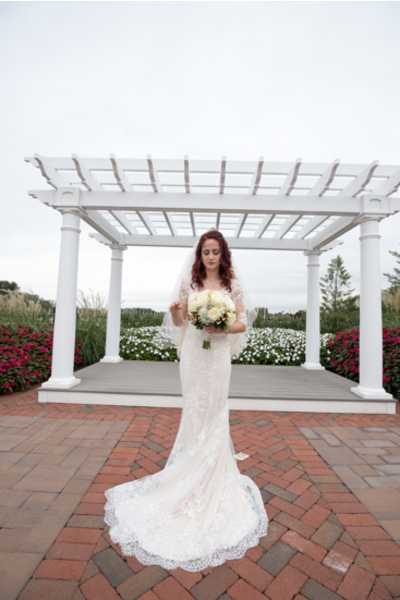 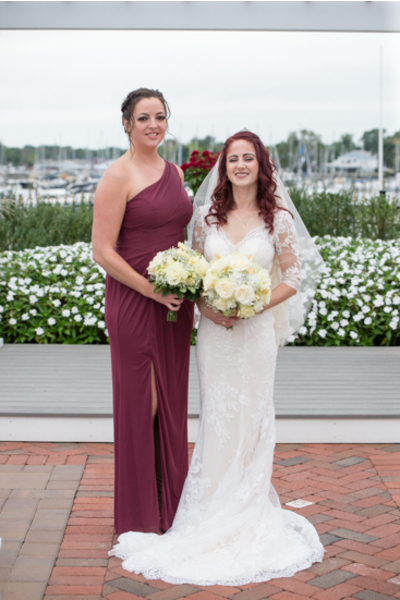 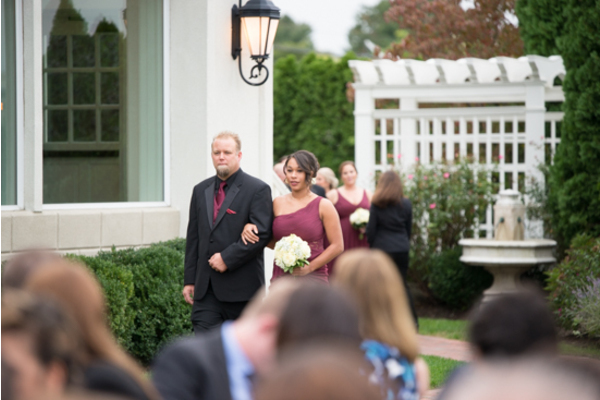 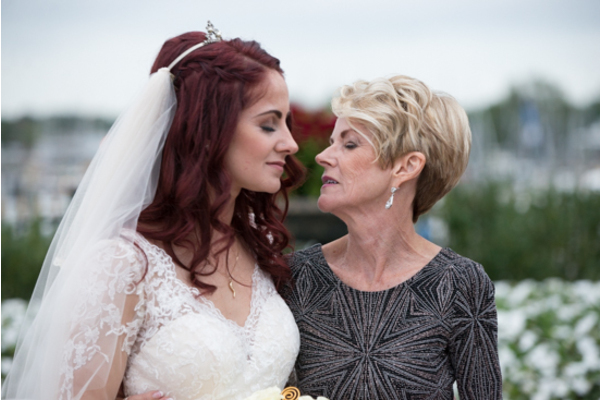 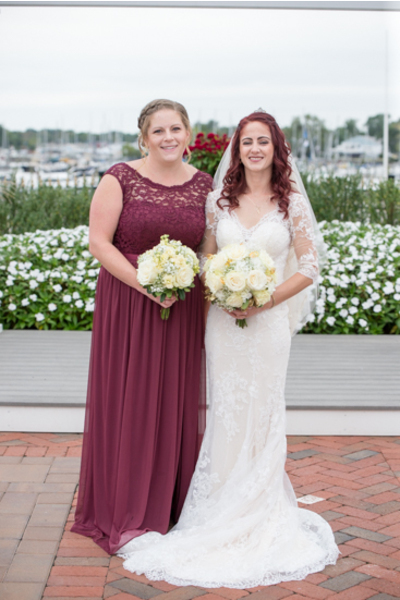 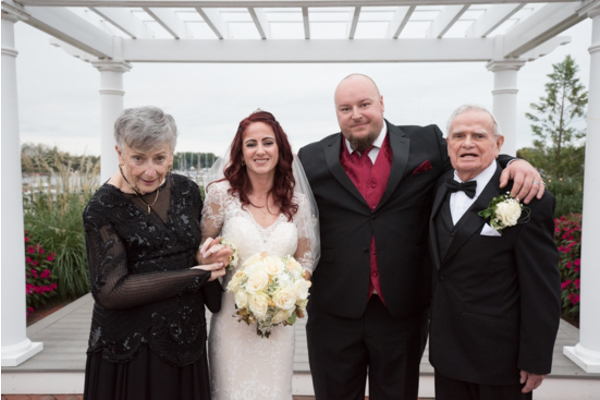 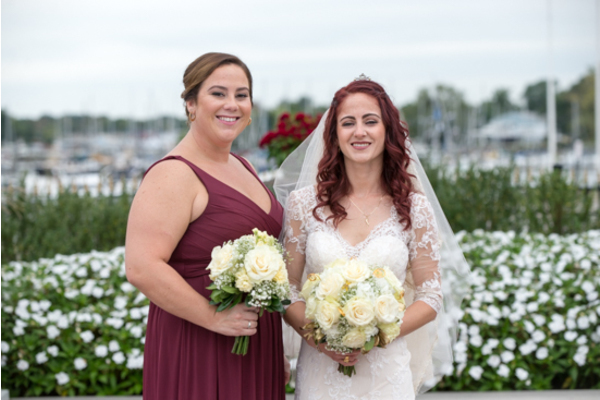 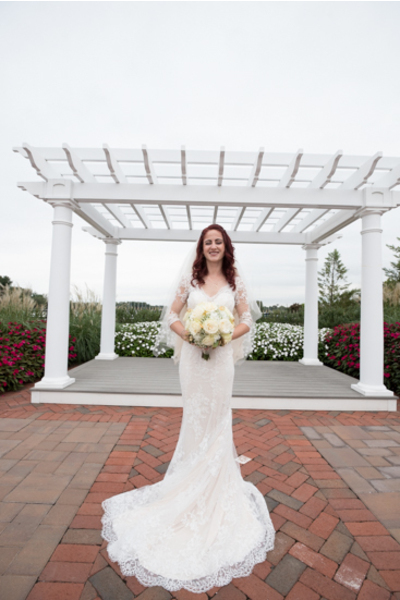 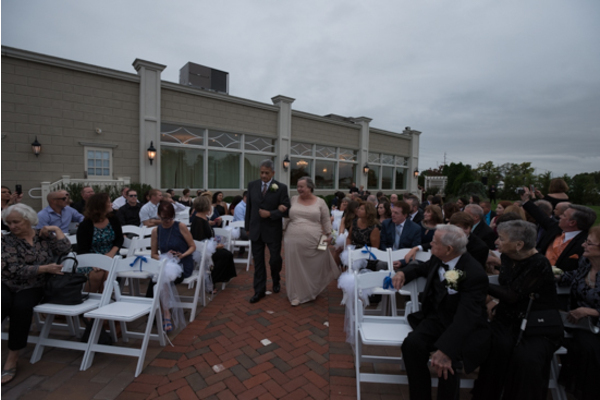 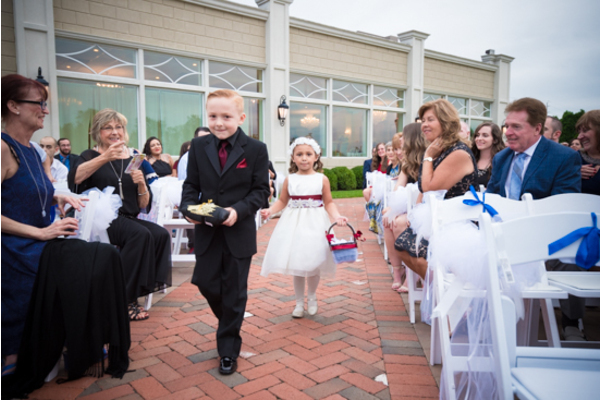 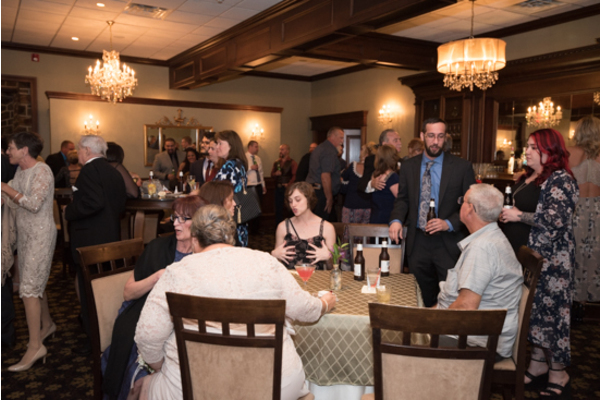 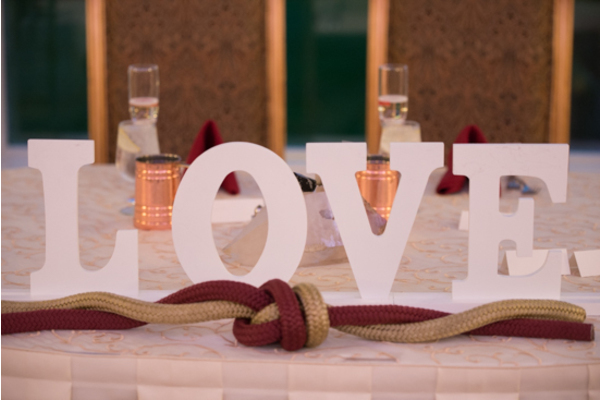 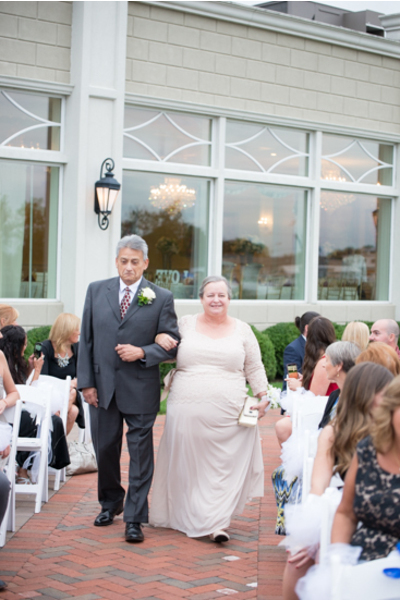 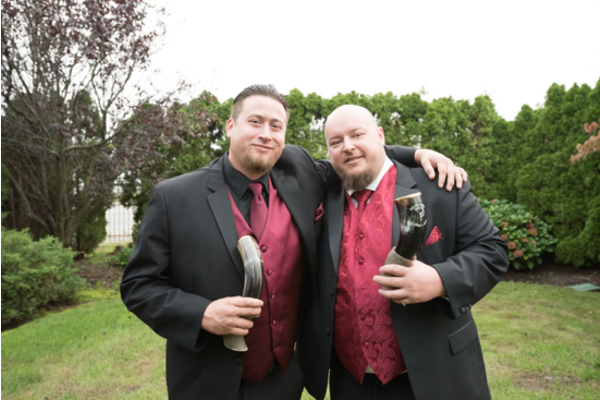 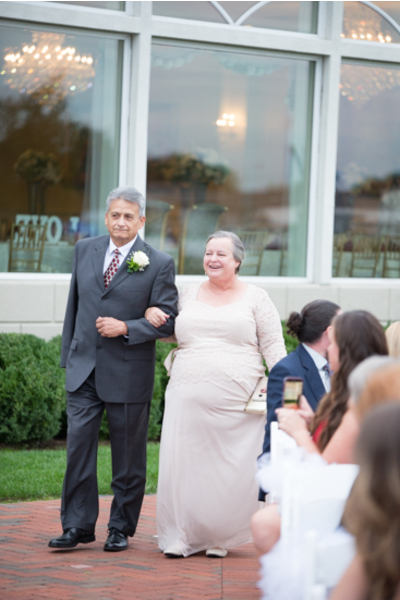 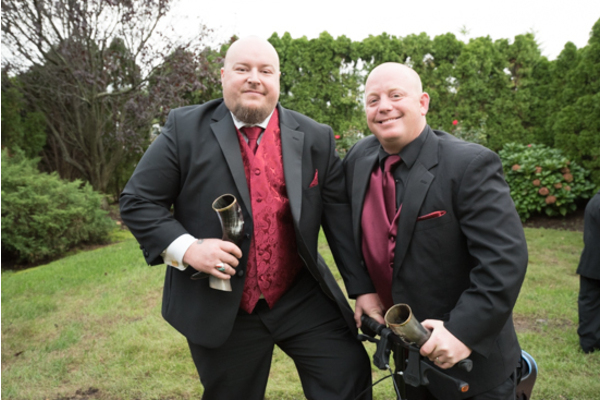 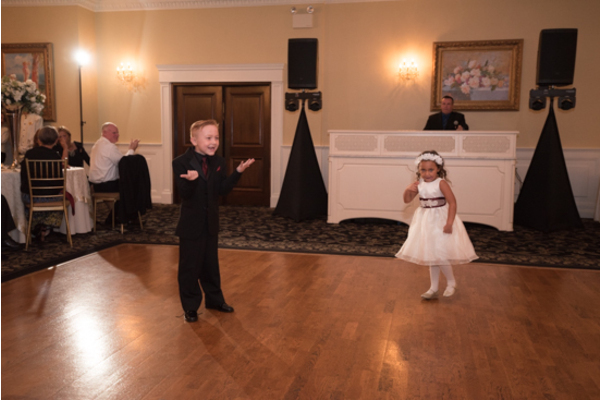 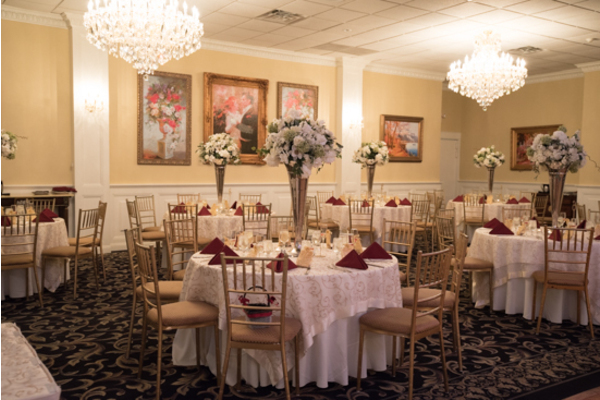 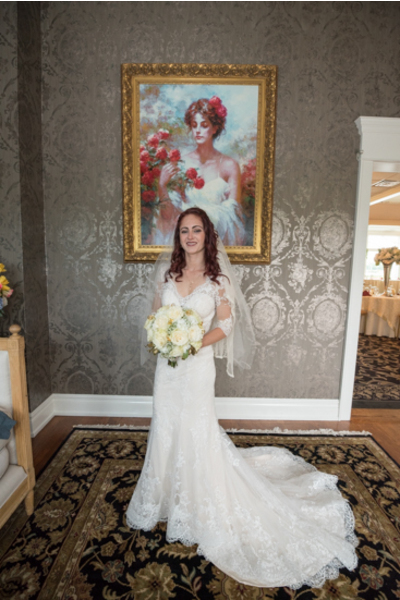 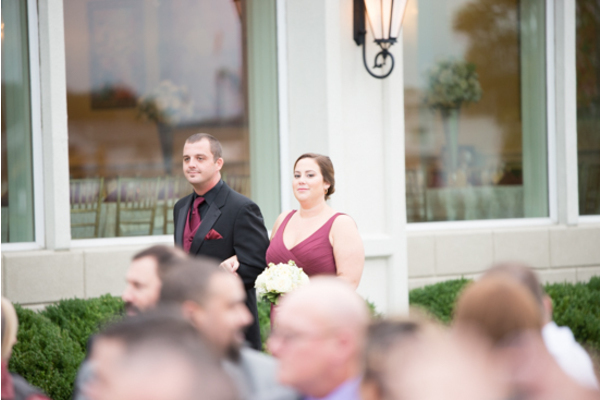 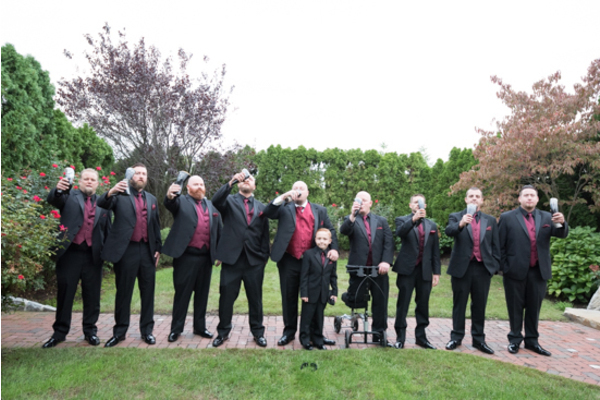 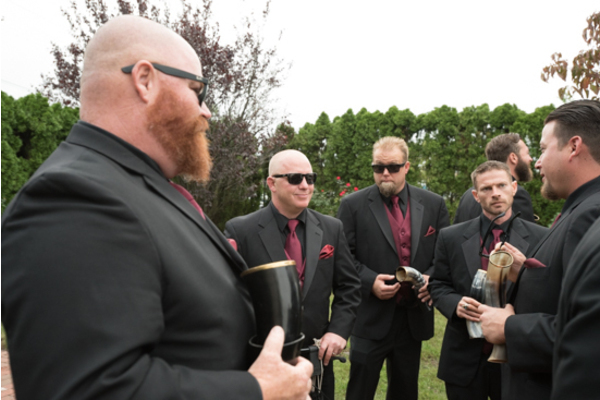 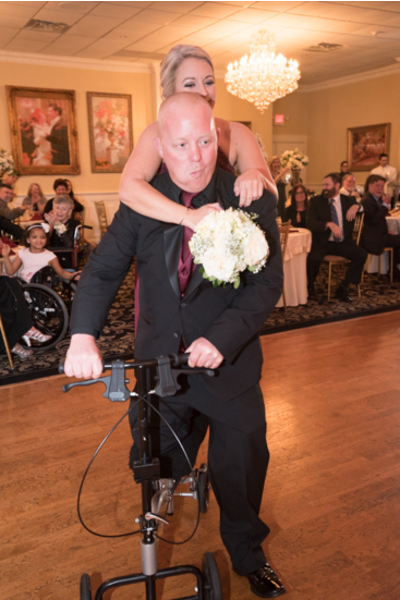 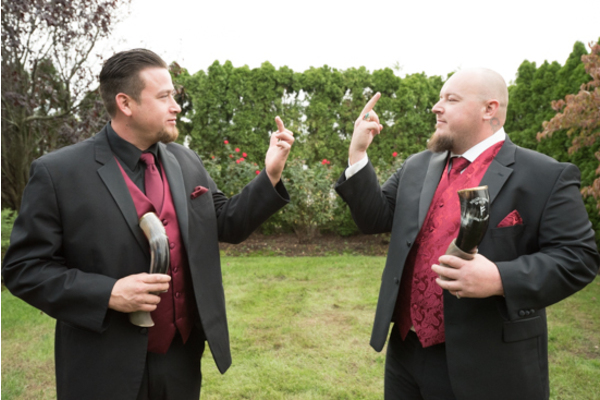 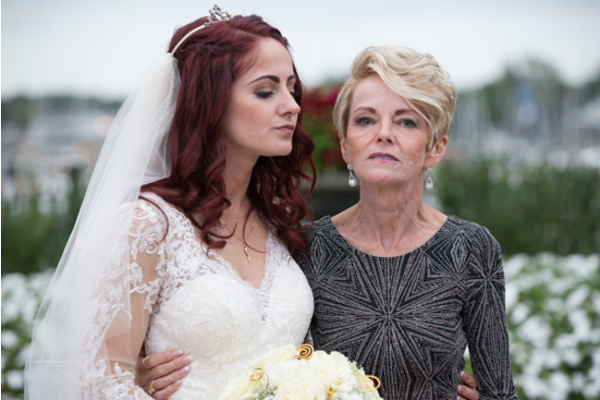 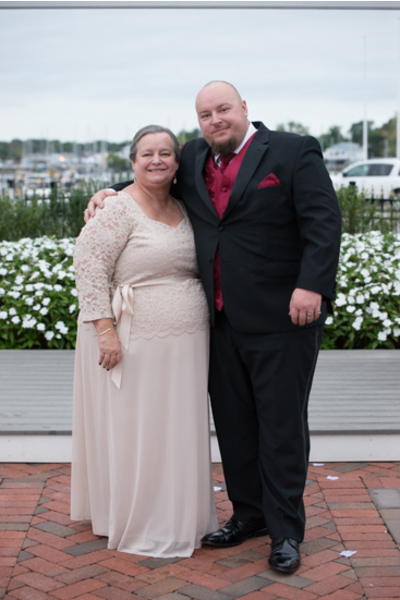 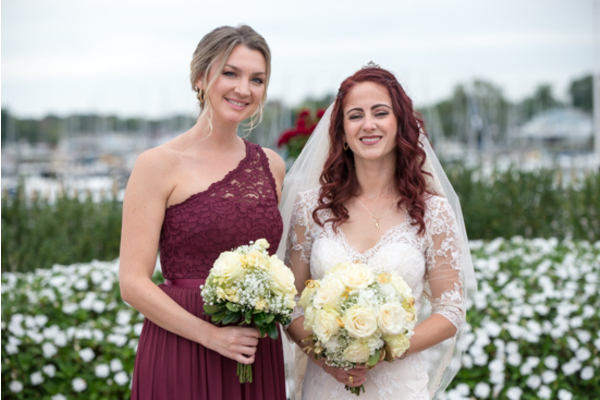 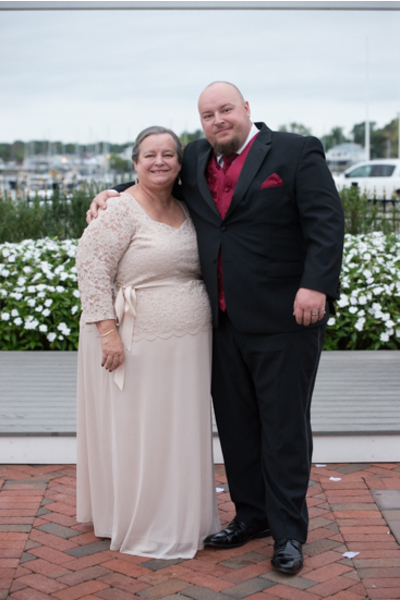 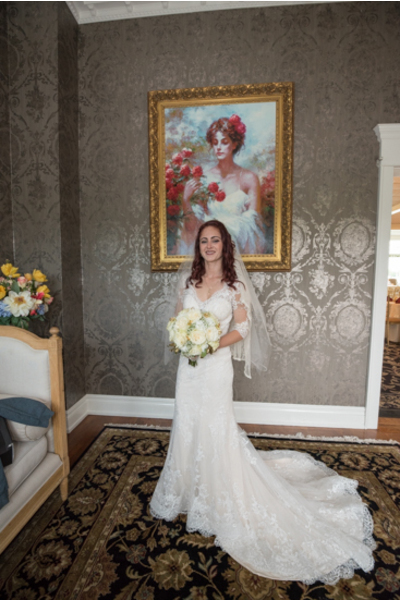 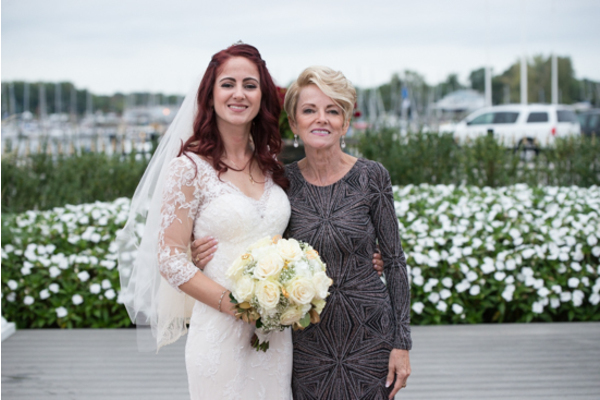 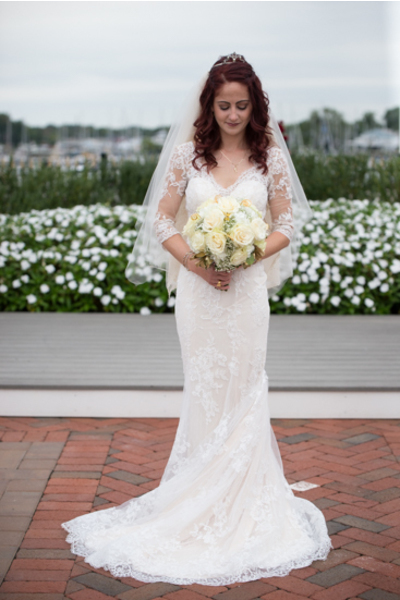 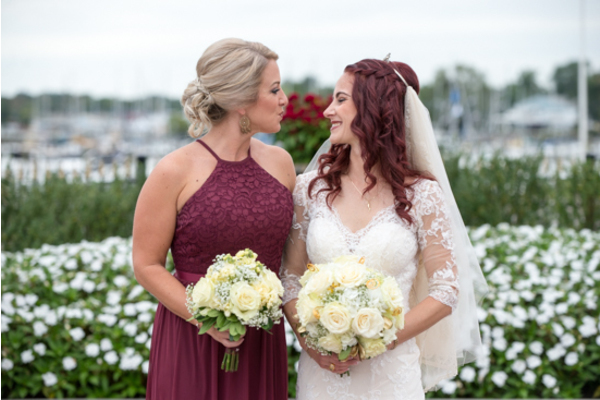 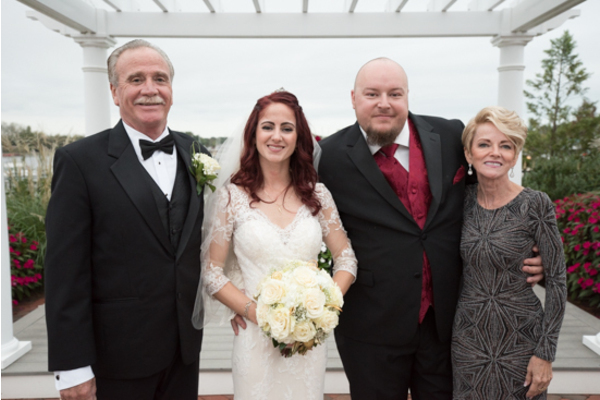 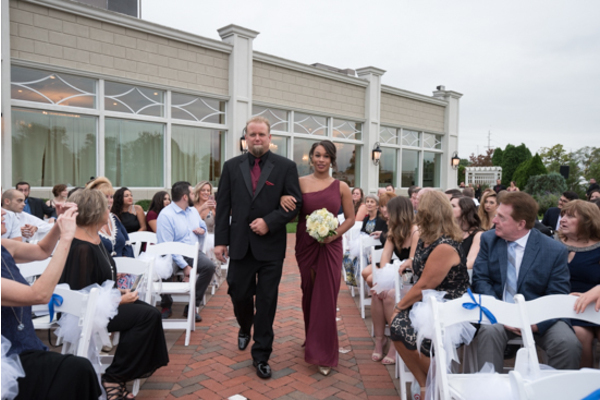 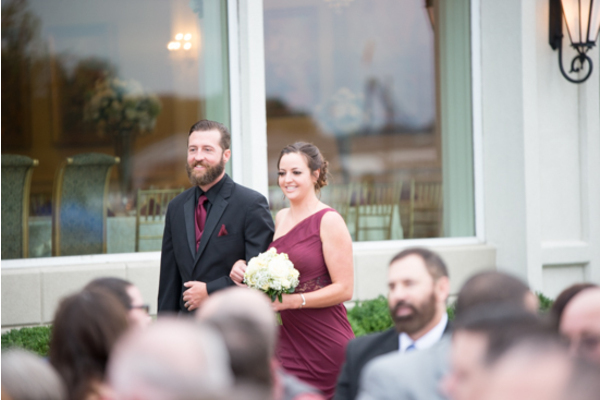 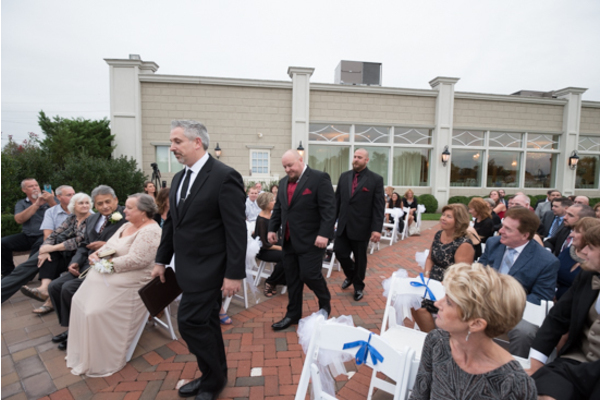 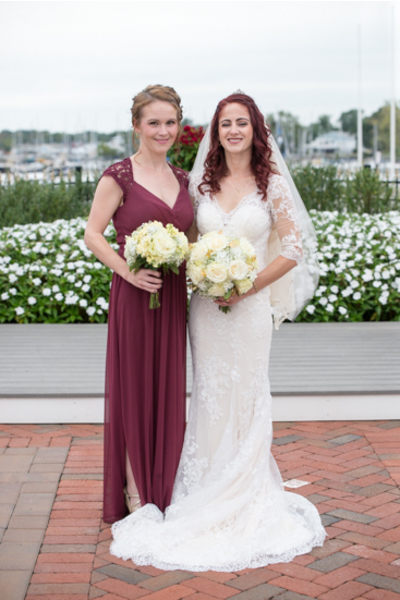 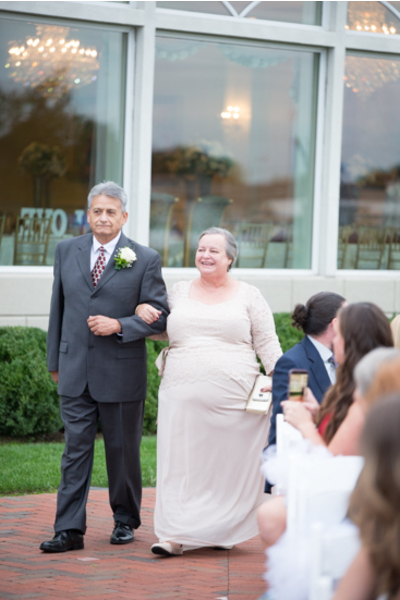 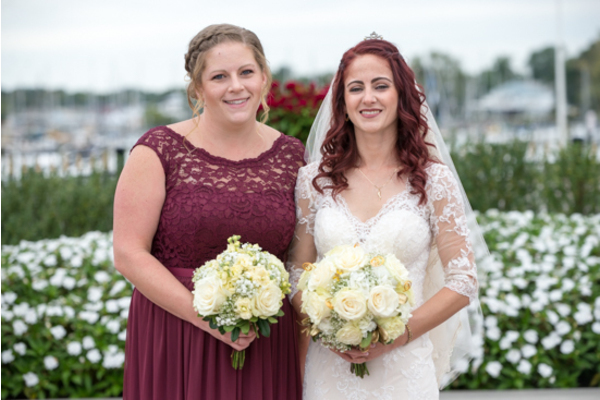 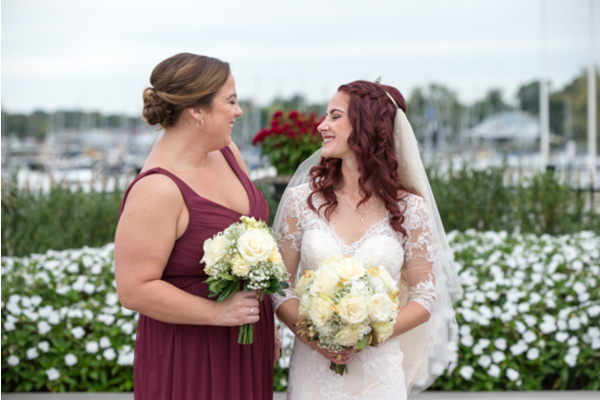 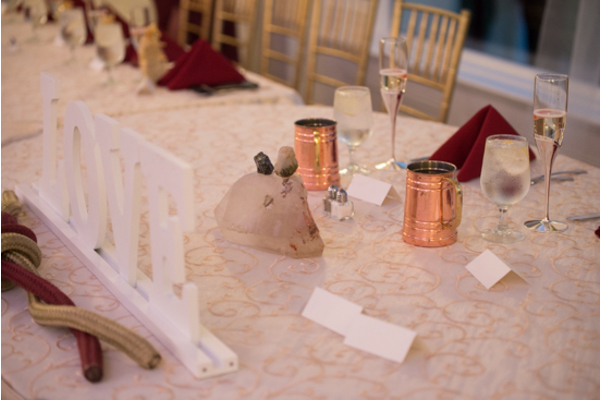 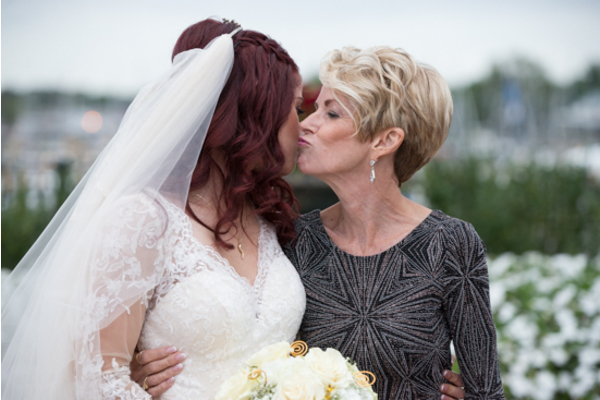 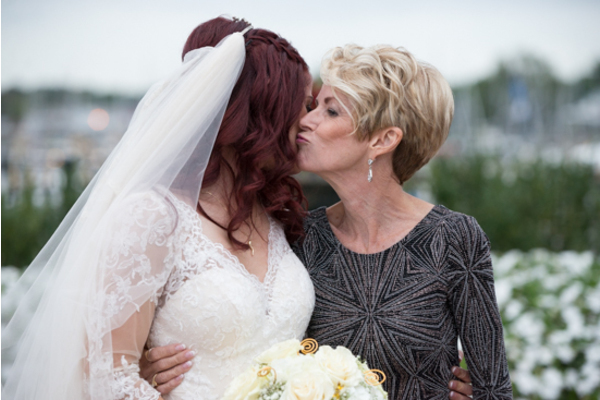 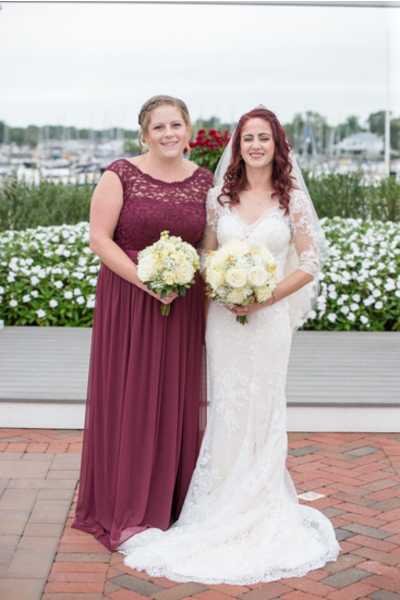 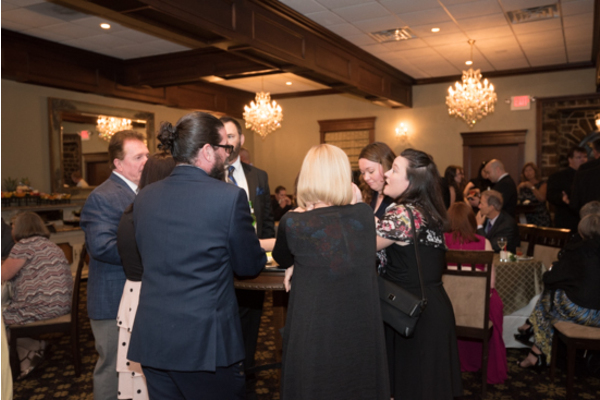 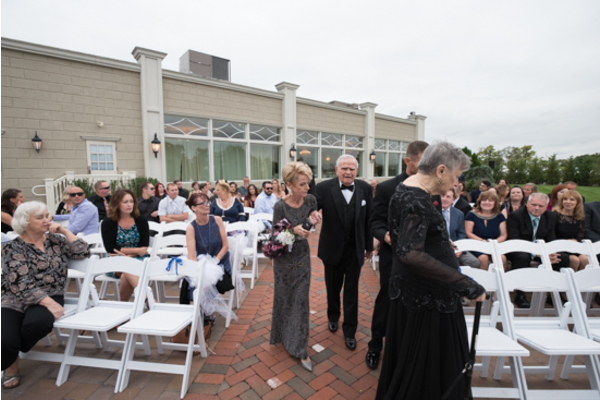 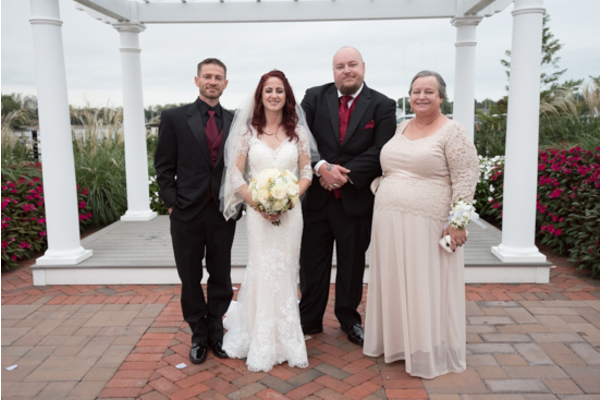 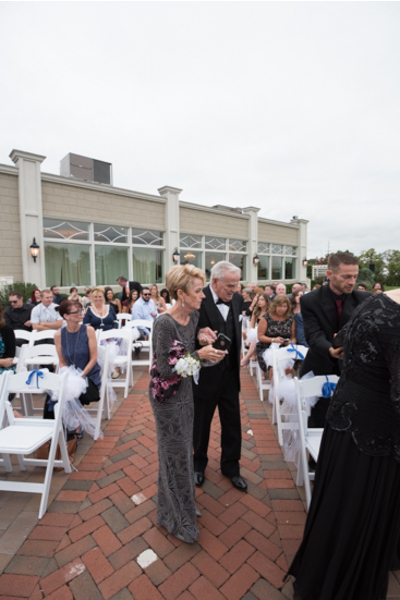 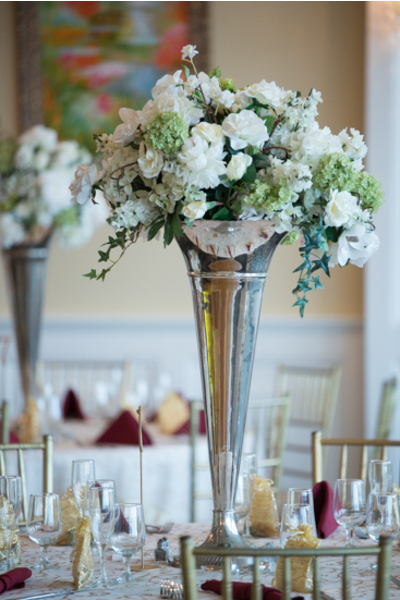 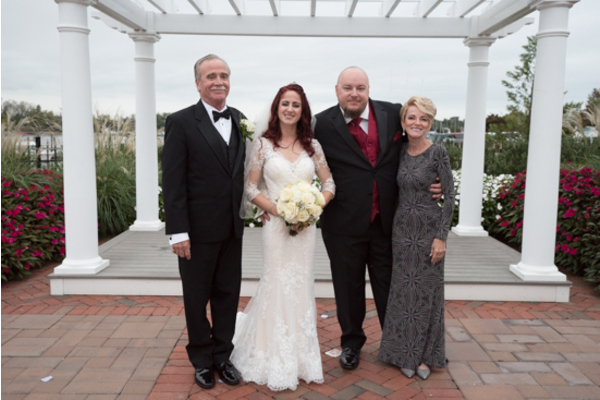 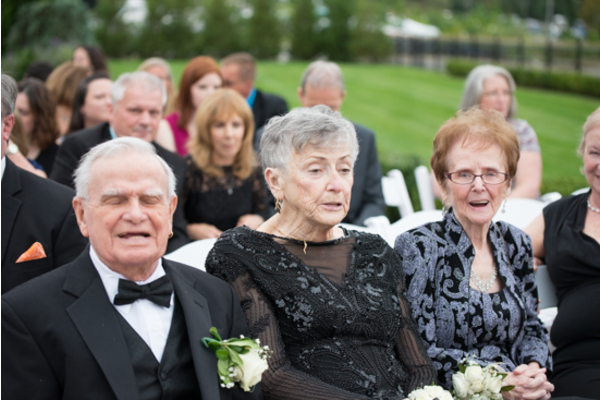 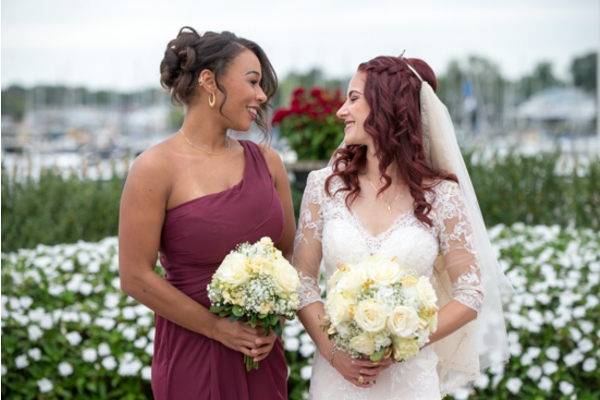 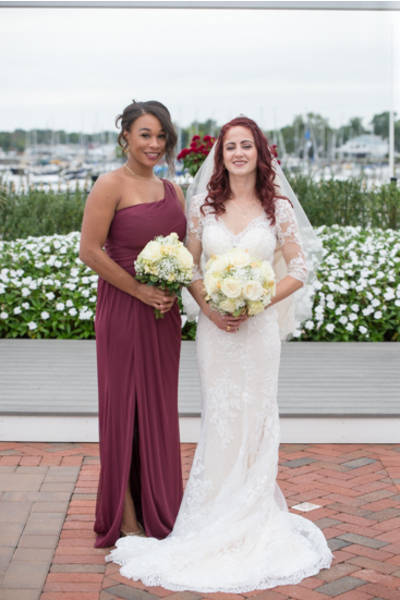 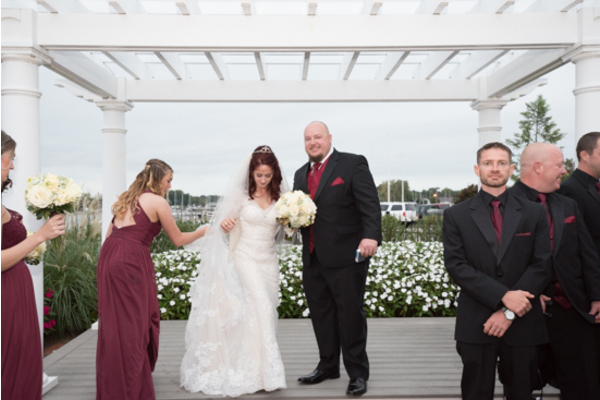 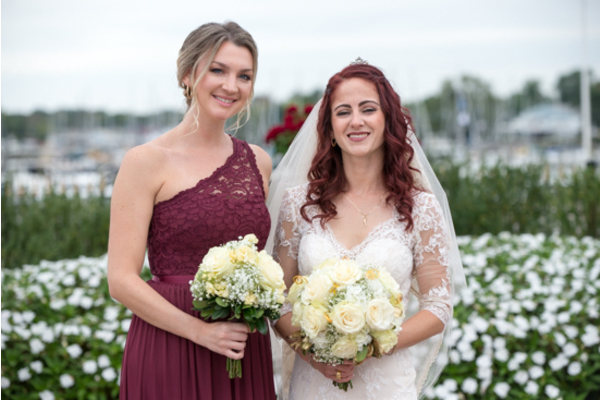 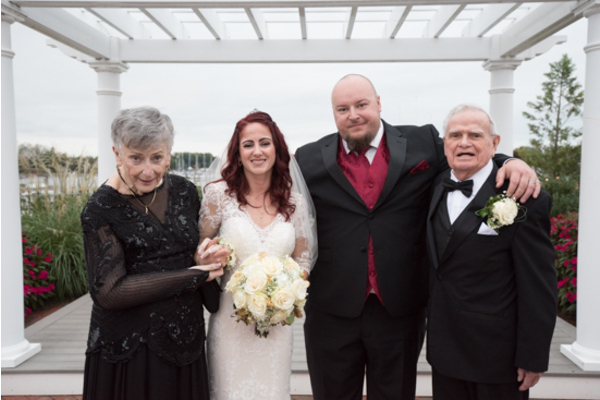 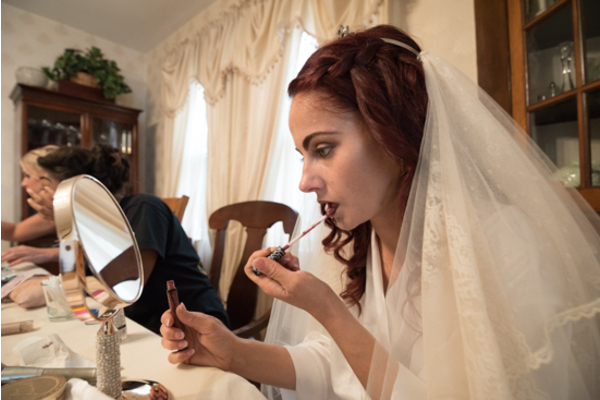 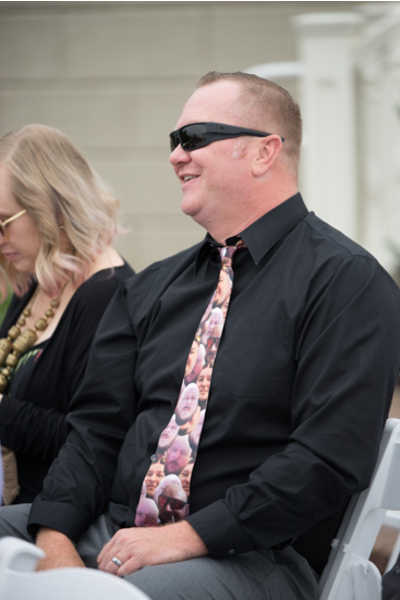 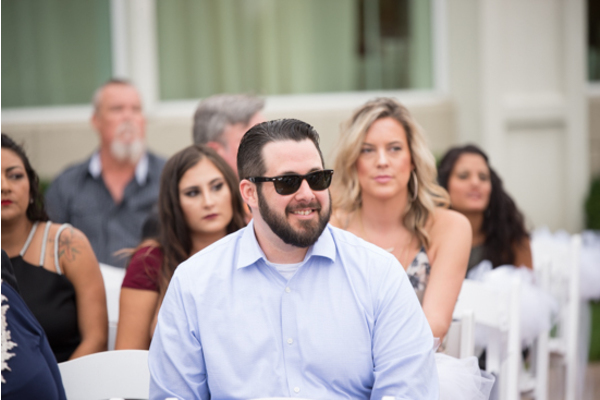 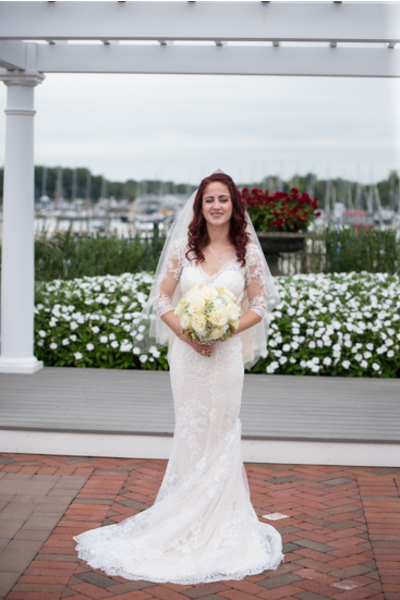 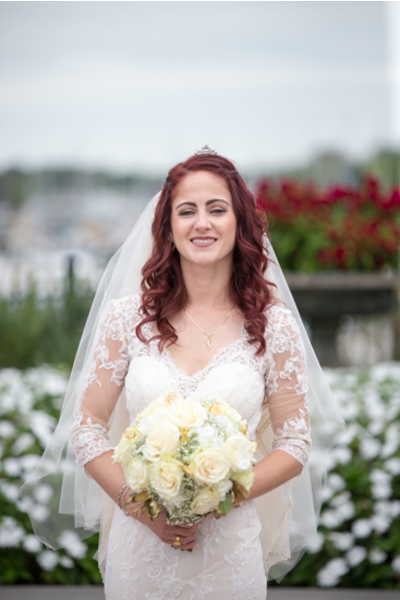 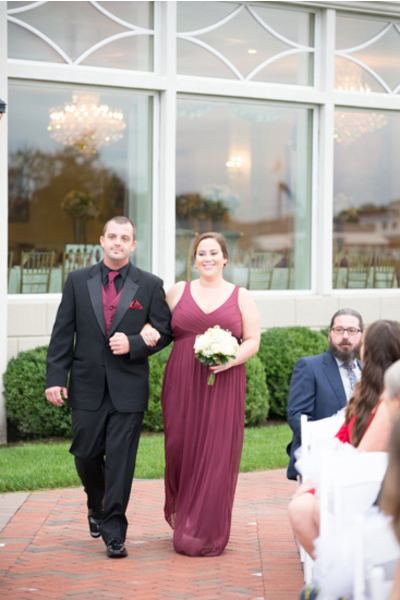 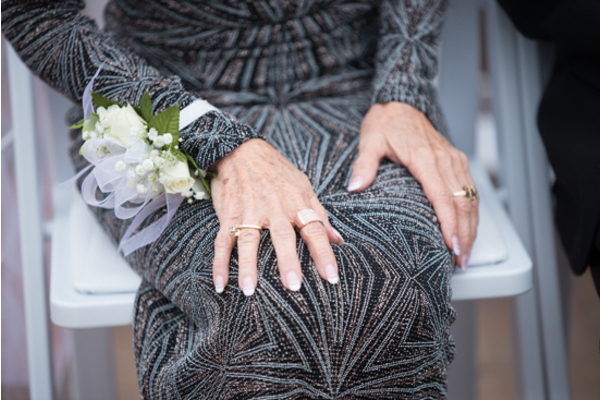 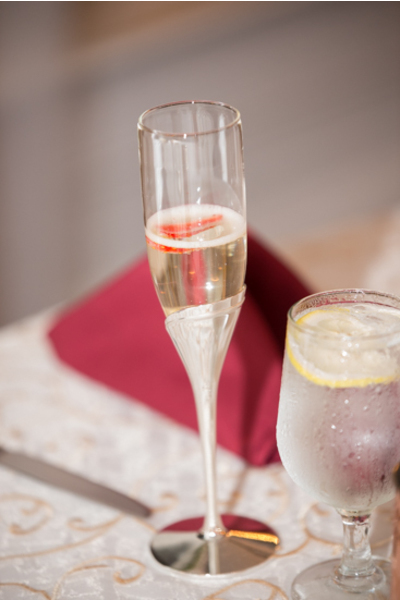 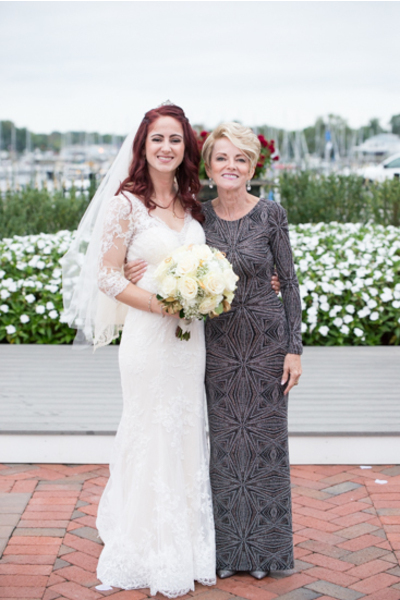 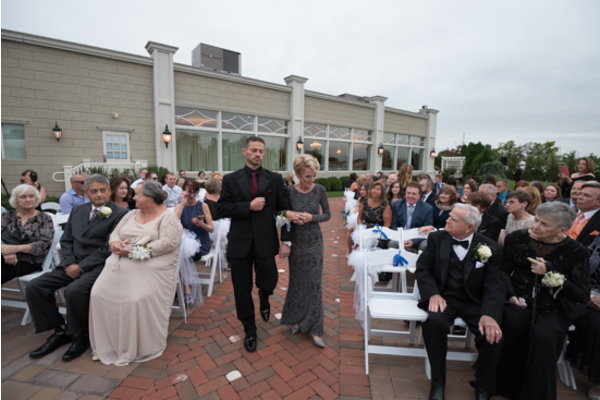 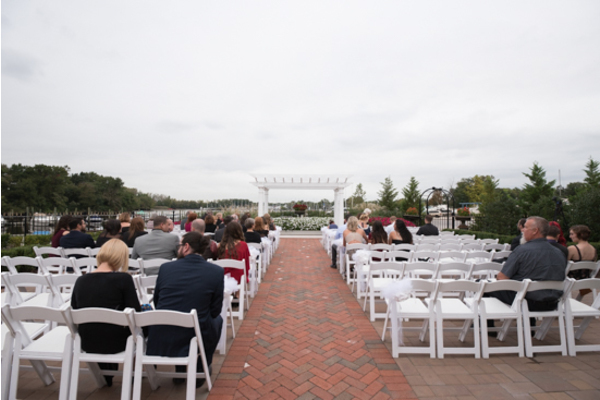 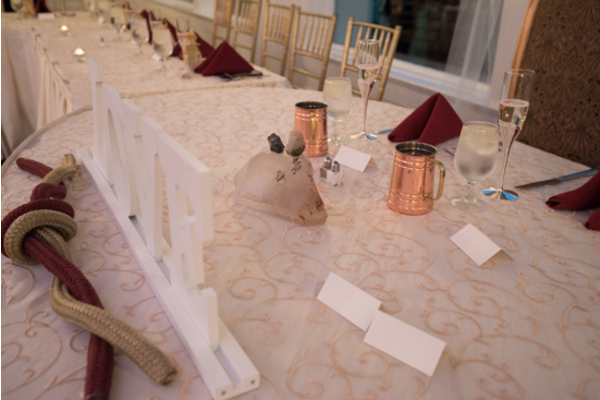 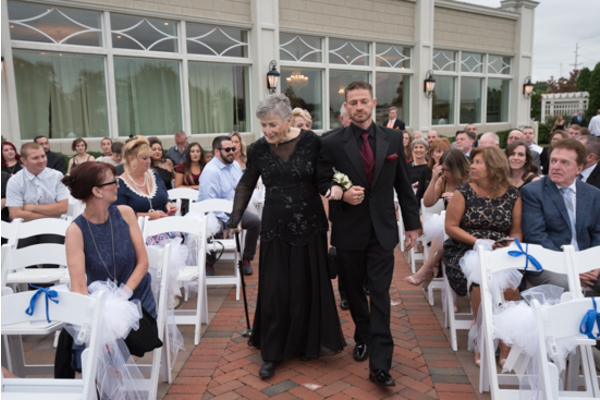 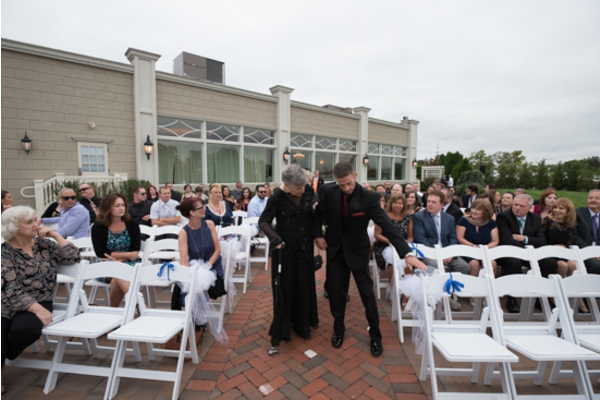 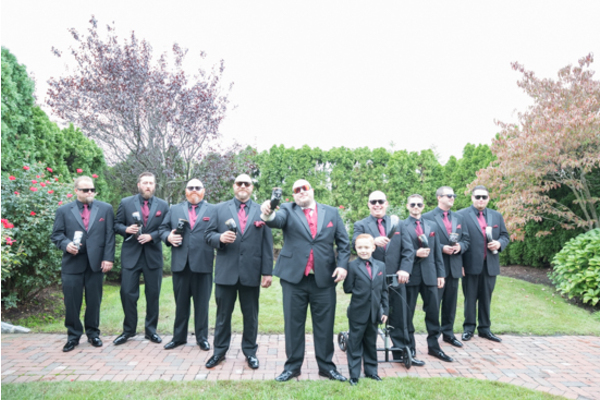 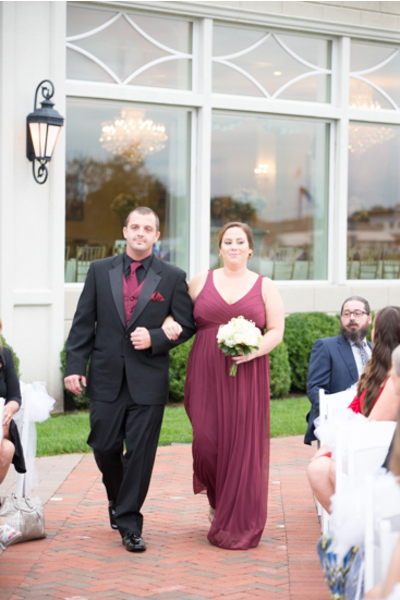 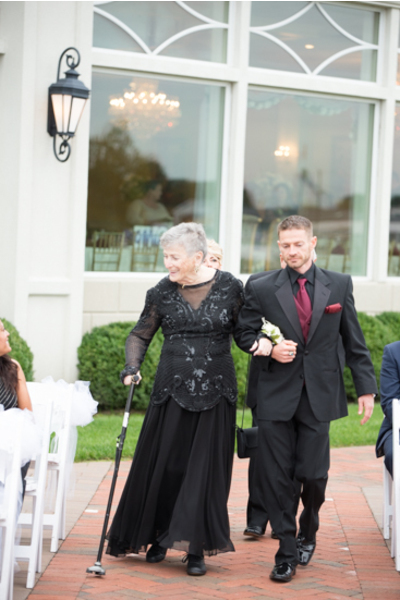 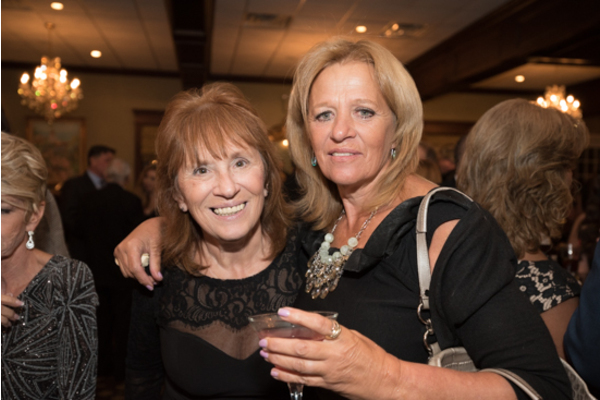 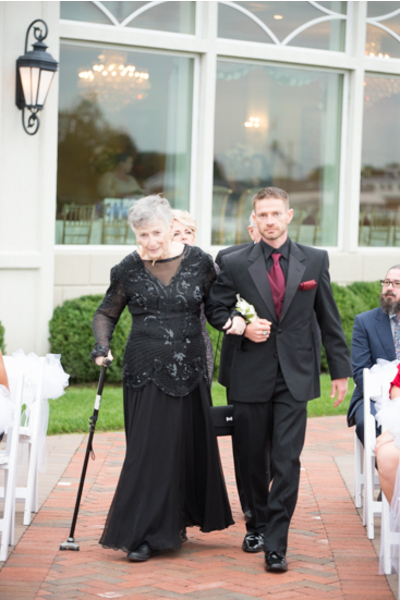 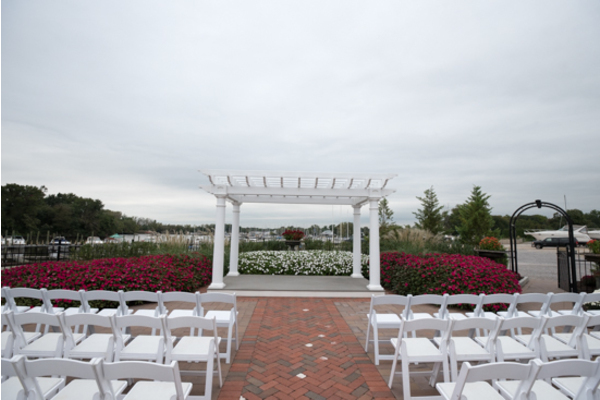 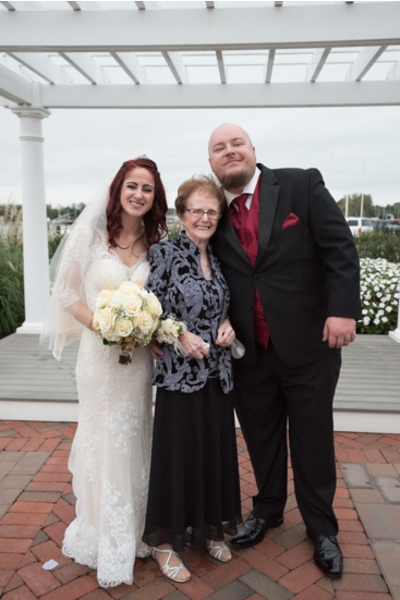 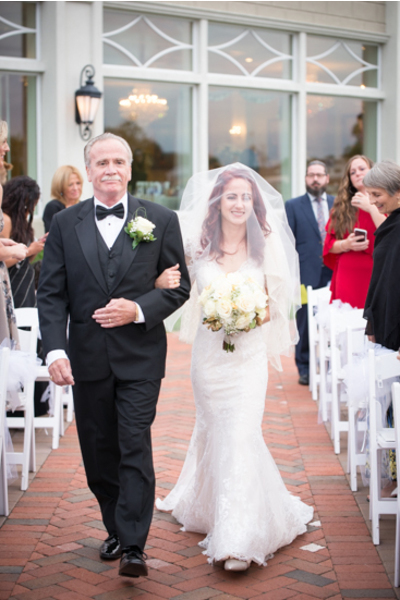 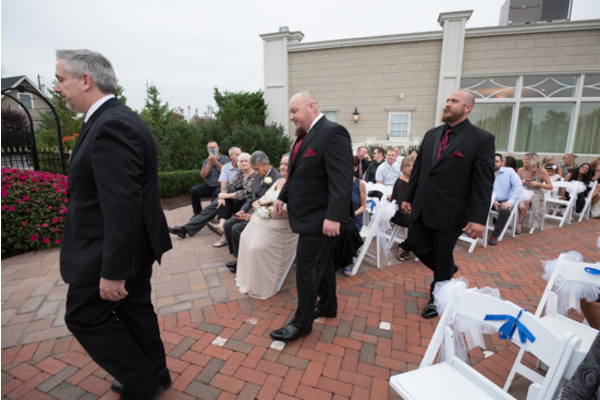 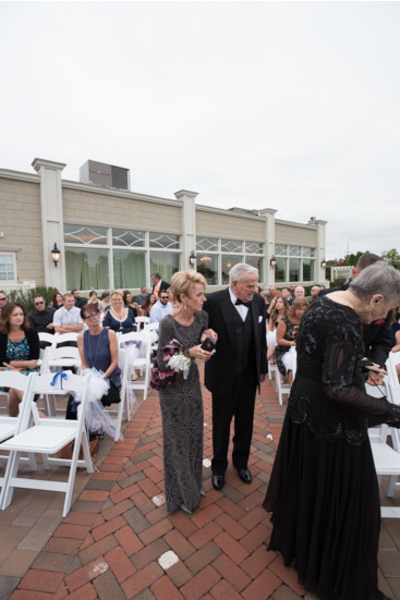 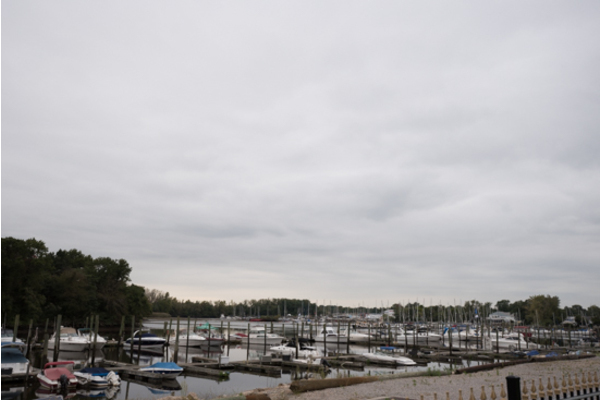 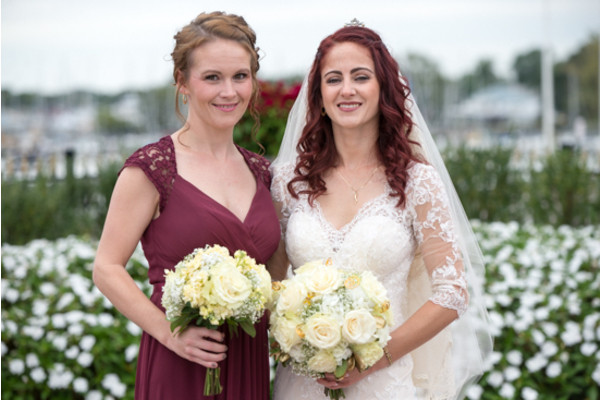 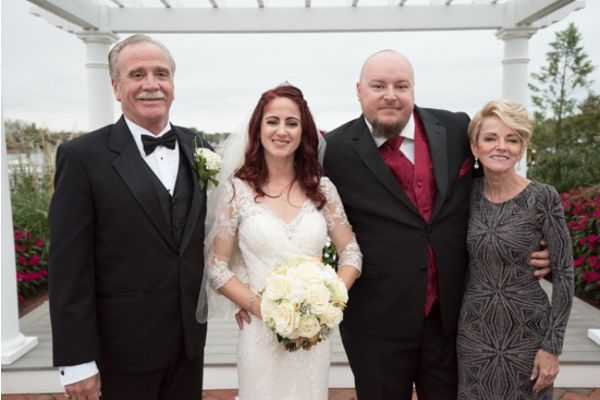 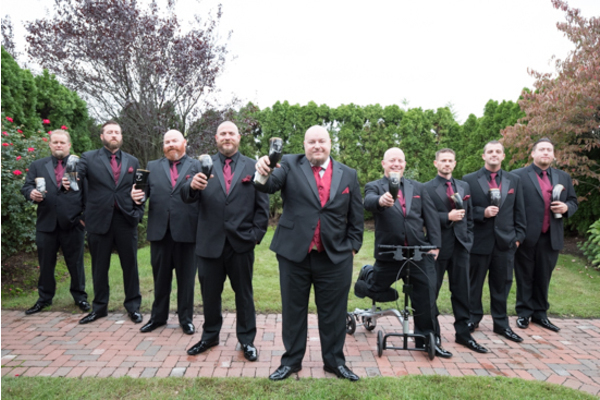 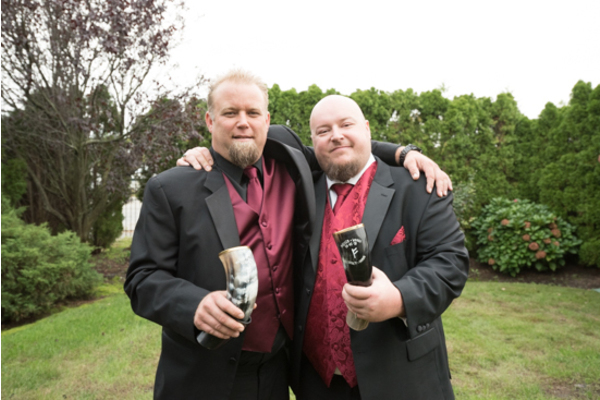 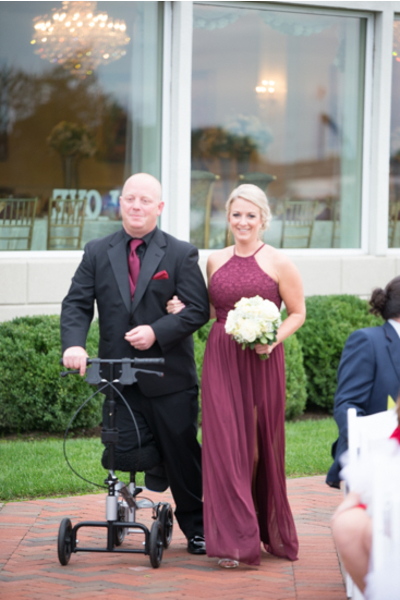 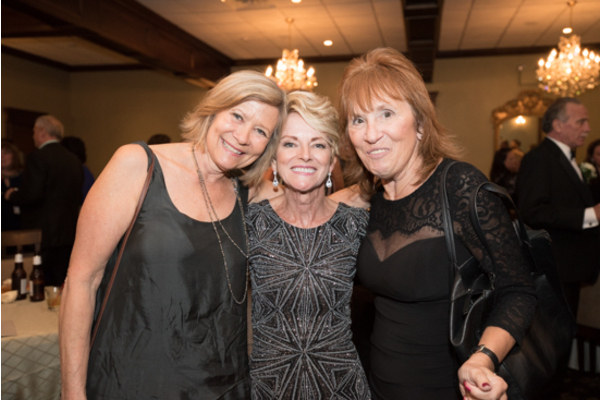 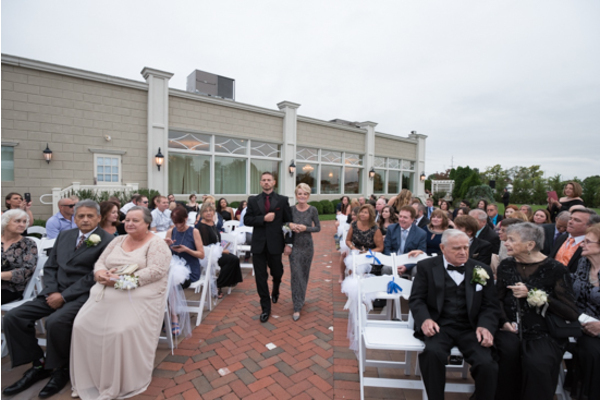 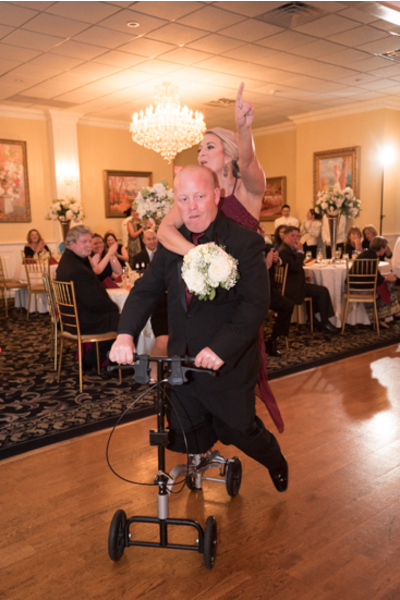 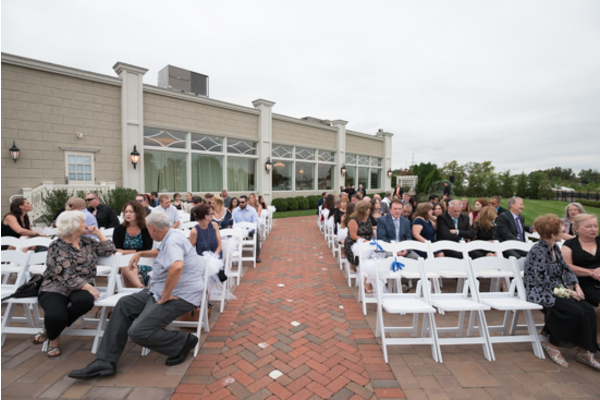 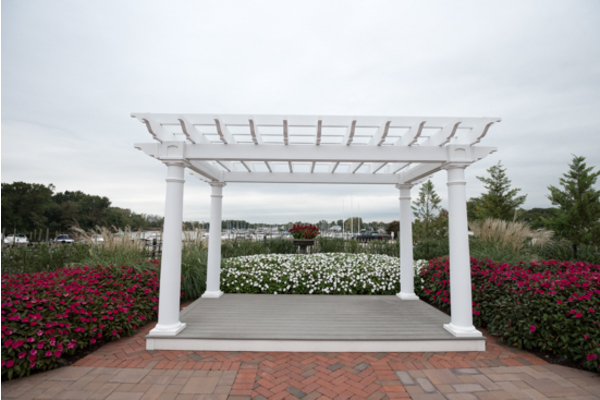 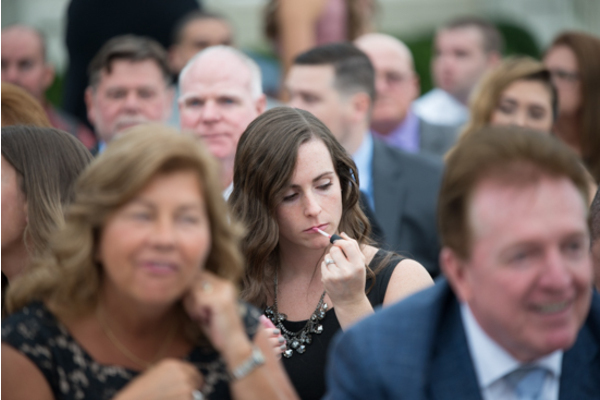 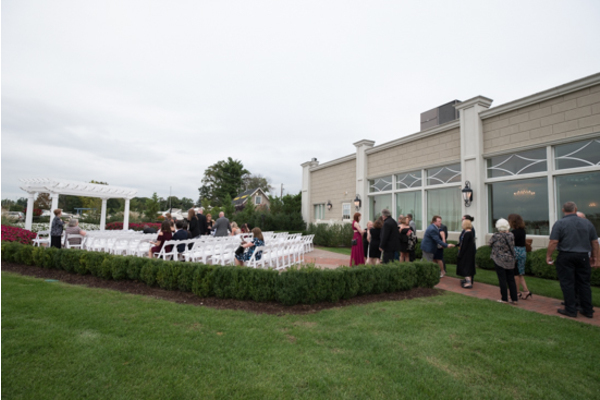 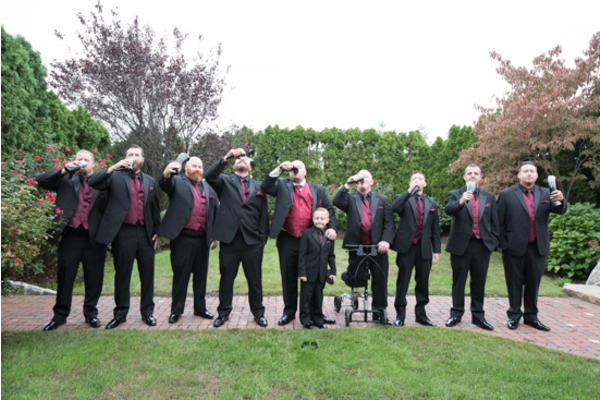 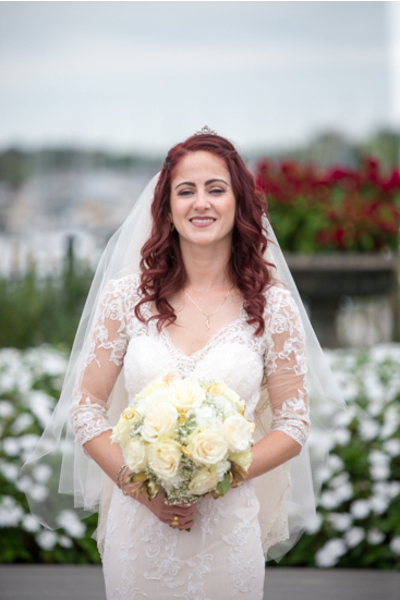 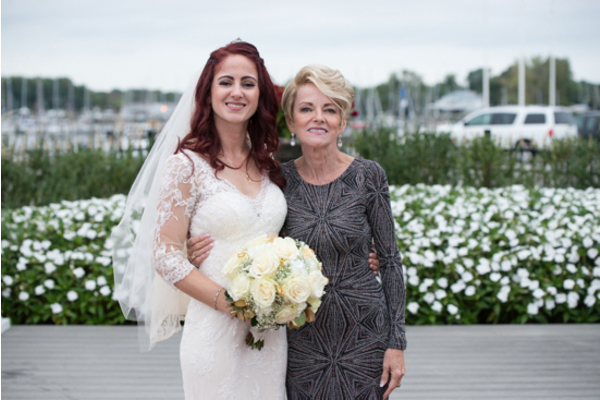 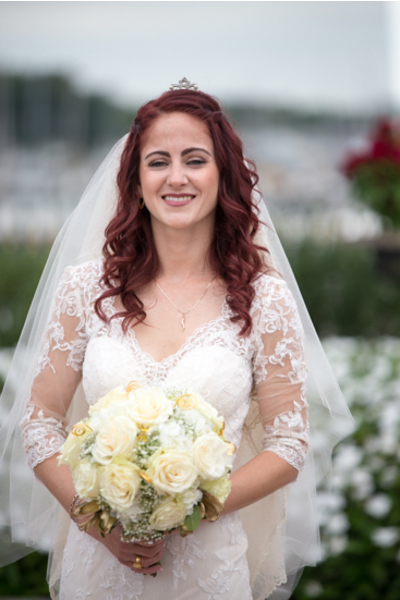 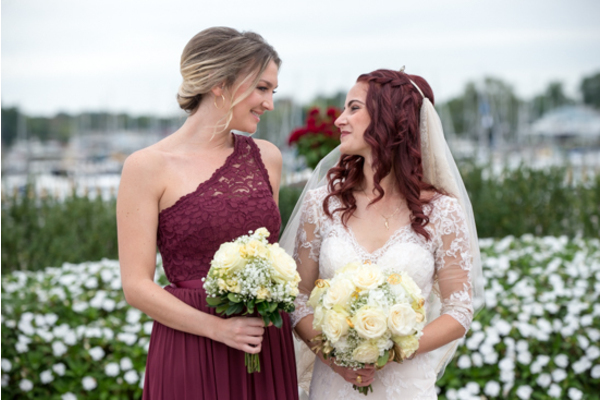 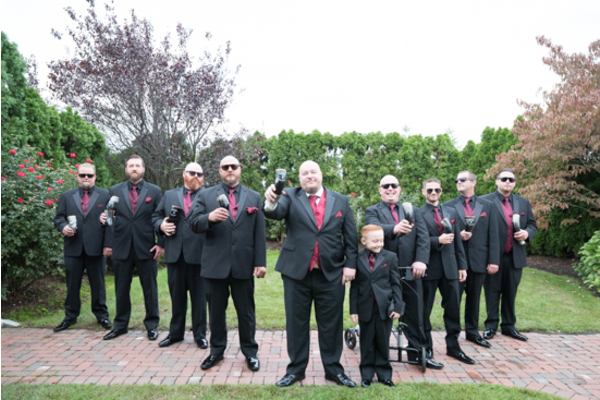 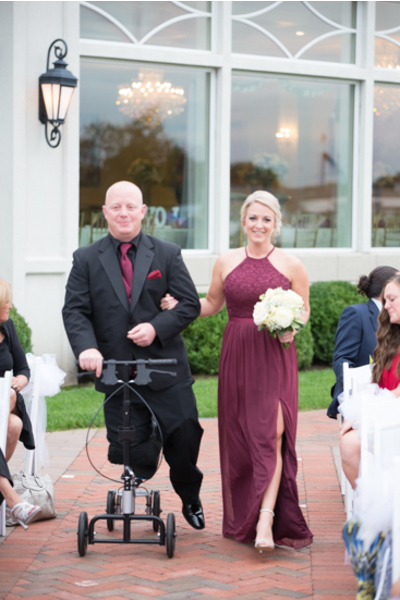 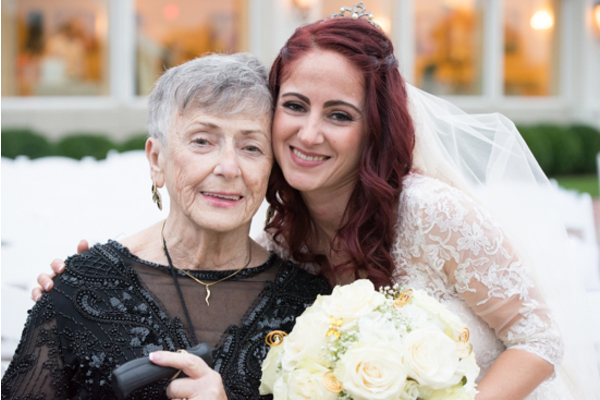 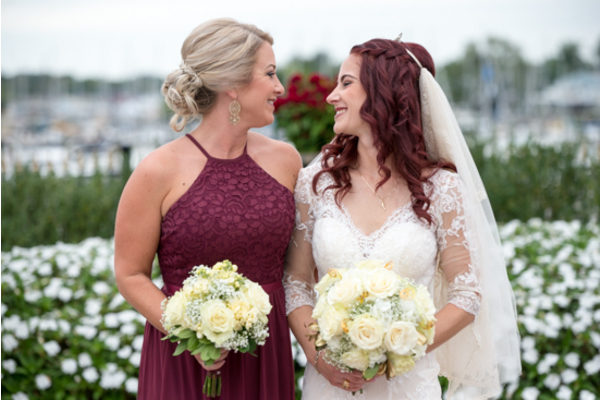 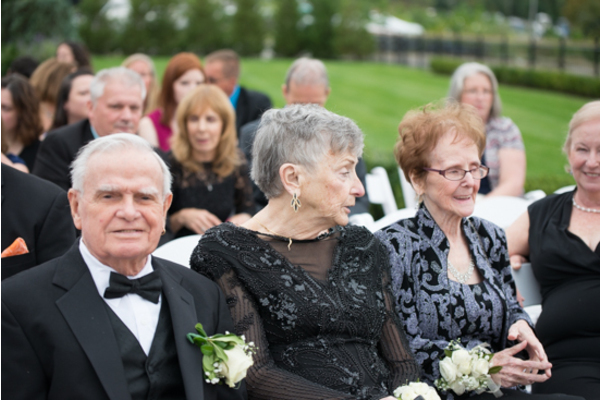 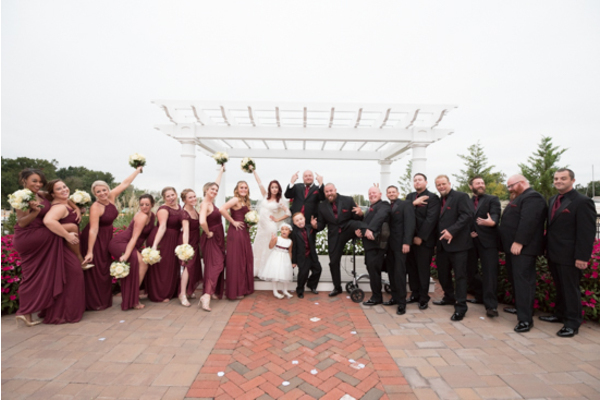 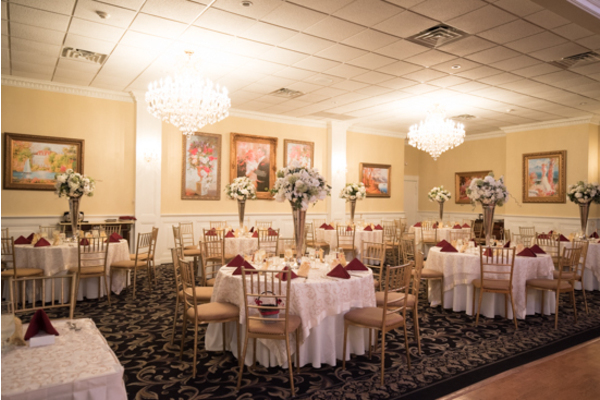 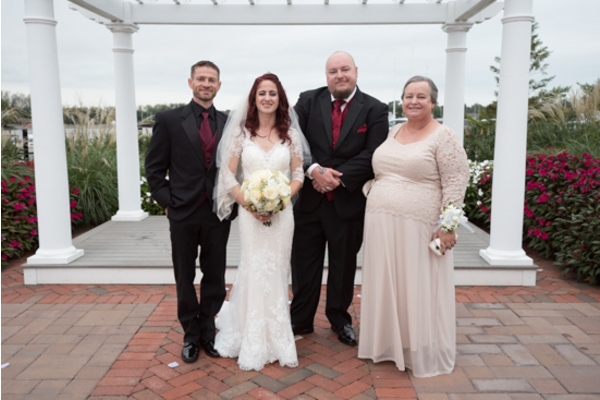 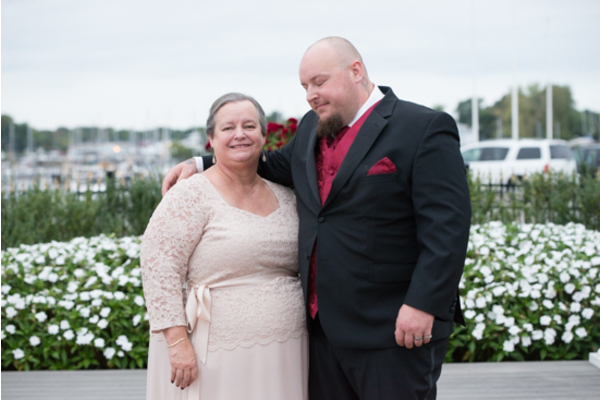 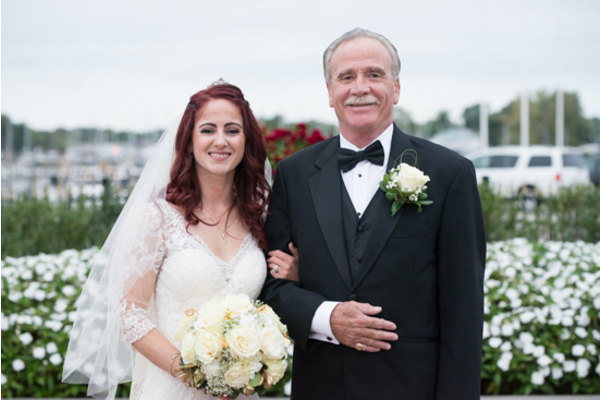 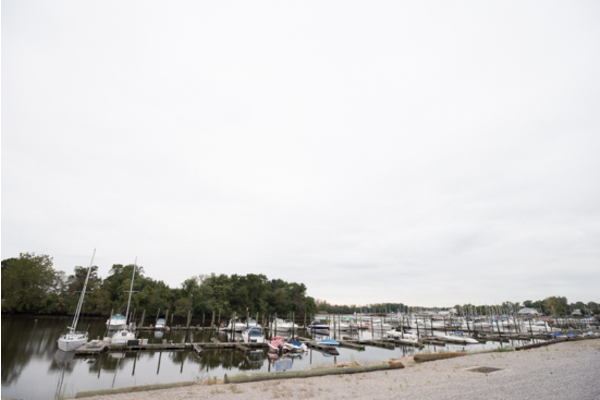 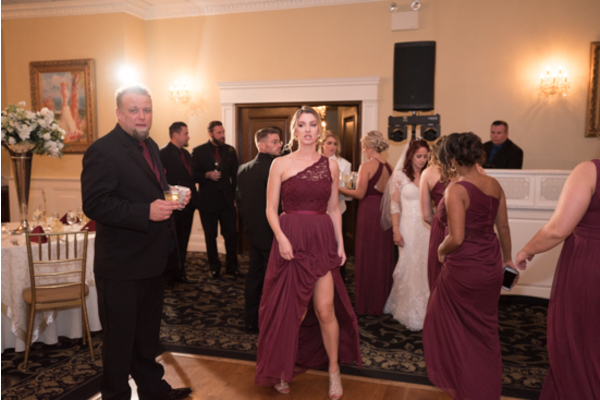 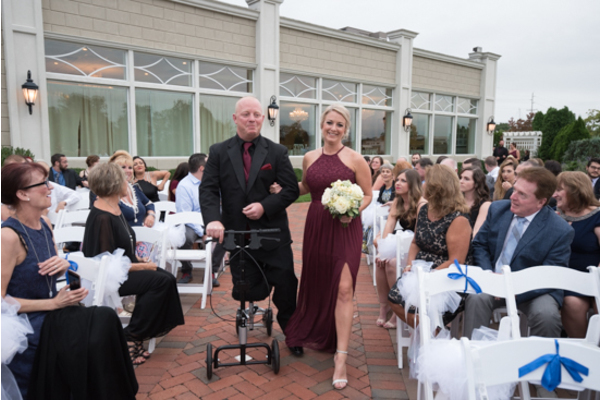 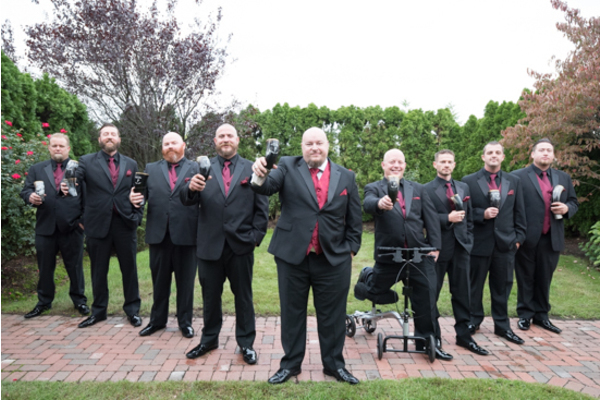 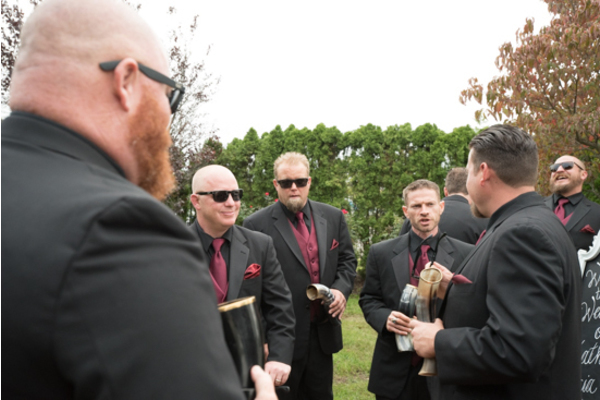 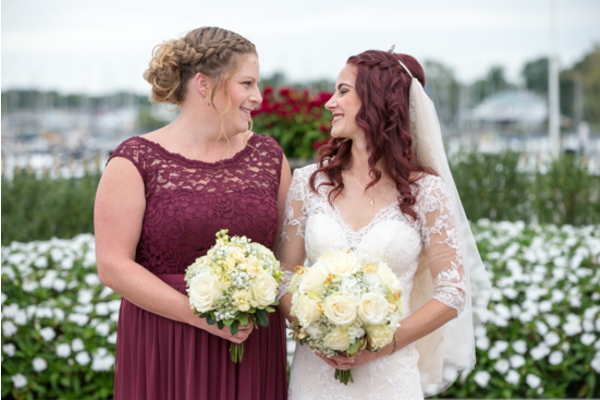 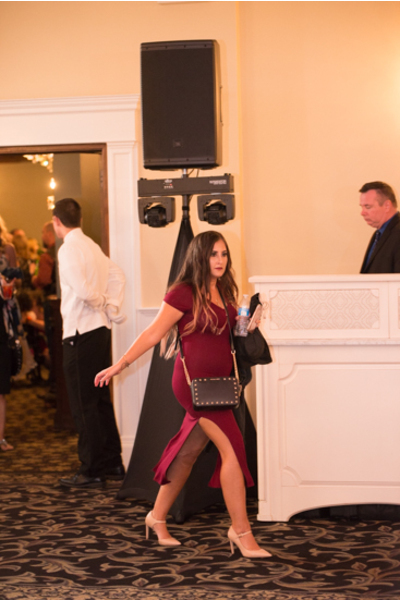 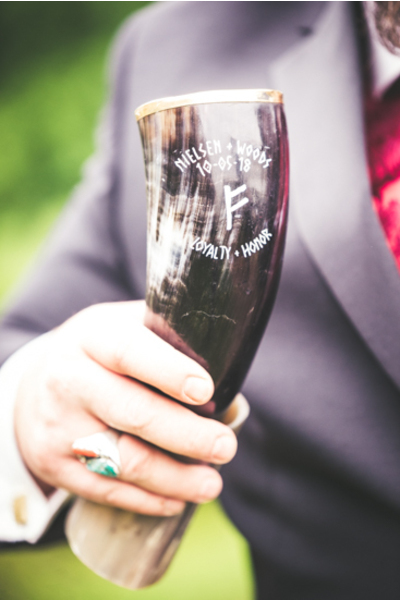 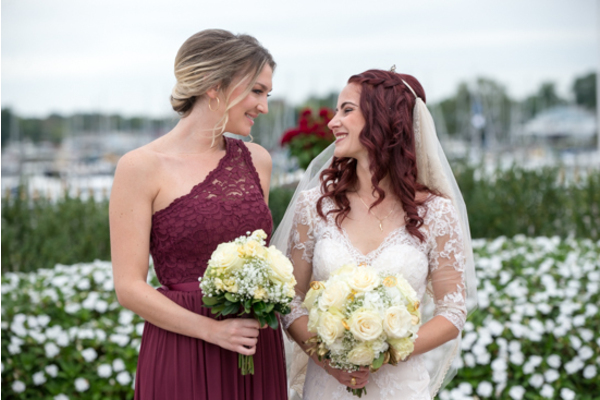 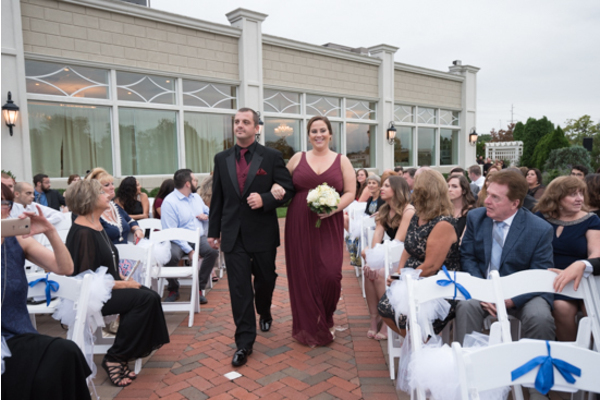 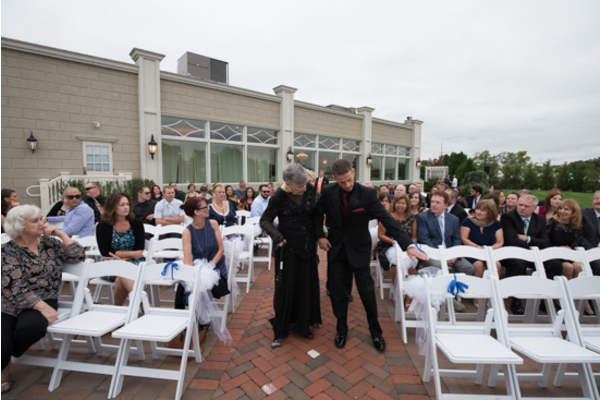 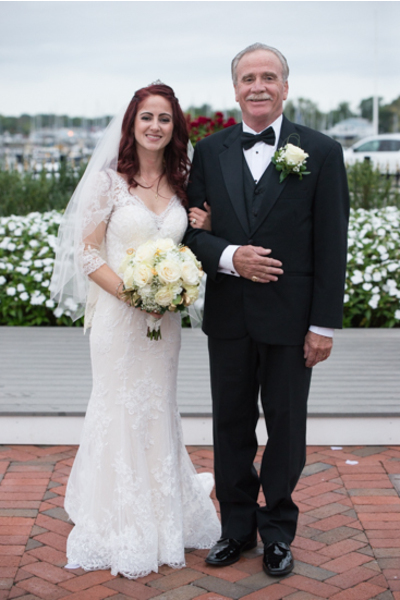 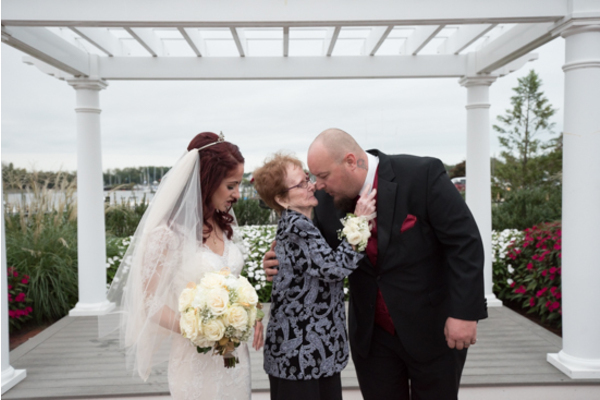 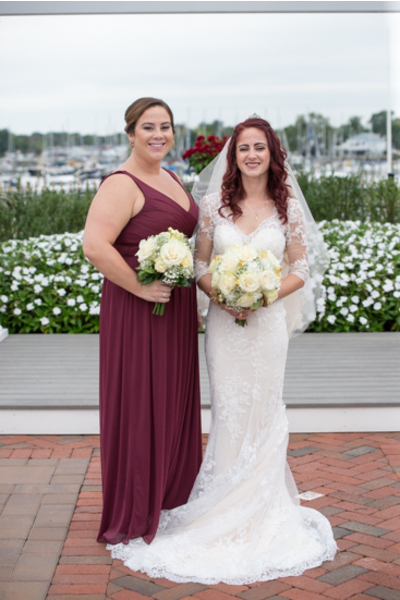 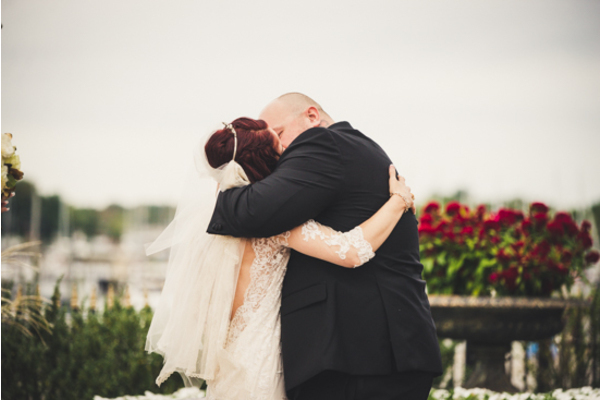 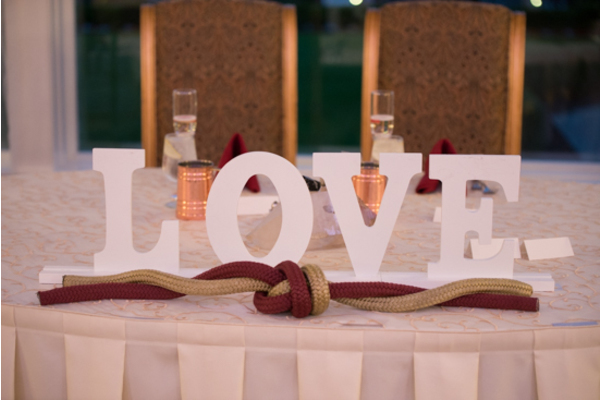 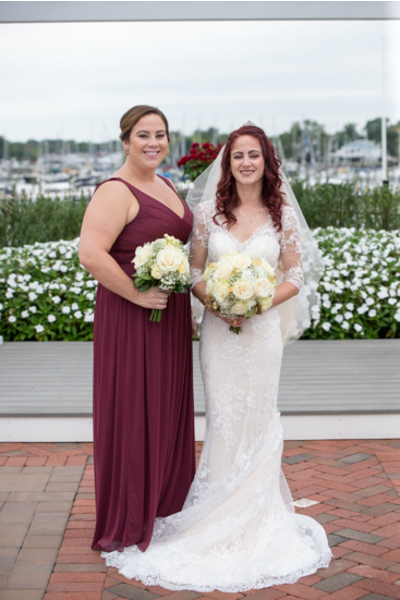 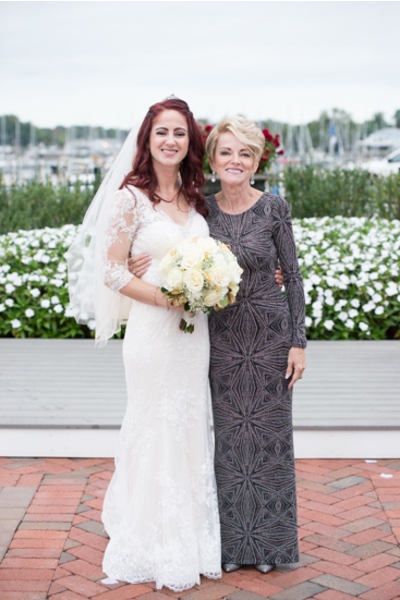 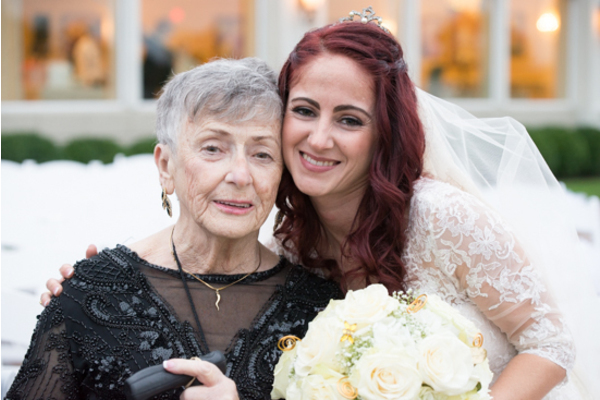 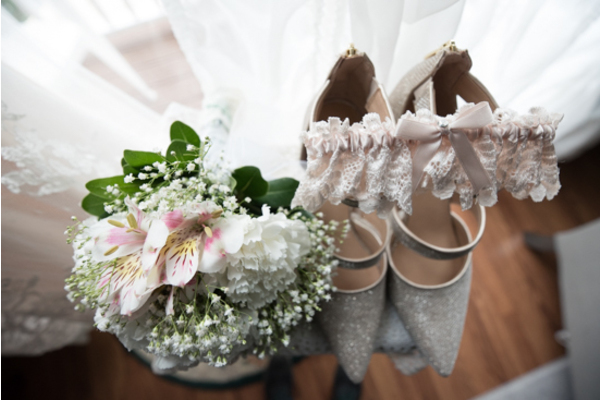 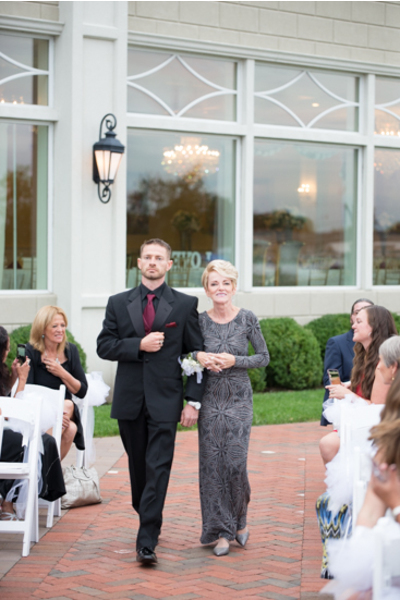 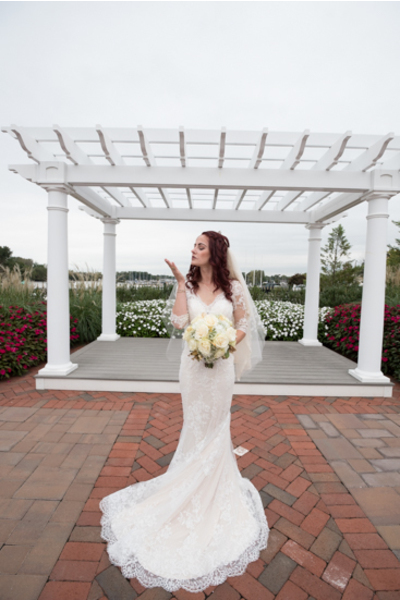 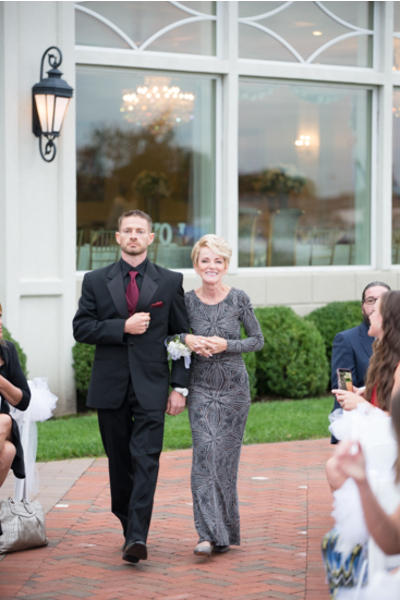 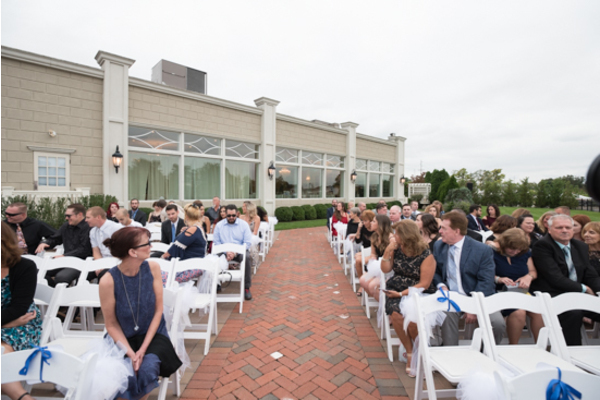 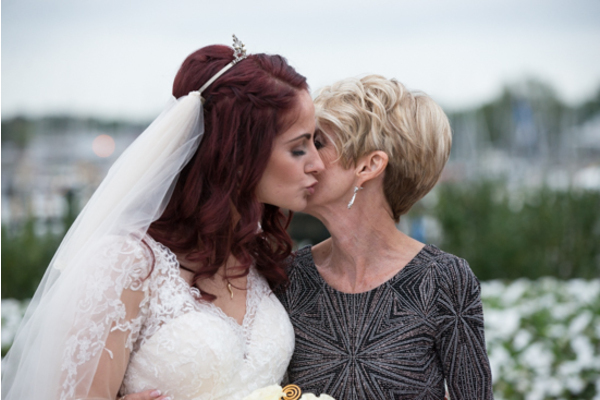 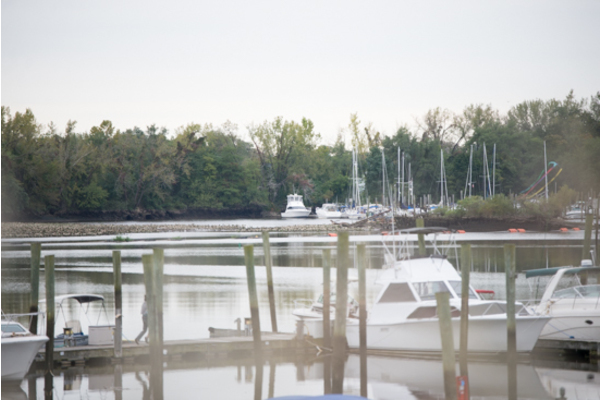 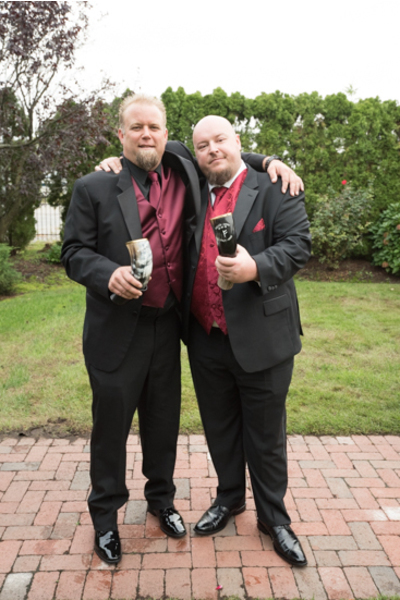 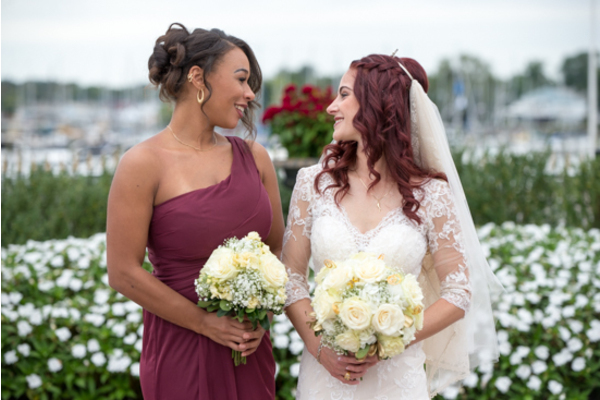 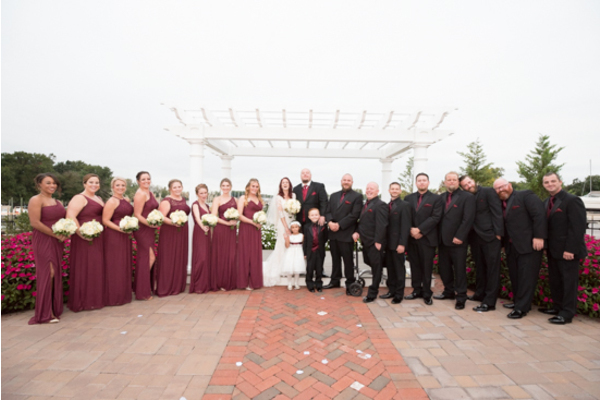 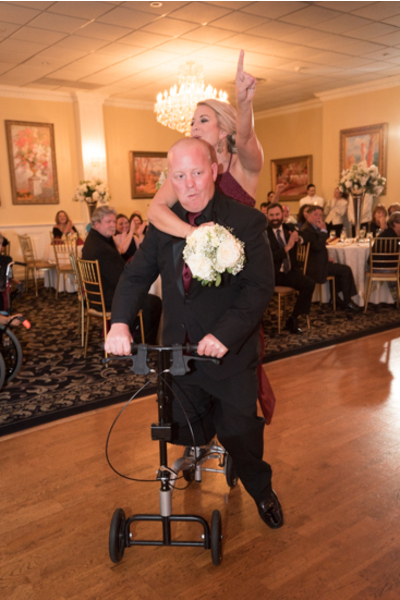 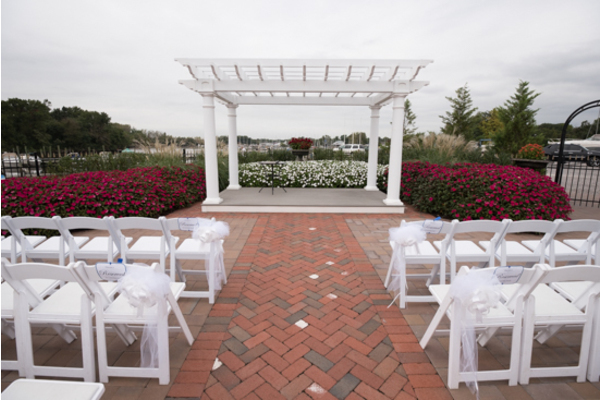 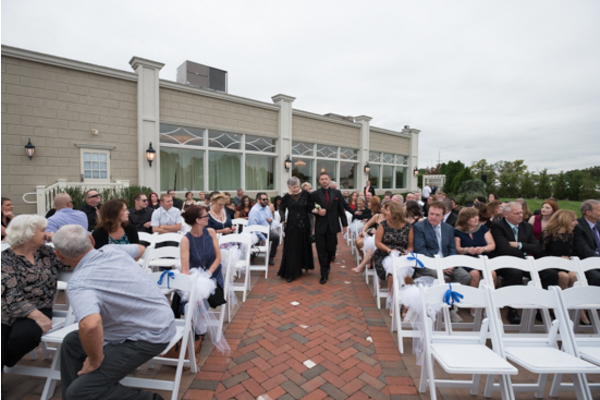 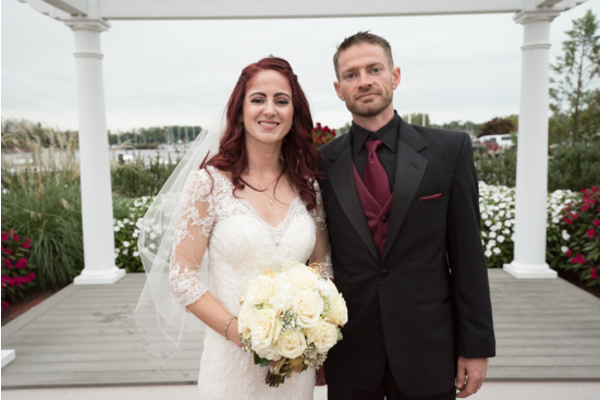 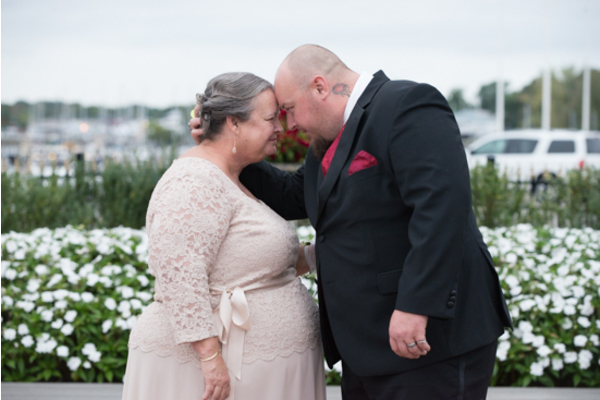 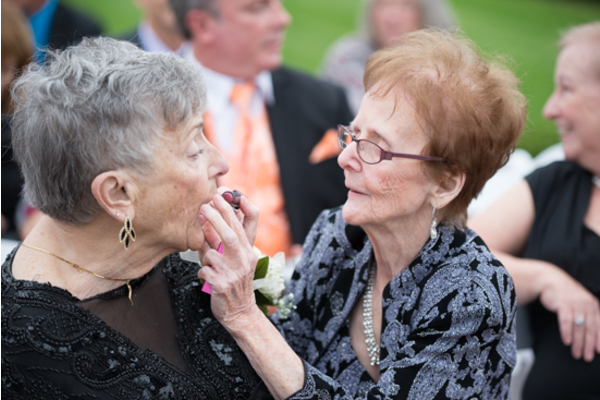 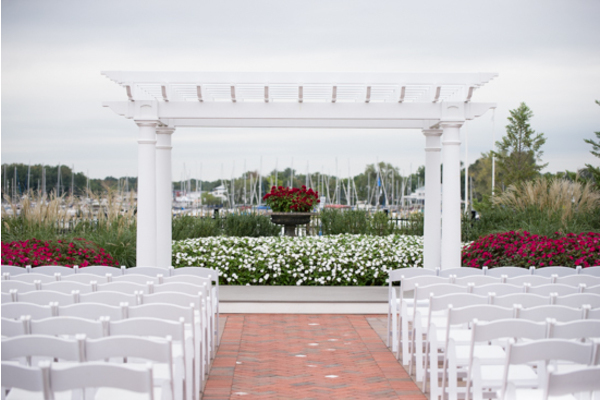 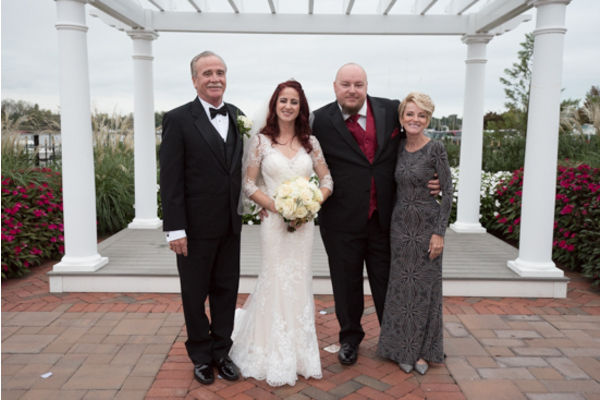 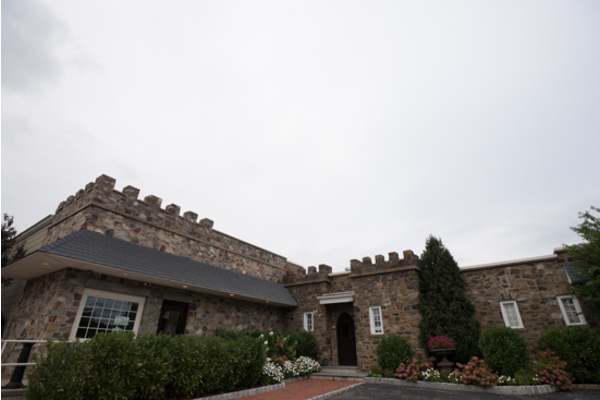 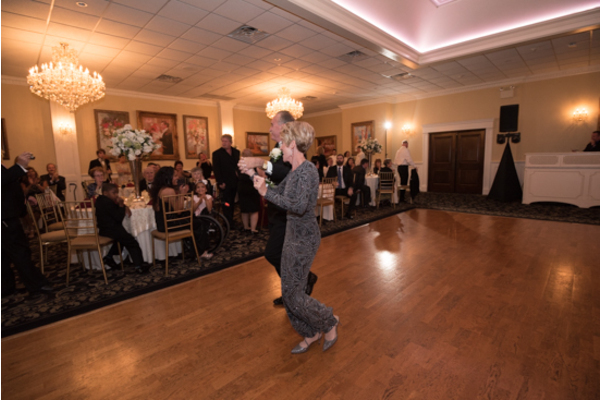 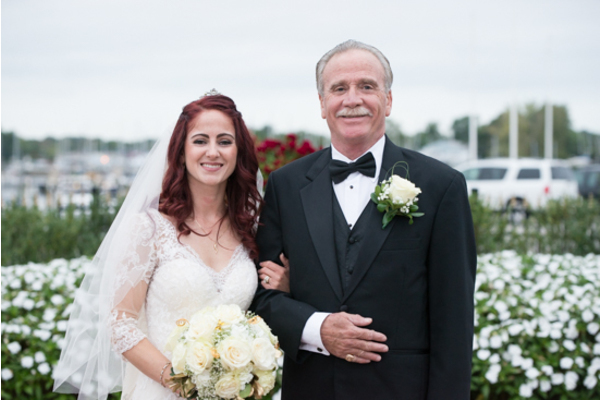 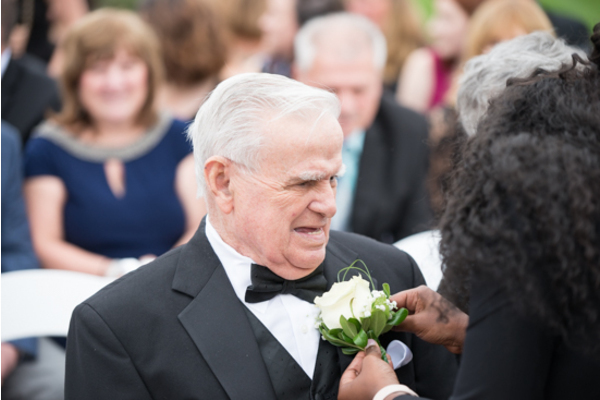 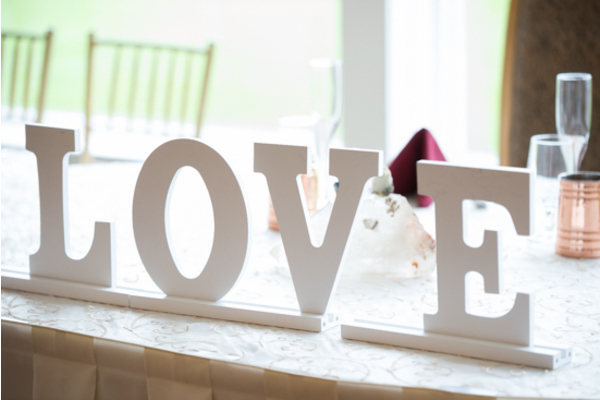 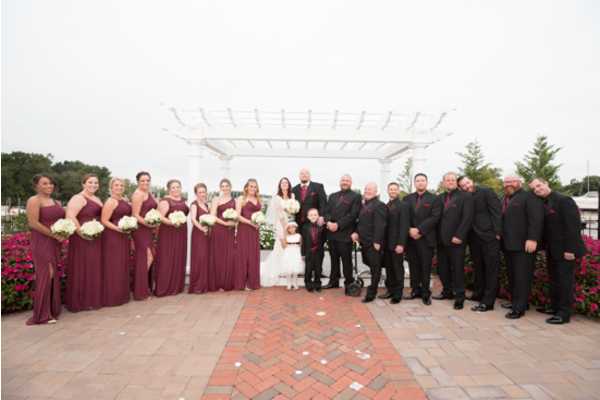 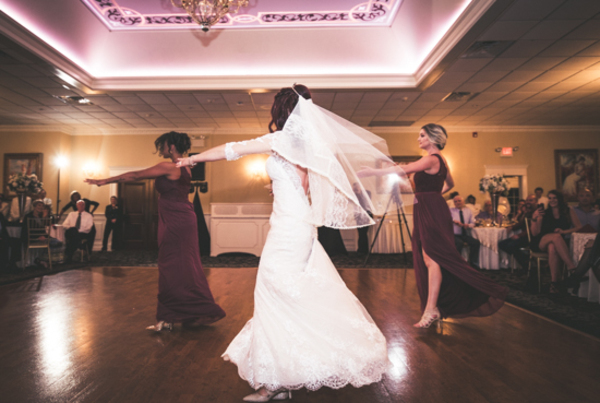 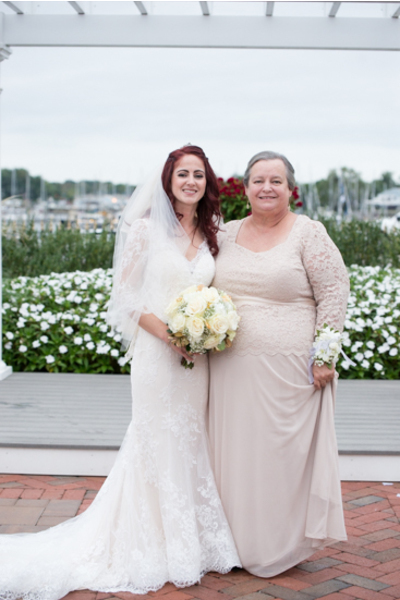 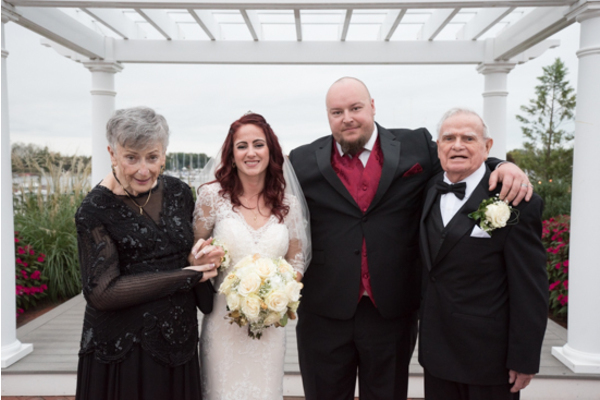 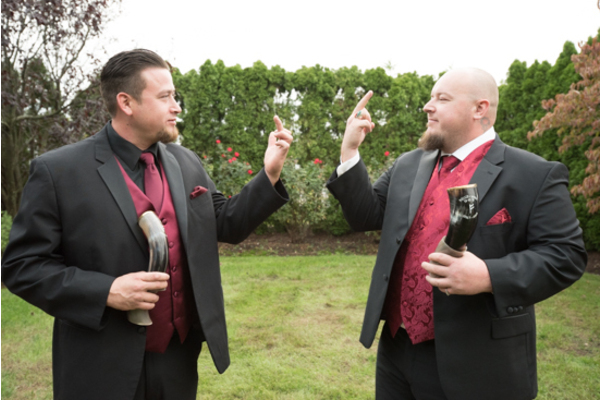 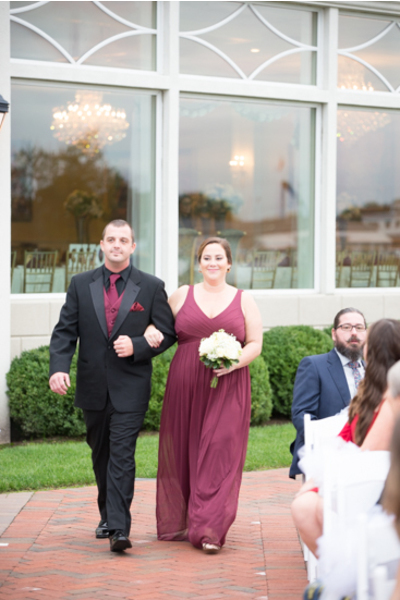 Their one-of-a-kind wedding took place on October 5th, 2018 at Clarks Landing Yacht Club in Delran. 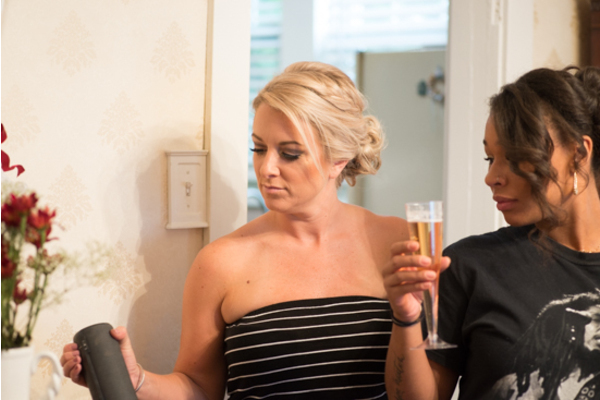 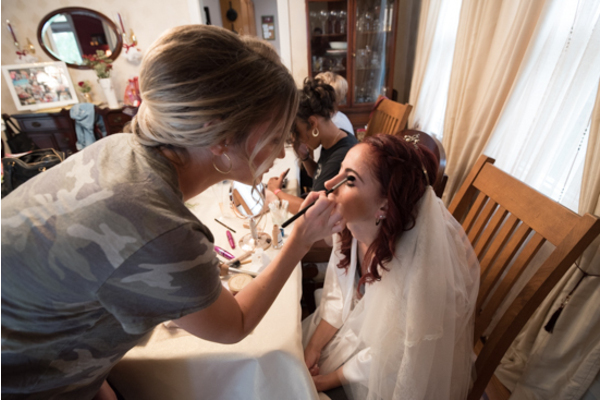 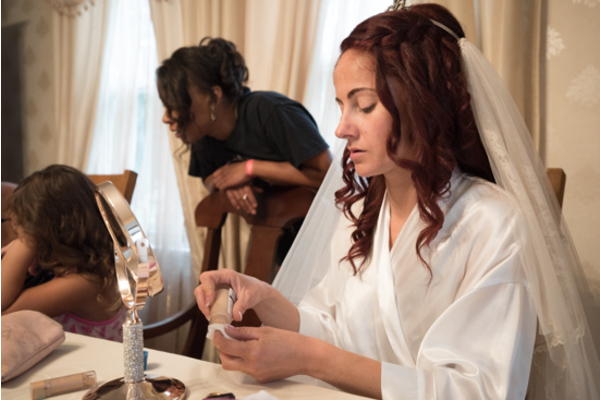 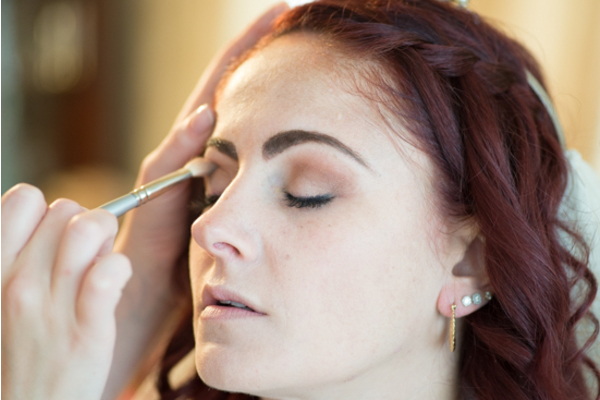 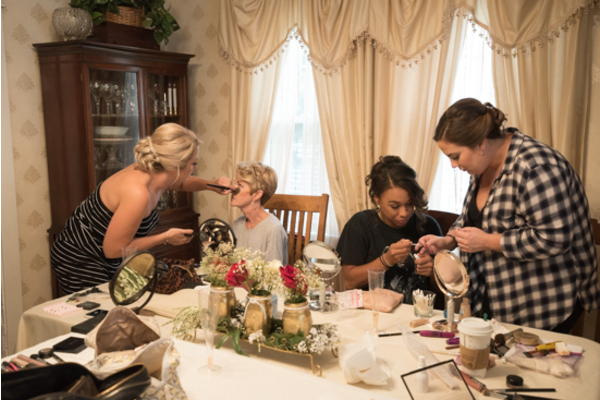 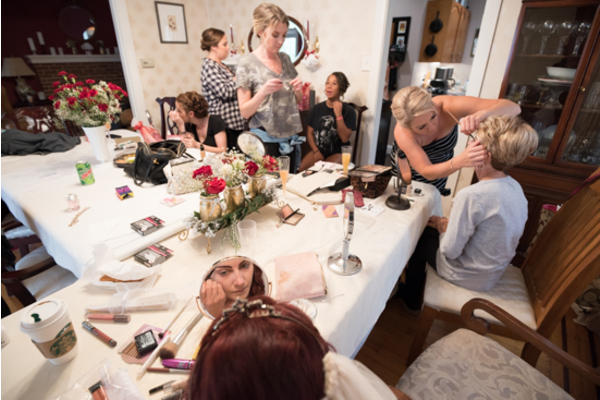 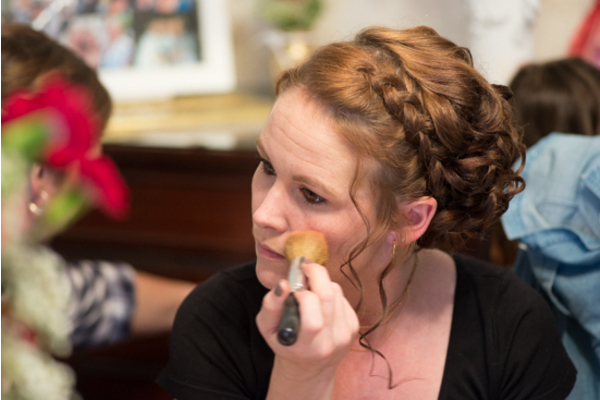 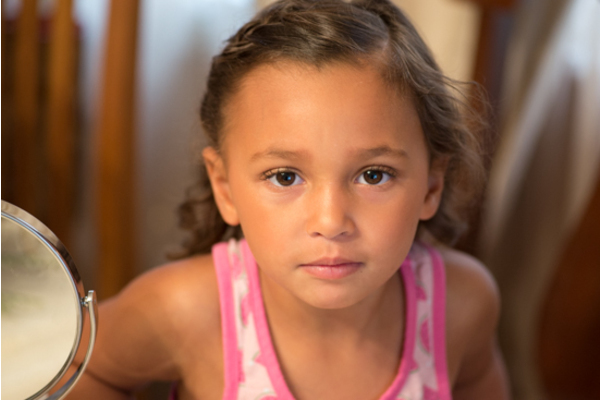 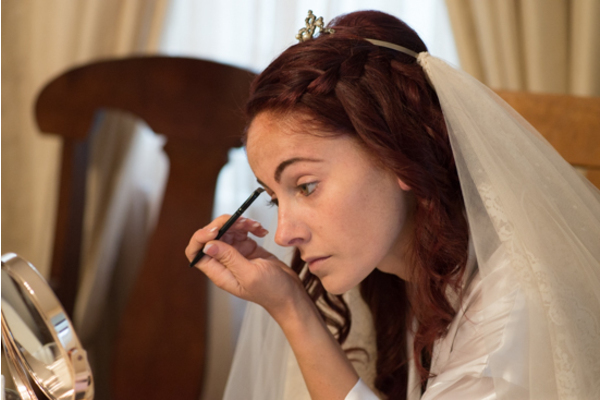 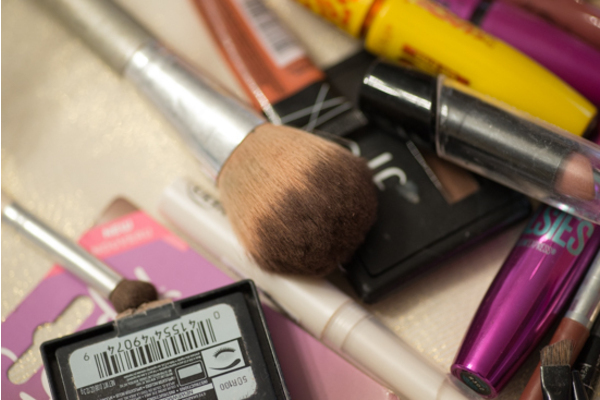 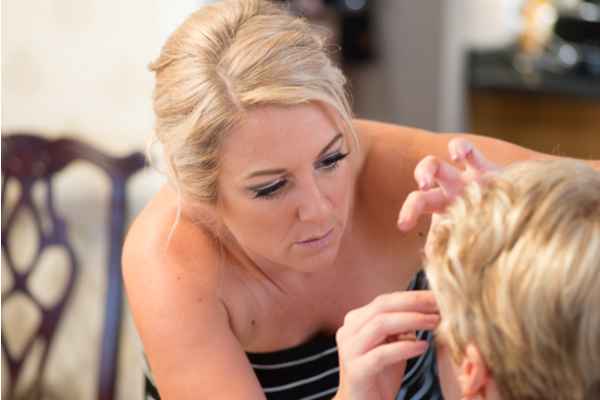 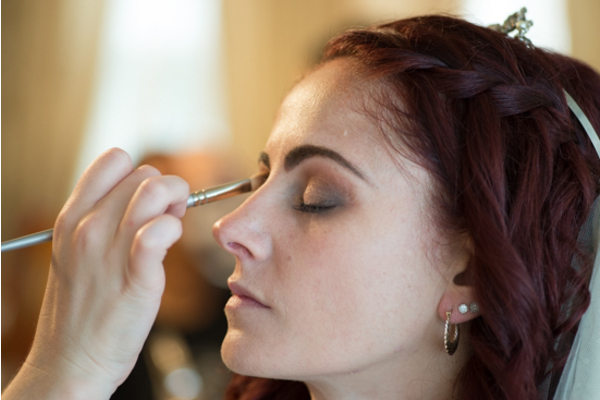 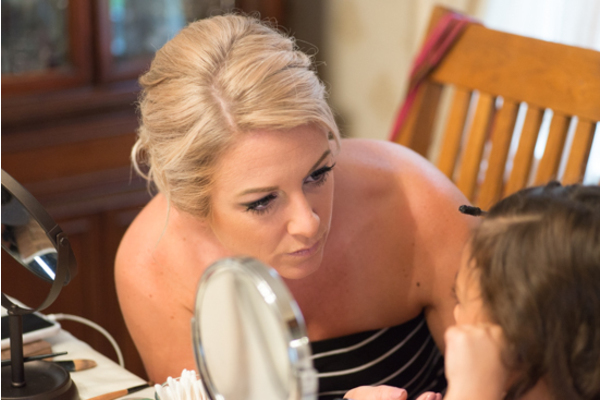 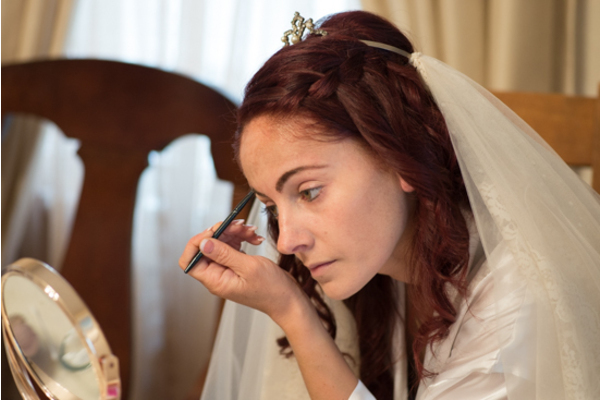 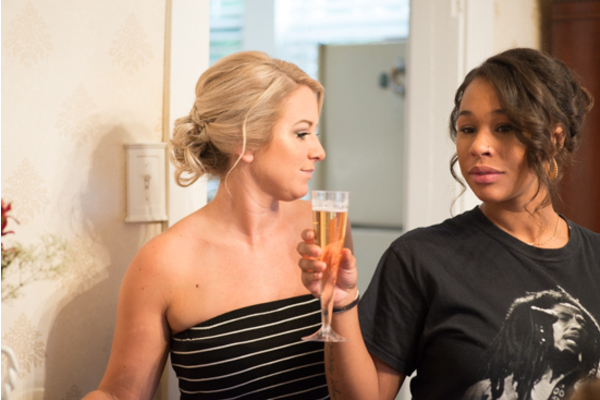 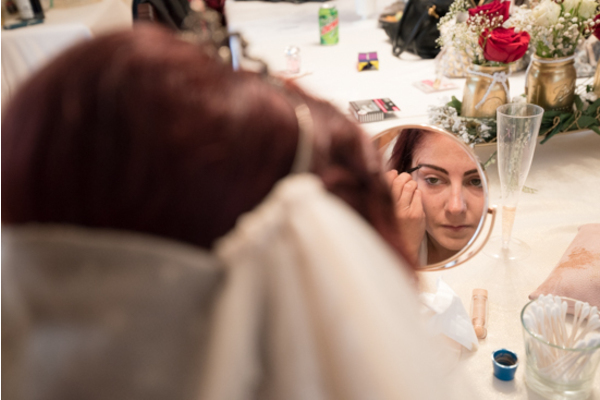 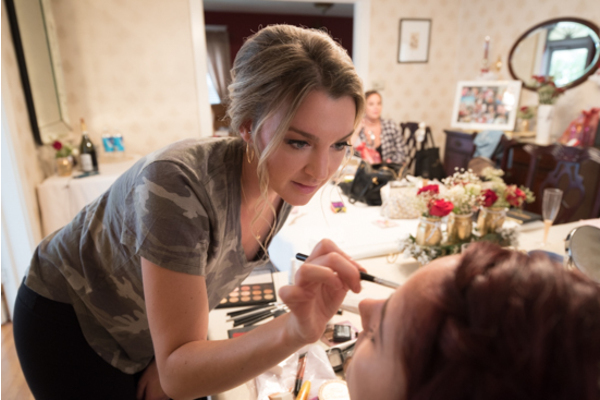 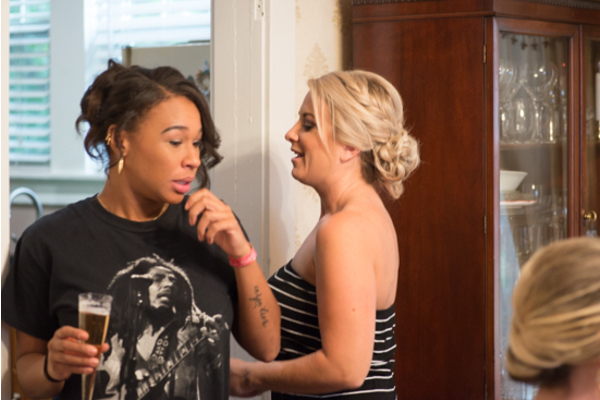 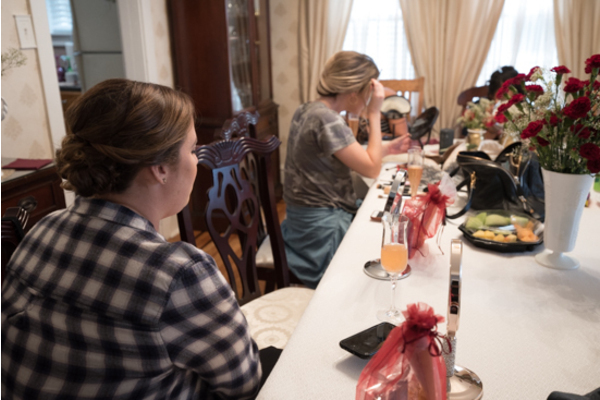 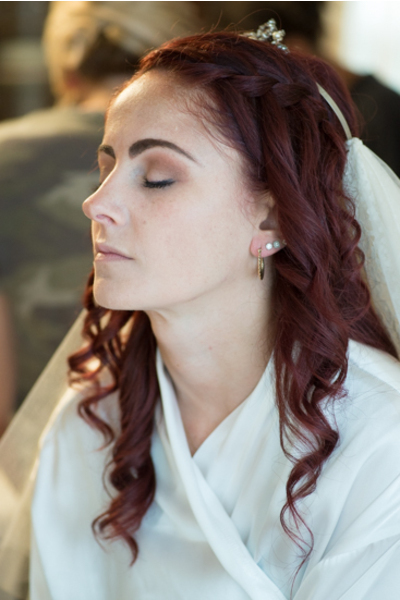 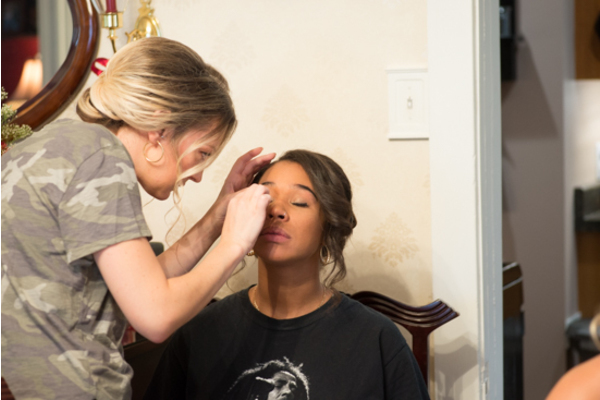 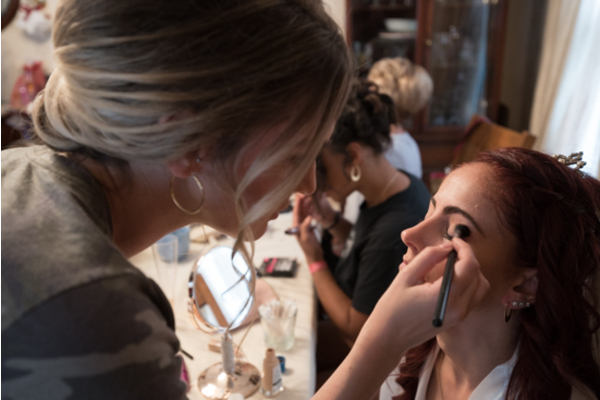 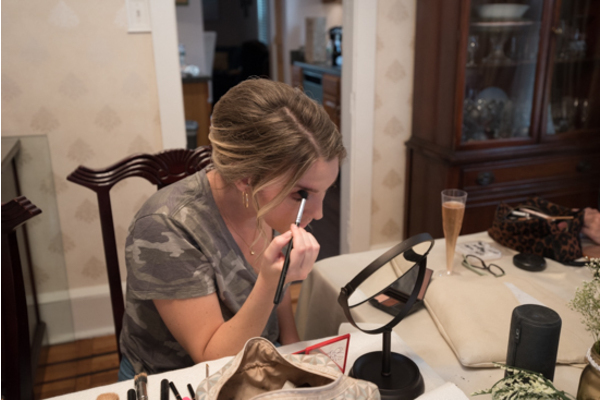 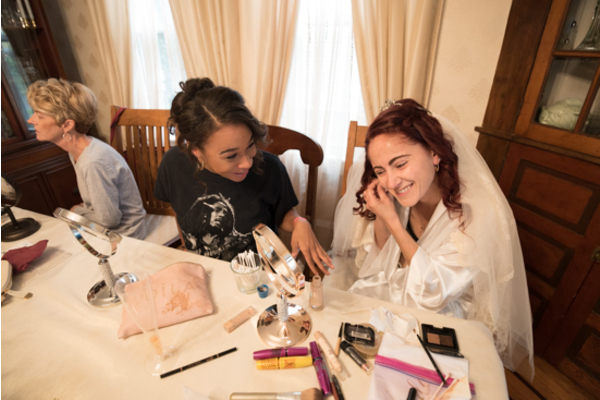 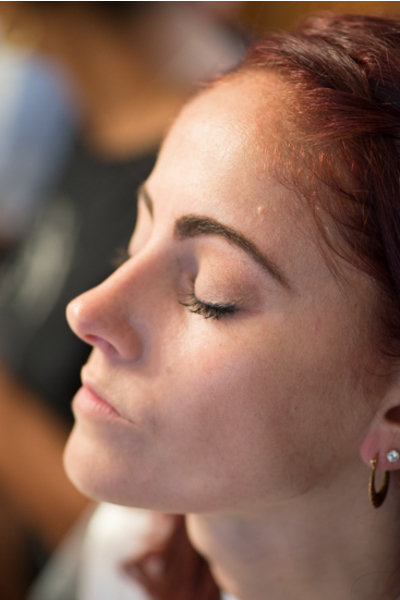 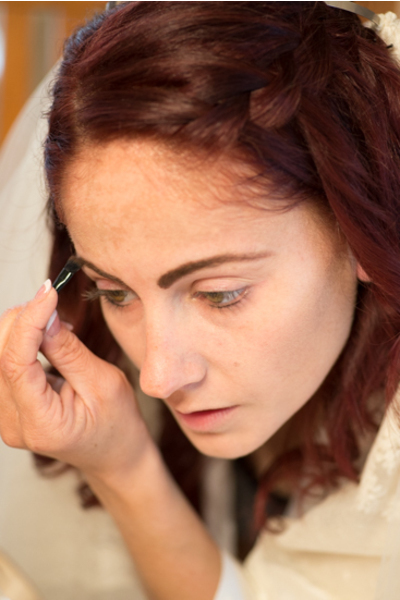 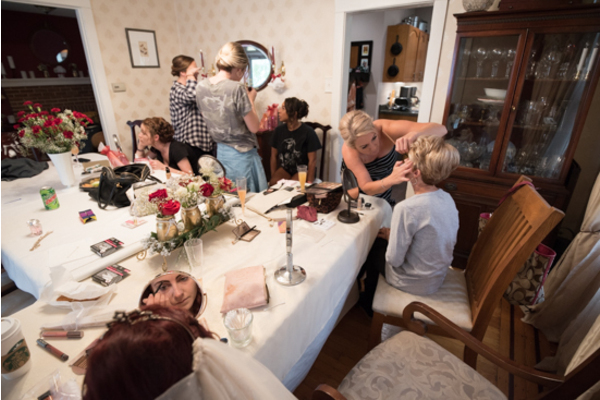 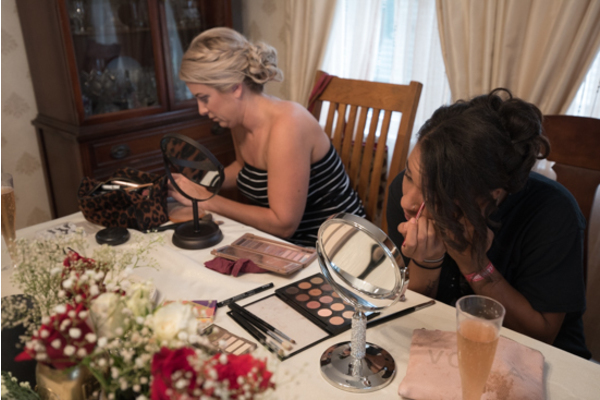 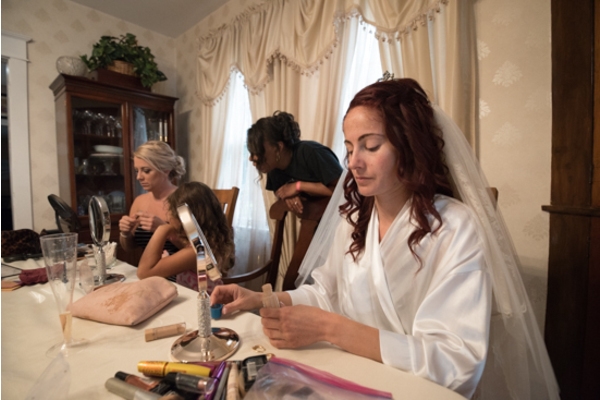 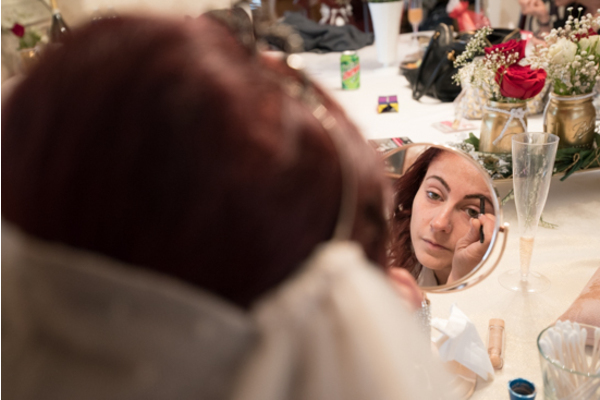 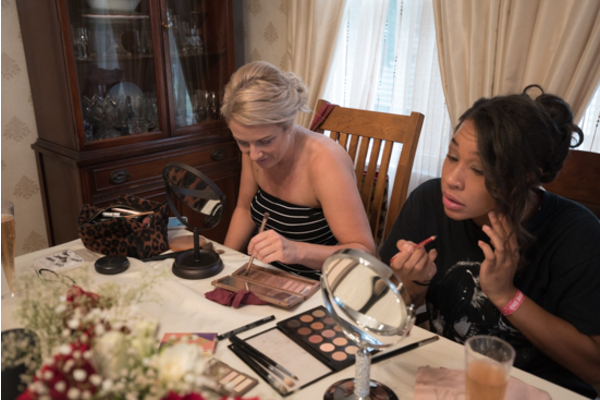 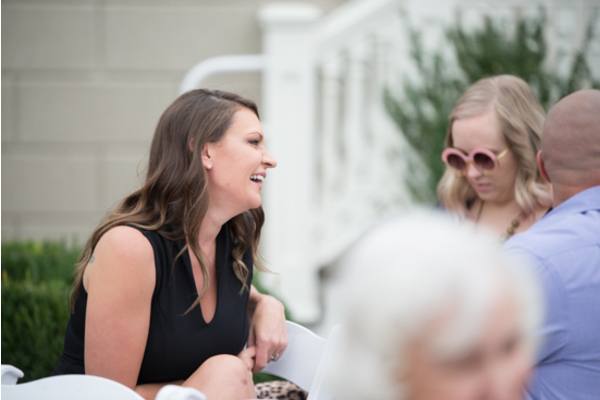 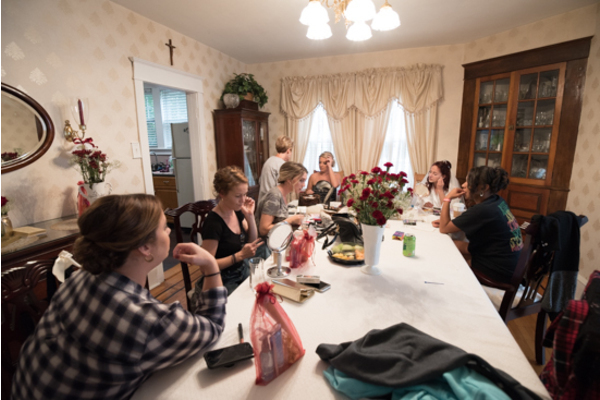 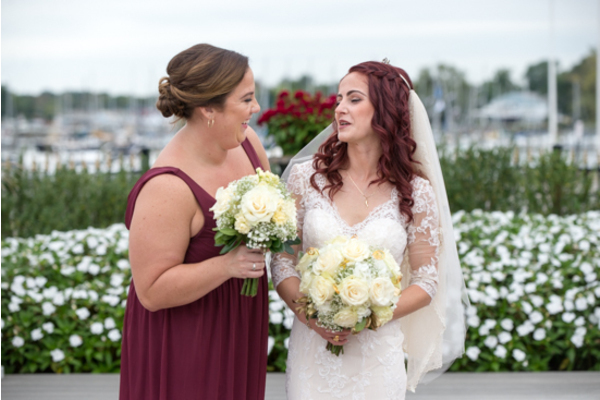 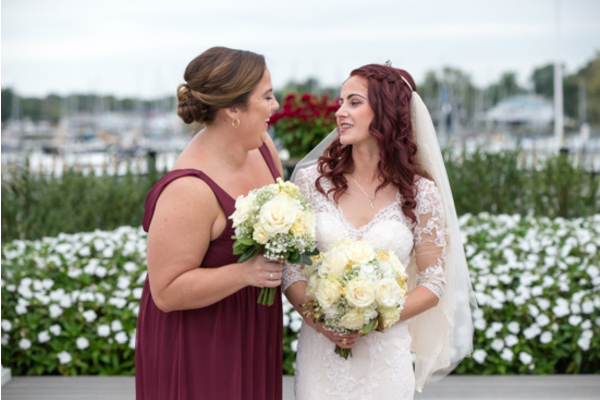 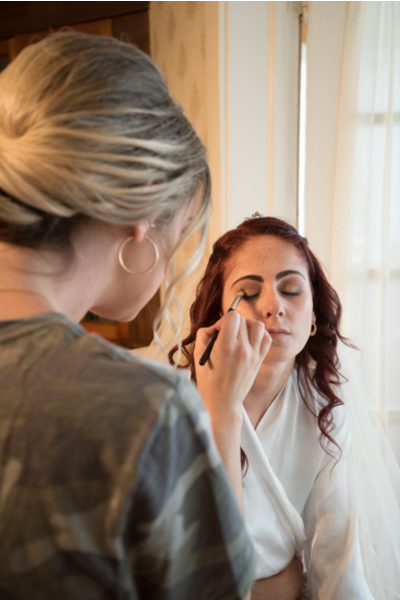 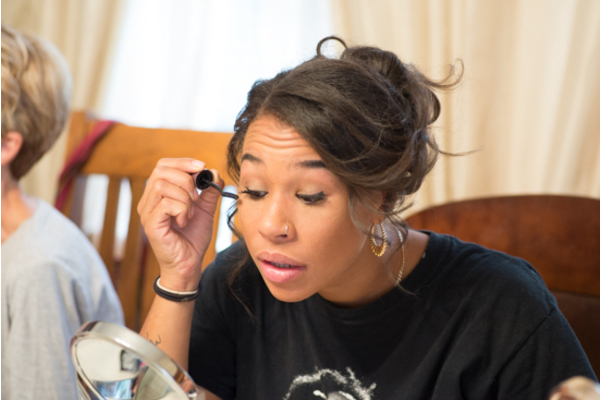 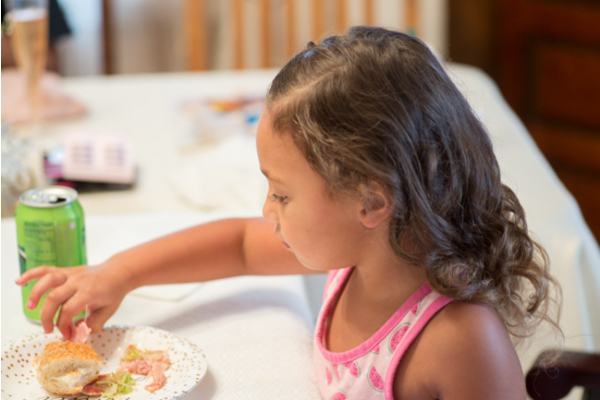 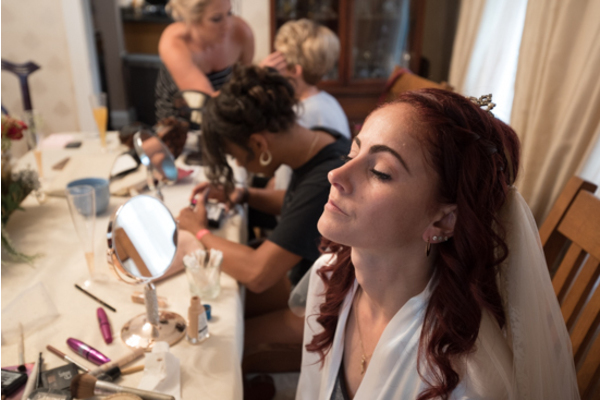 Before the ceremony, the girls began the festivities by doing each other’s hair and makeup, while sharing laughs and stories! 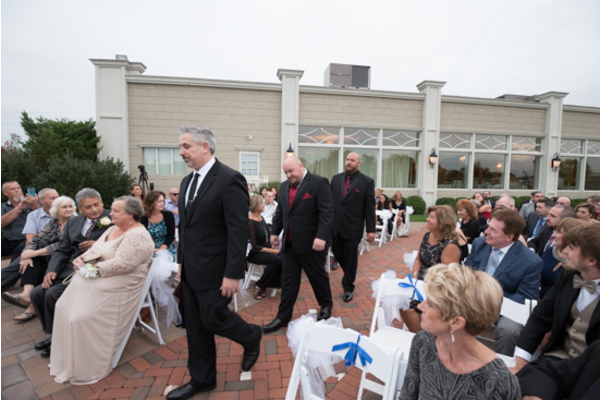 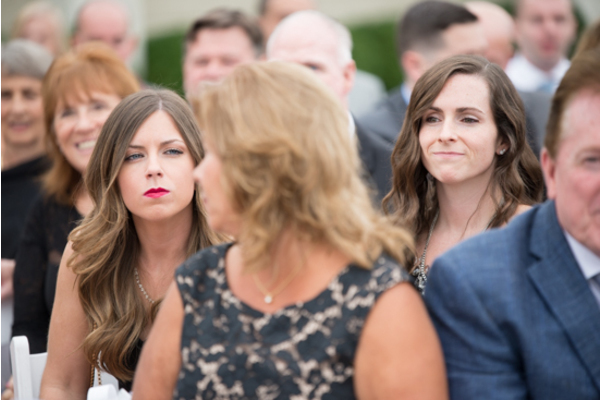 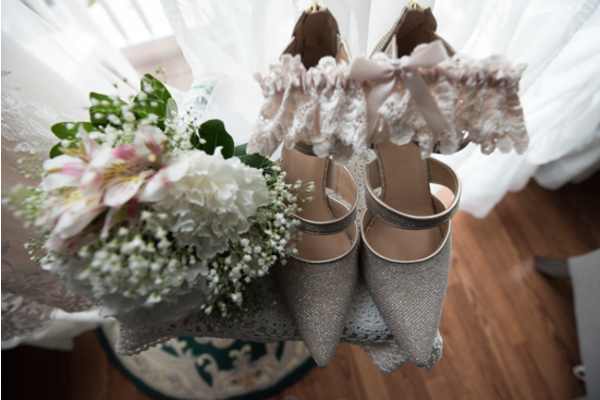 OurNJ Wedding Photographer was sure to capture every memory in the making for them to look back on. 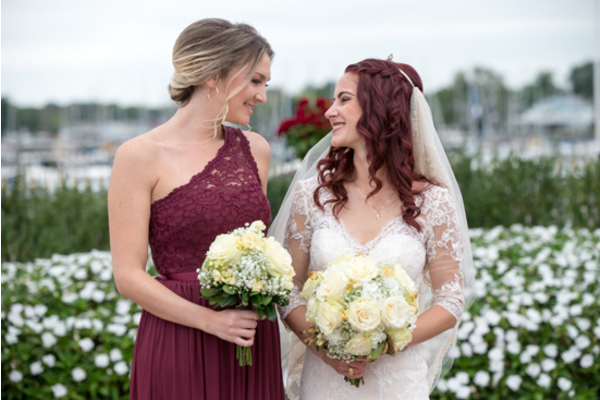 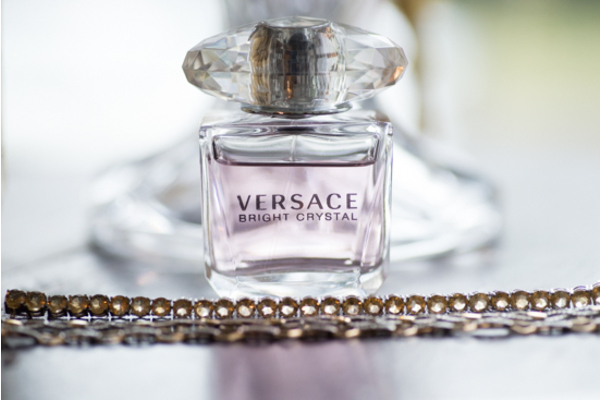 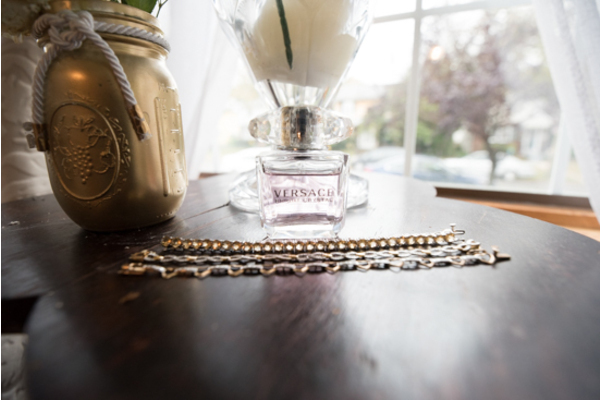 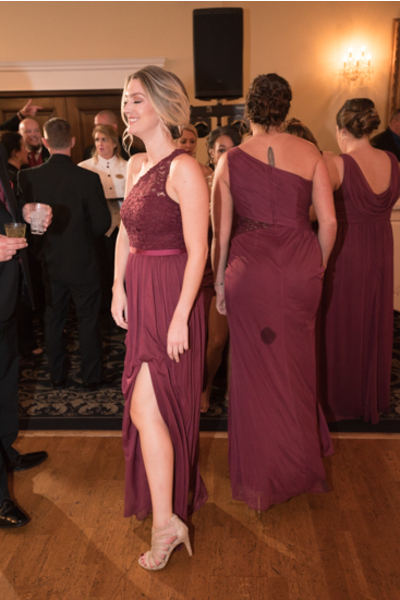 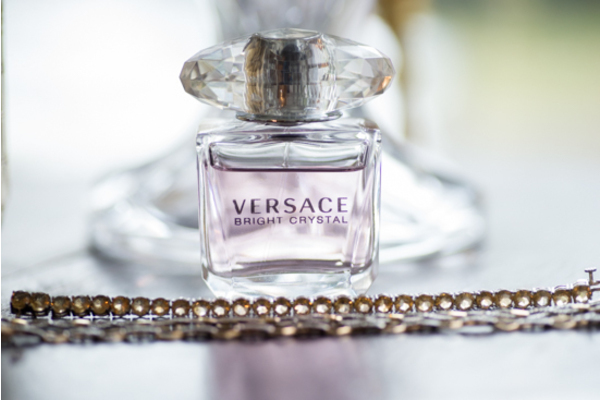 When it was all said and done, the bride and her bridesmaids finally slipped on their stunning wine-colored dresses. 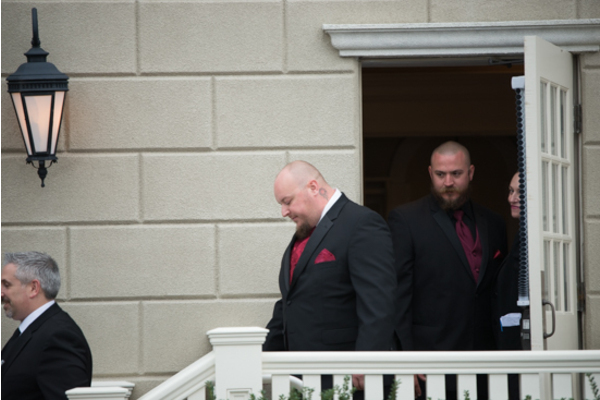 Nearby, the groom and his men, of course, looked just as handsome in their tuxes during their morning preparation. 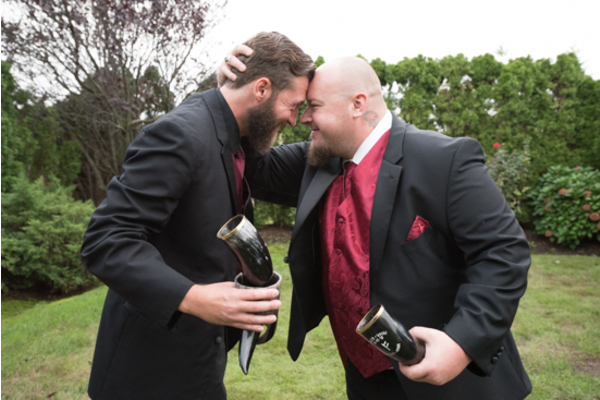 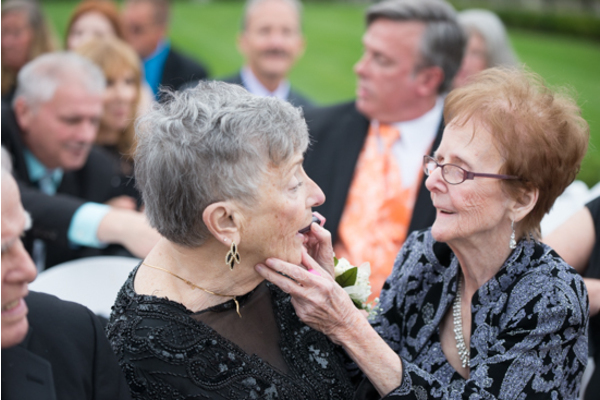 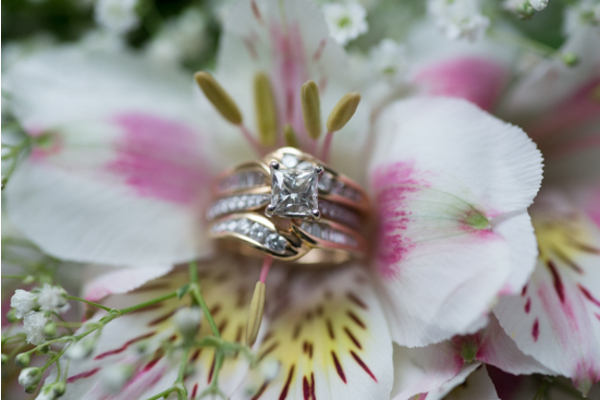 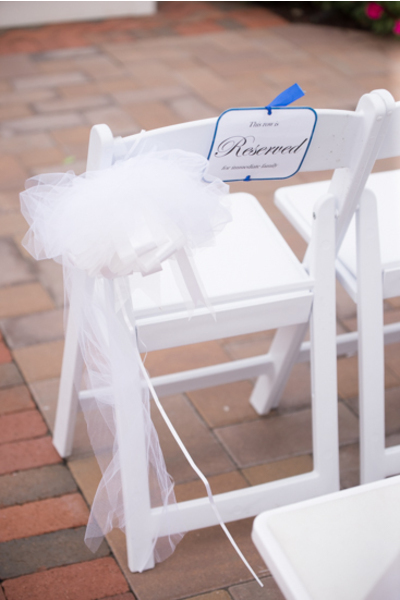 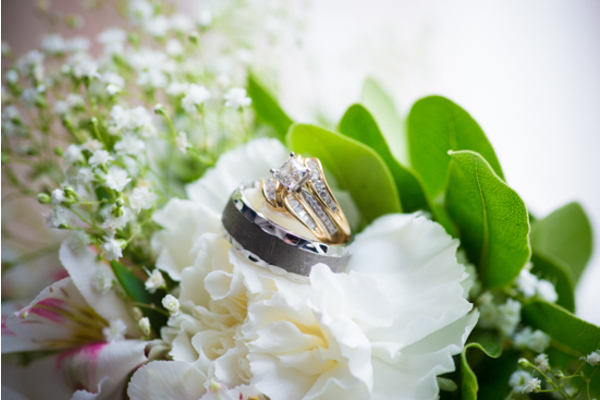 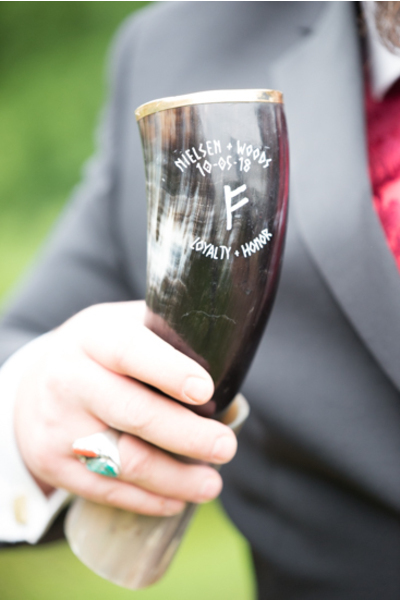 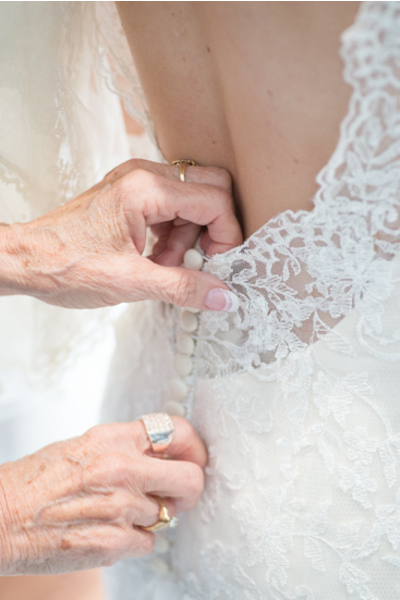 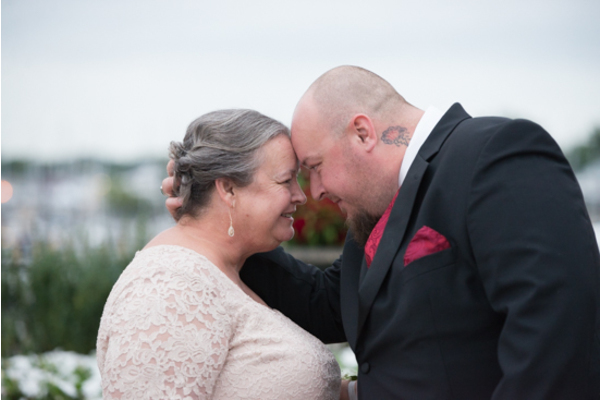 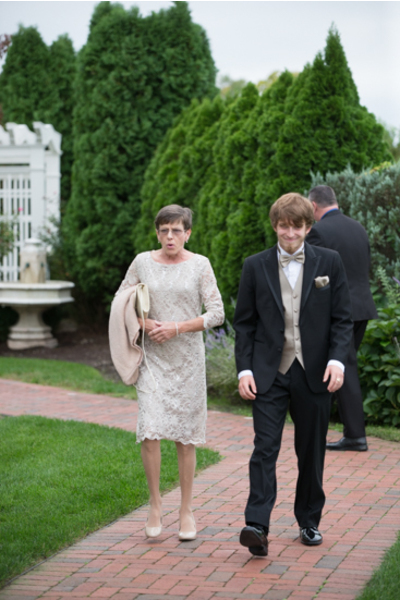 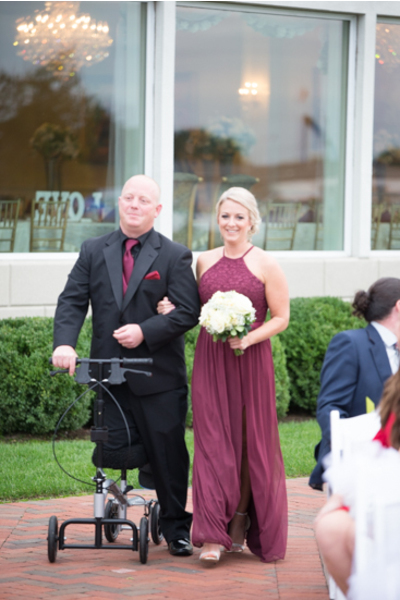 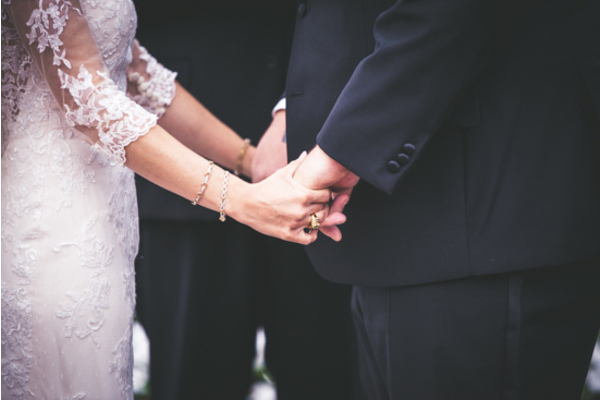 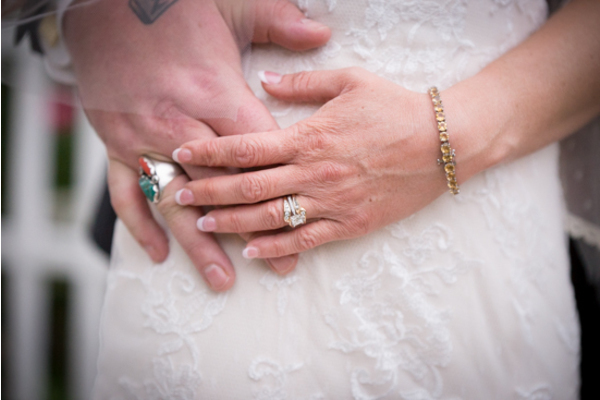 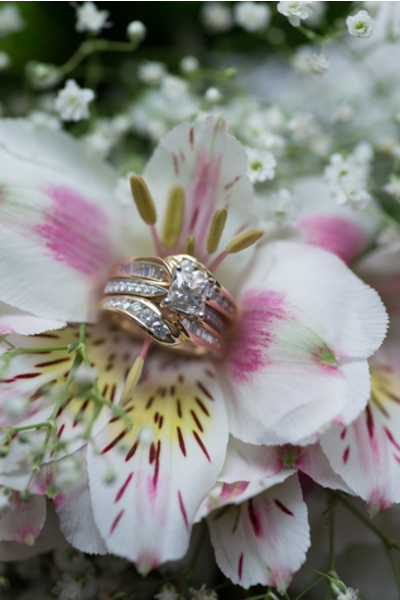 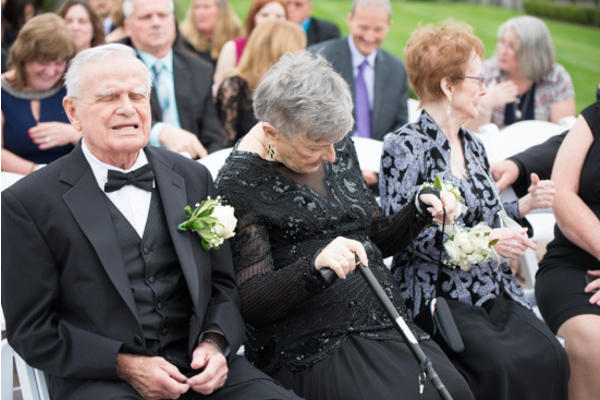 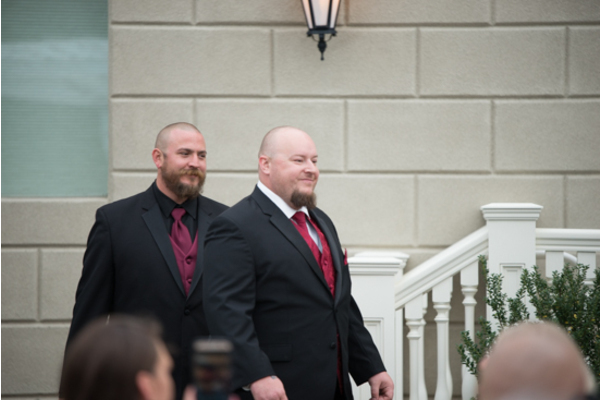 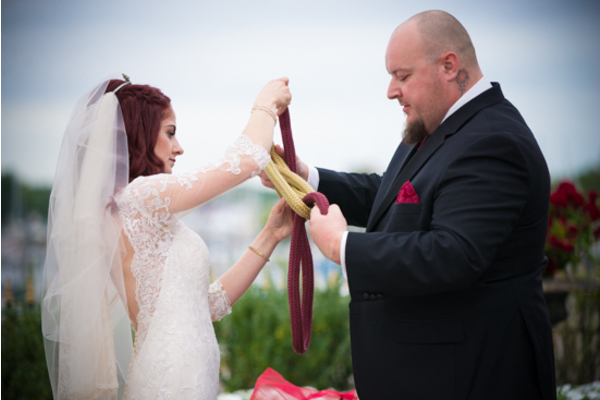 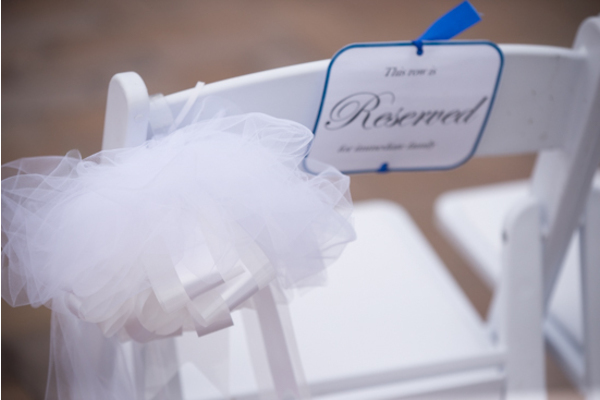 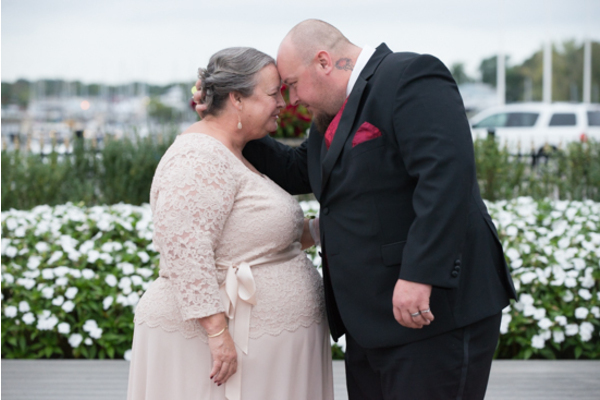 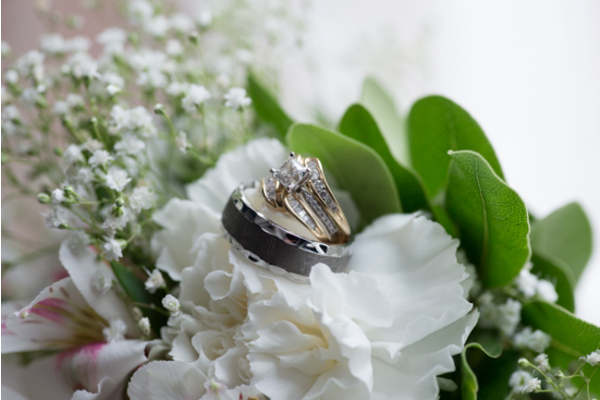 These two had a beautiful start to a lifelong journey together, as their outdoor ceremony was about to begin. 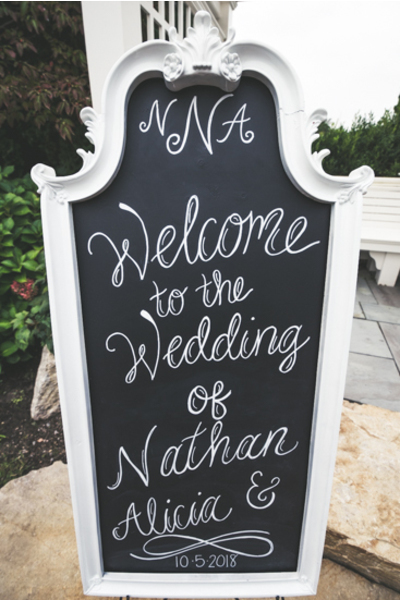 They had a sign that read “Welcome to the Wedding of Nathan & Alicia!” The white chairs were all lined up as their loved ones made their way to their seats. 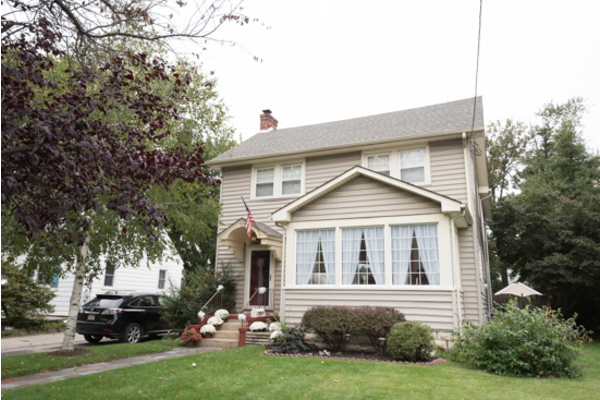 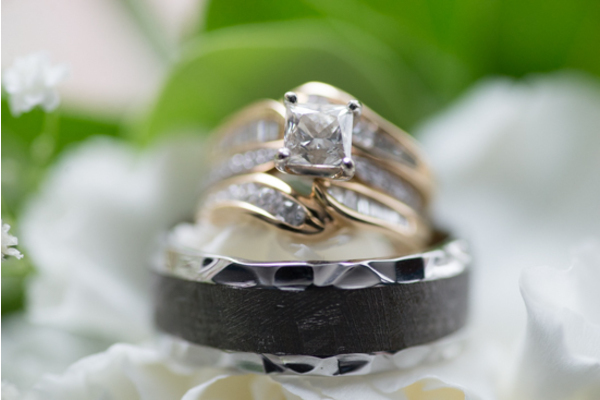 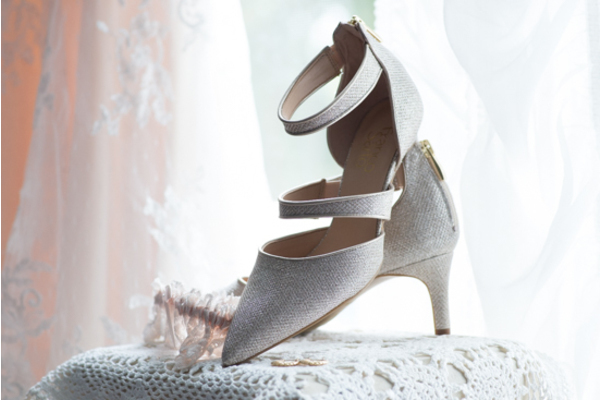 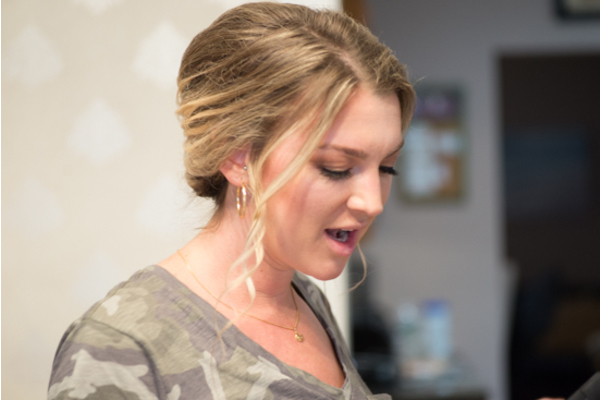 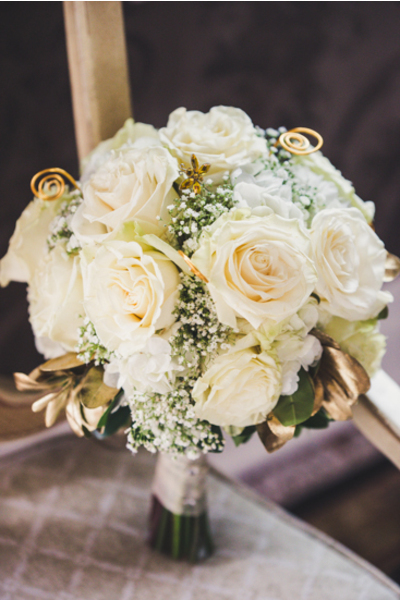 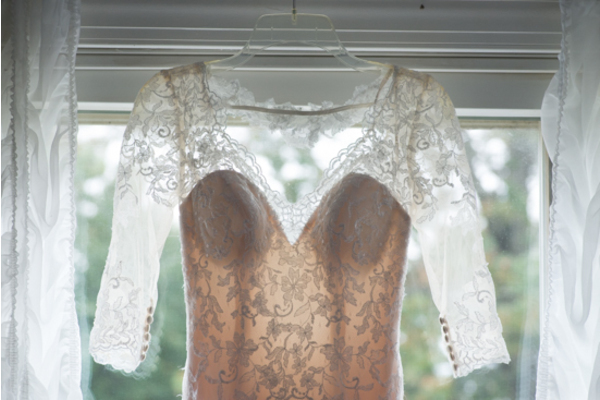 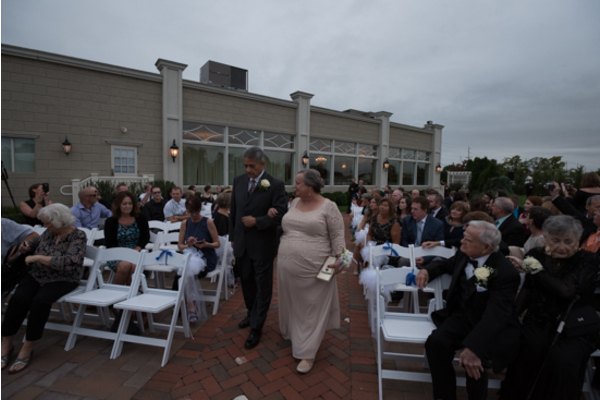 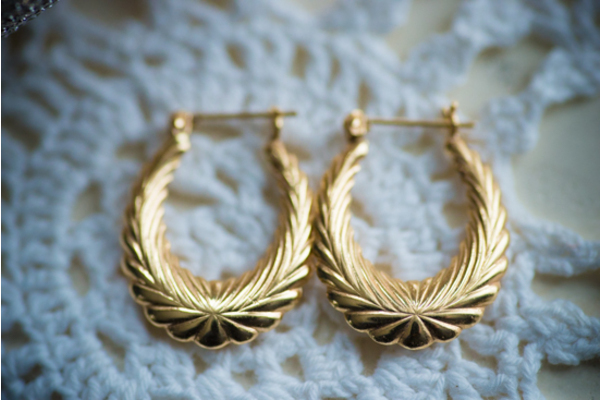 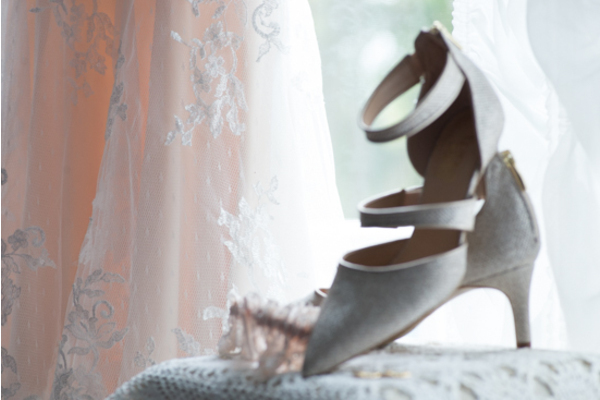 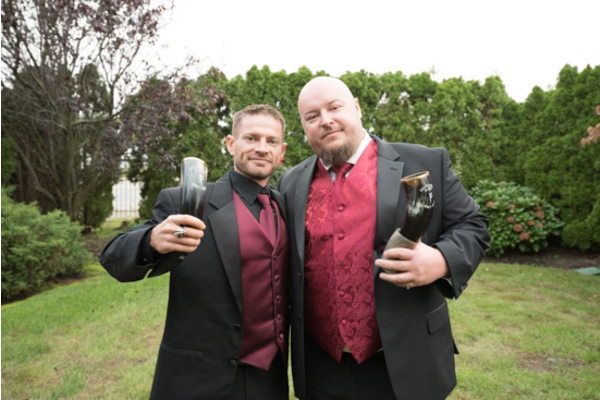 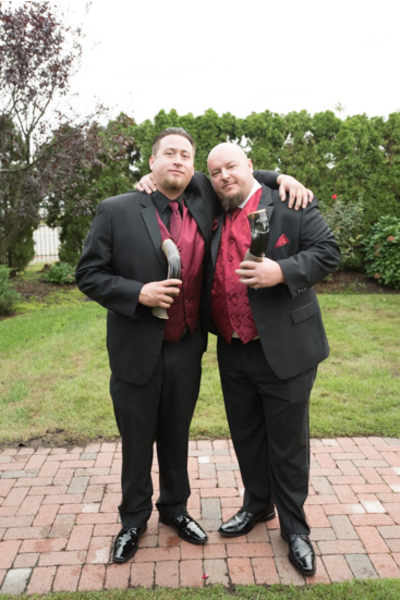 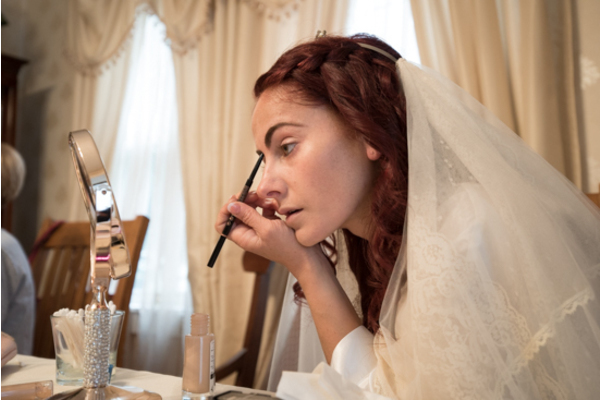 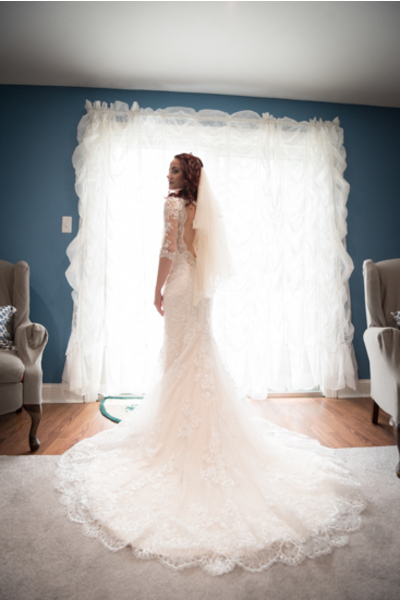 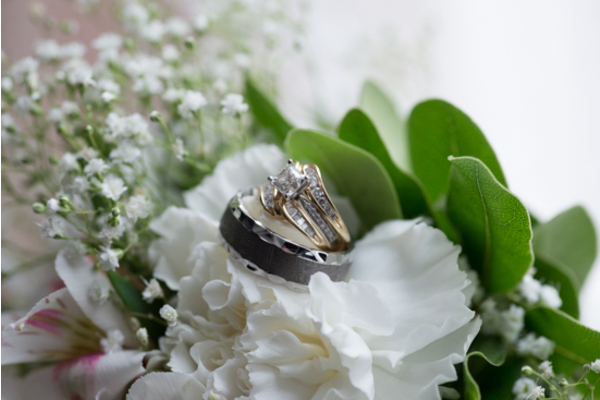 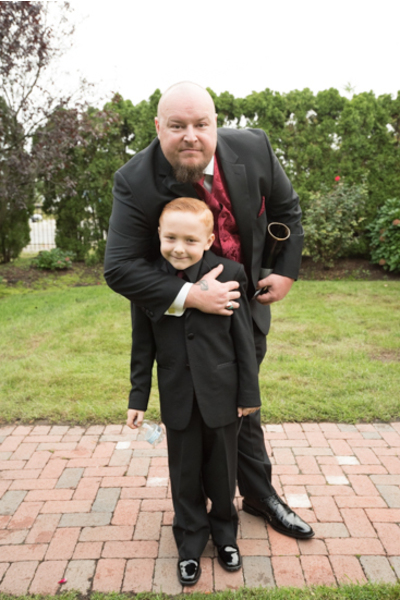 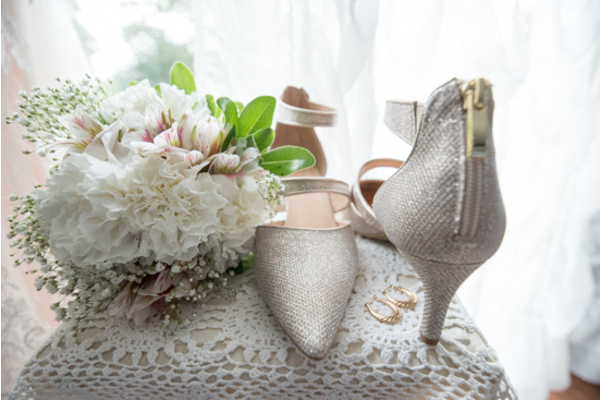 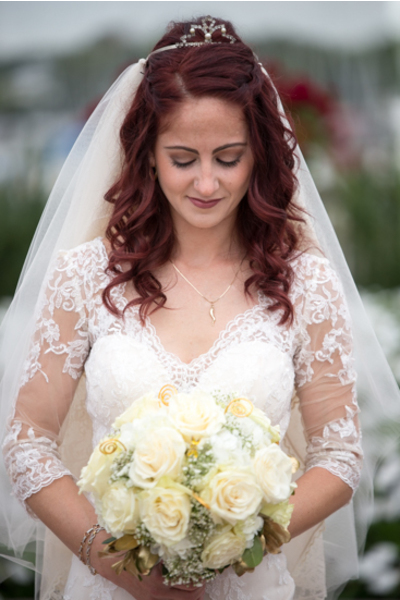 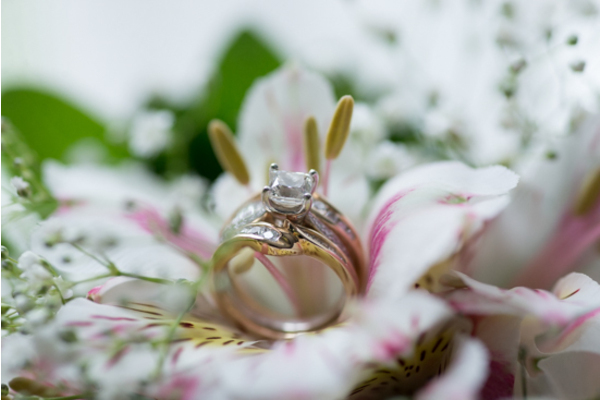 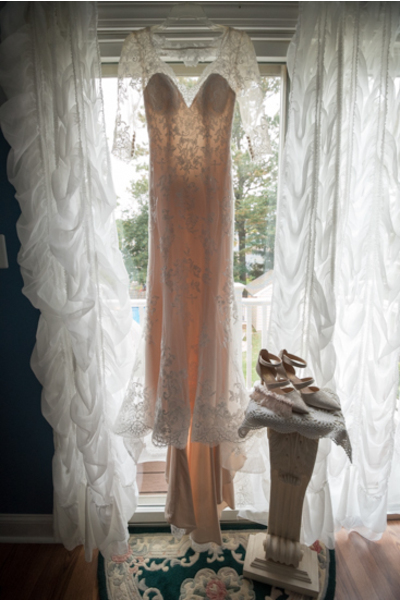 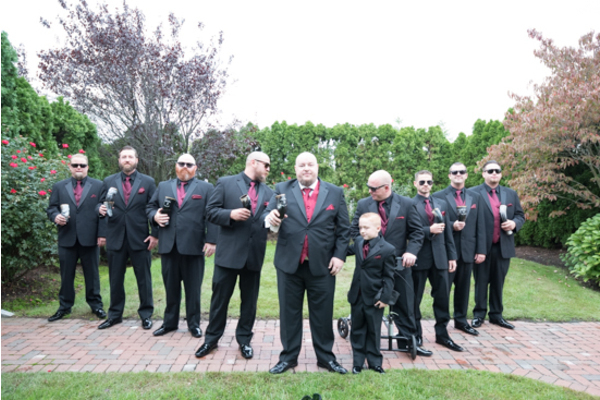 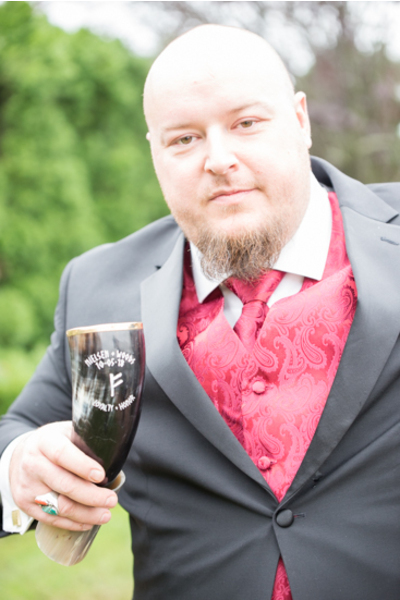 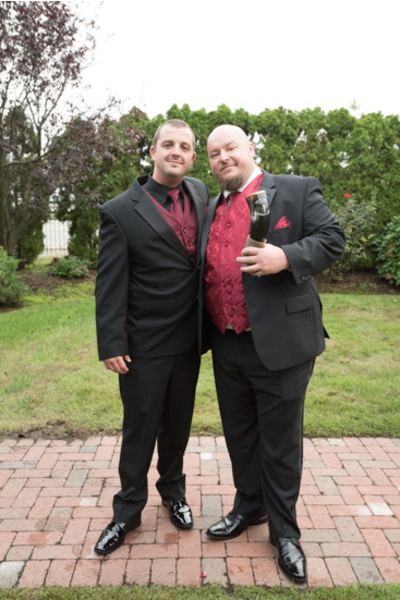 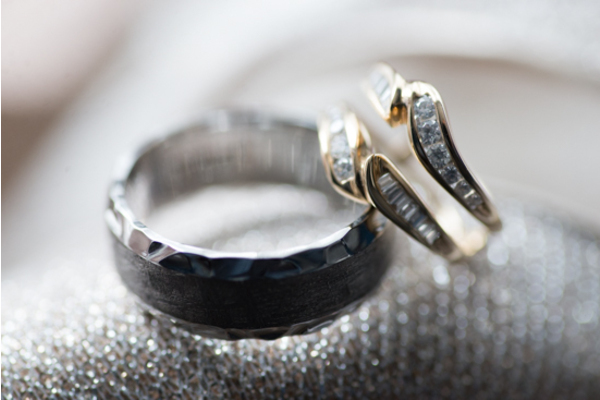 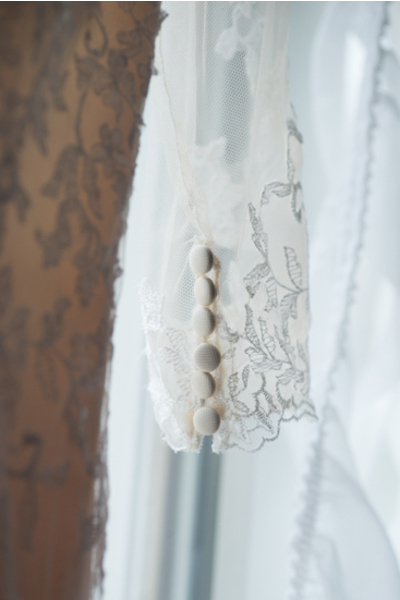 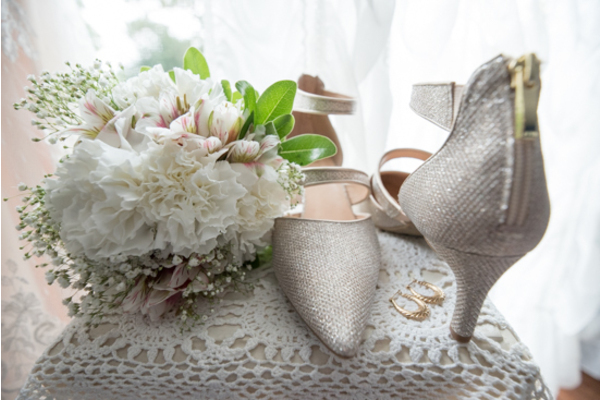 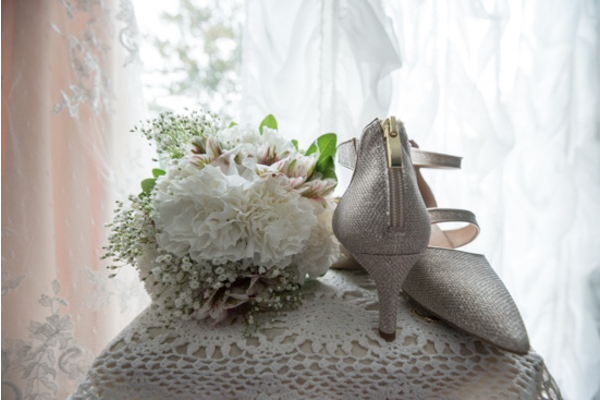 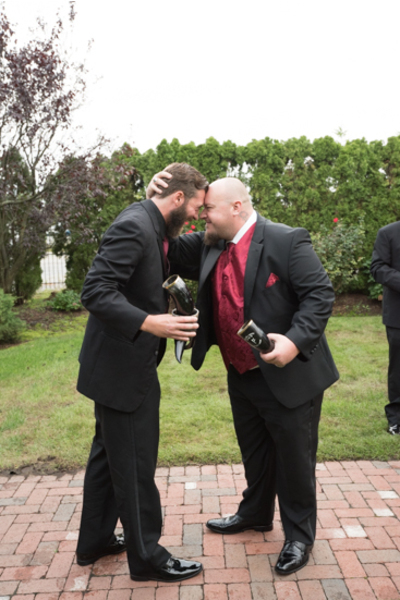 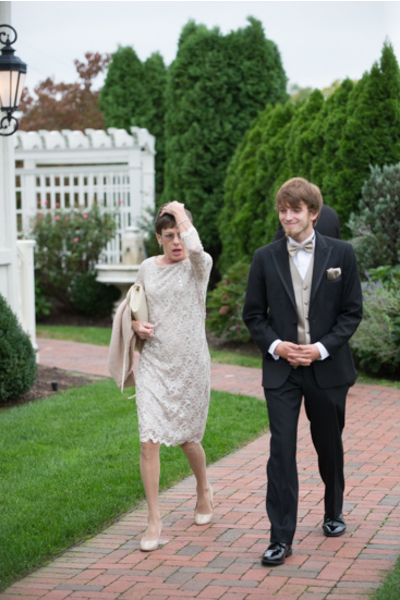 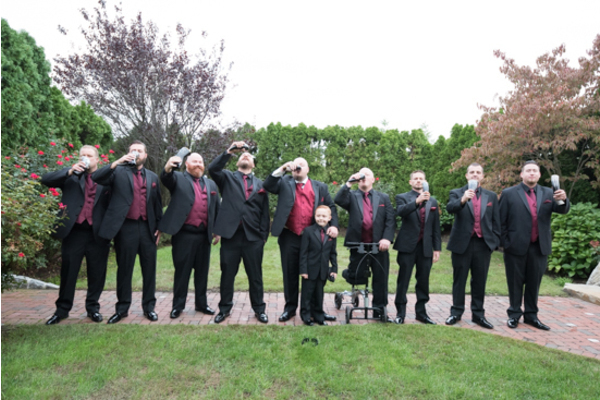 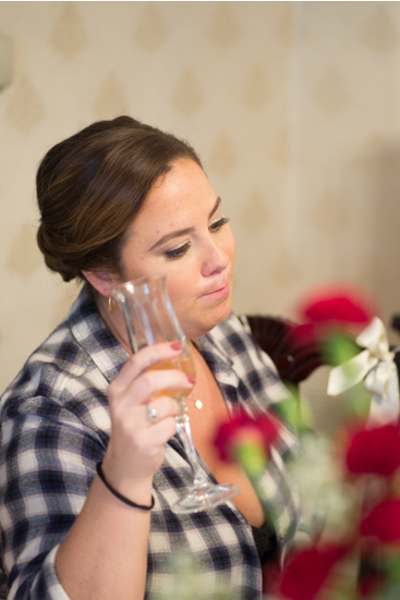 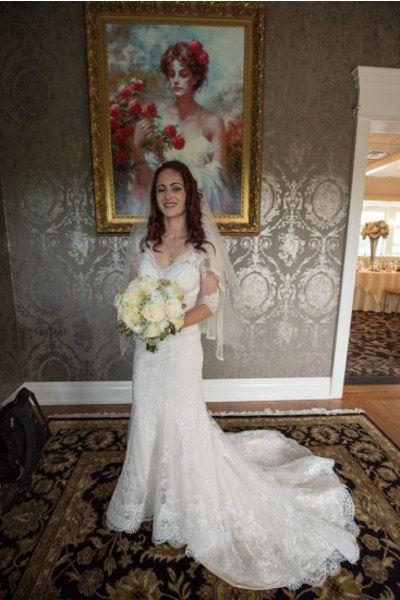 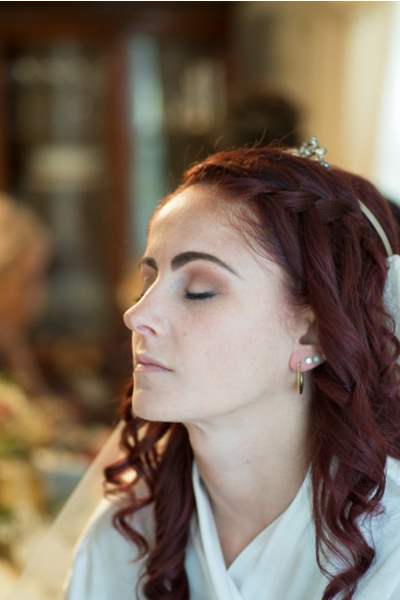 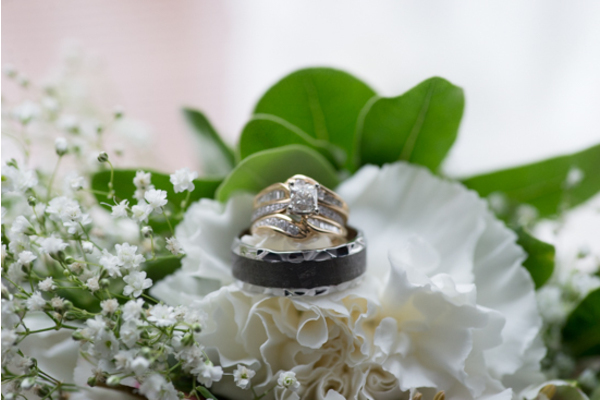 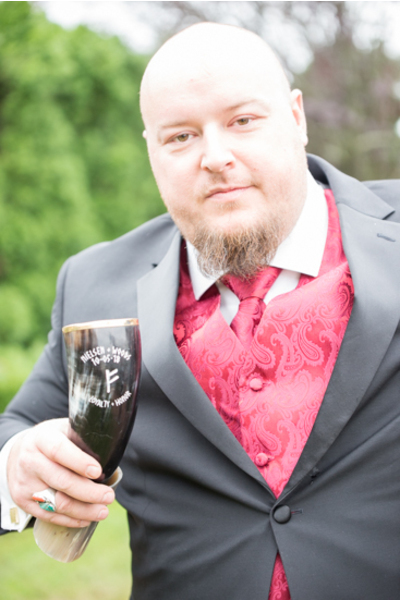 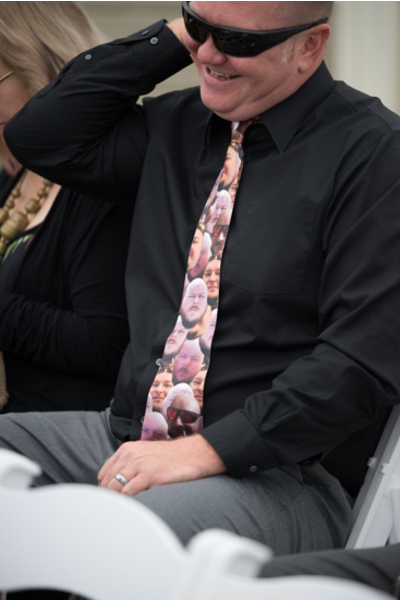 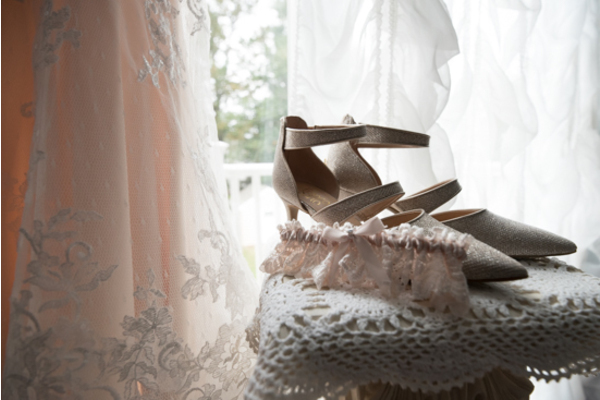 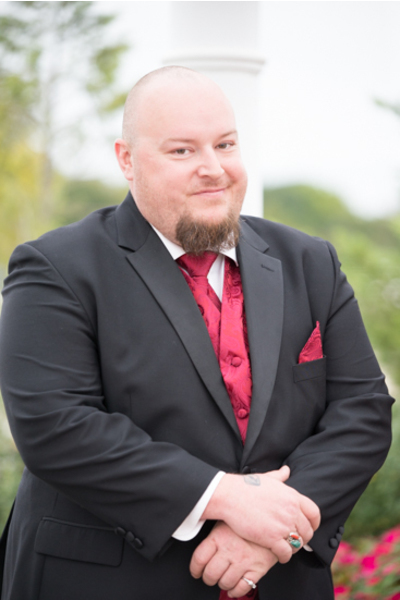 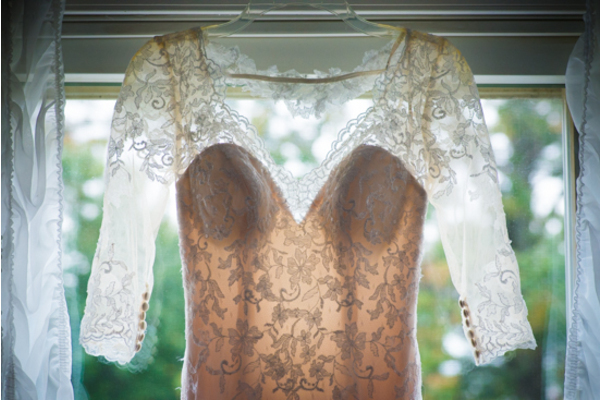 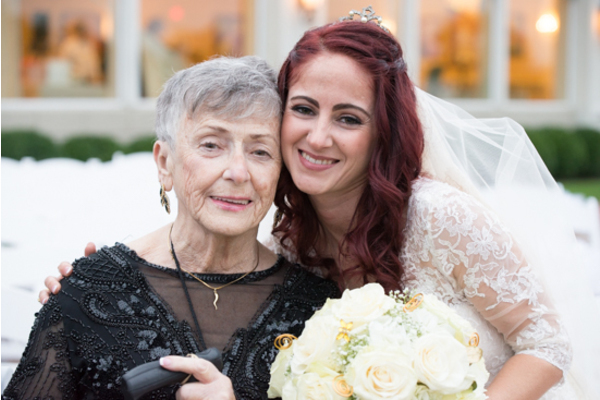 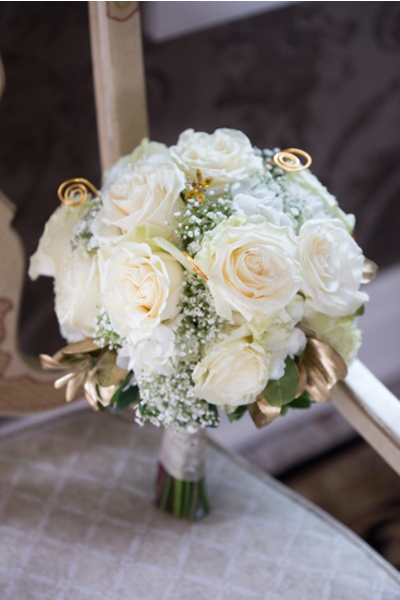 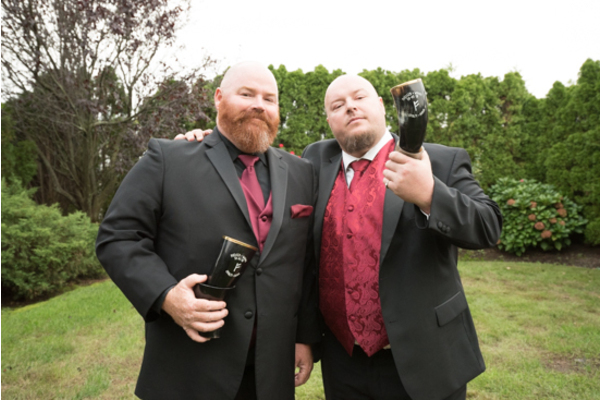 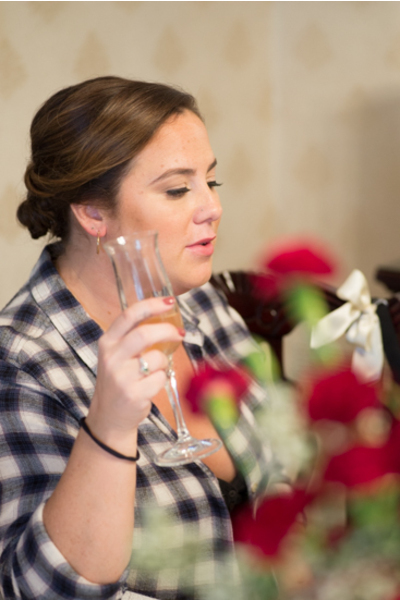 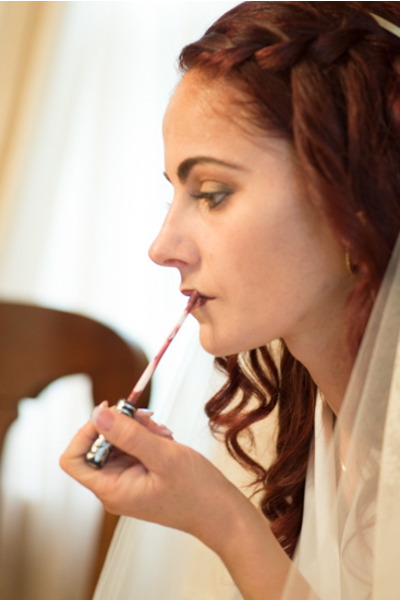 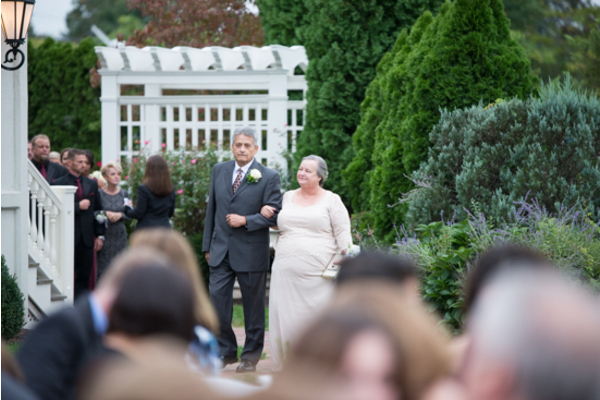 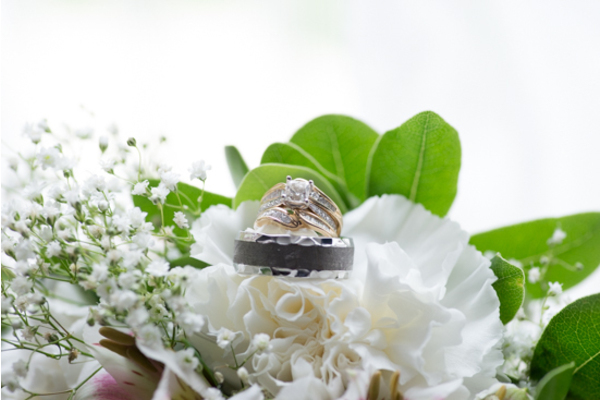 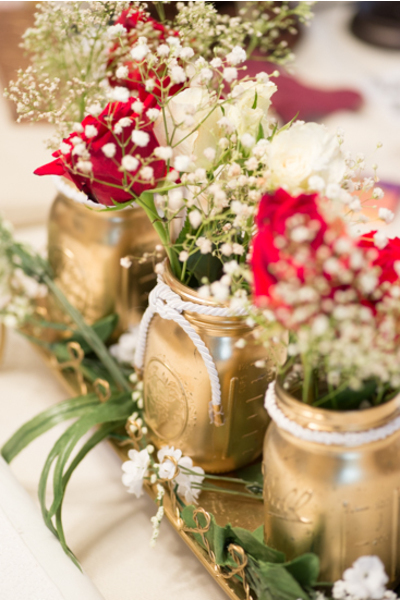 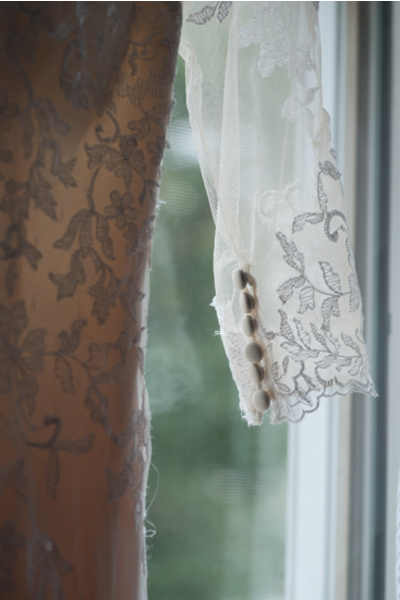 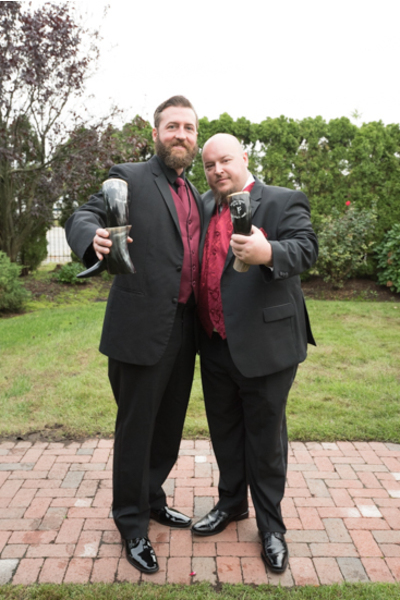 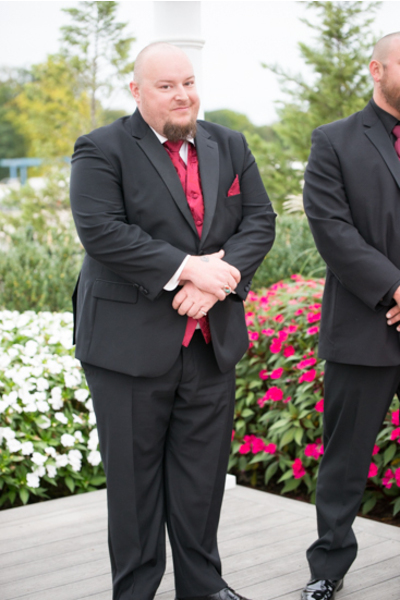 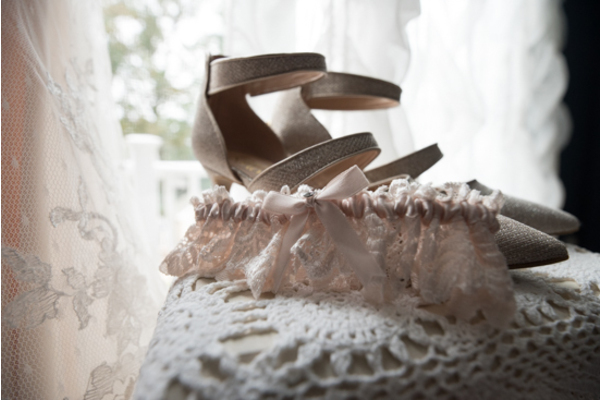 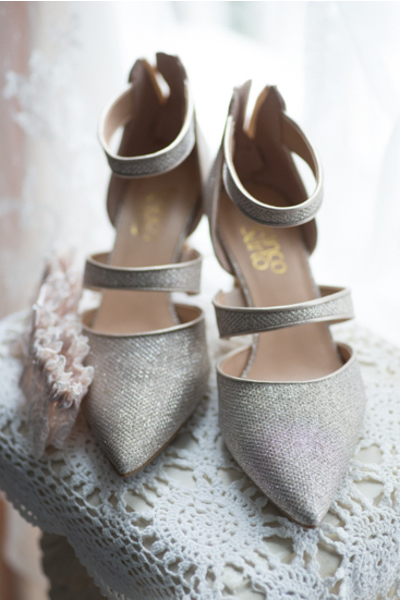 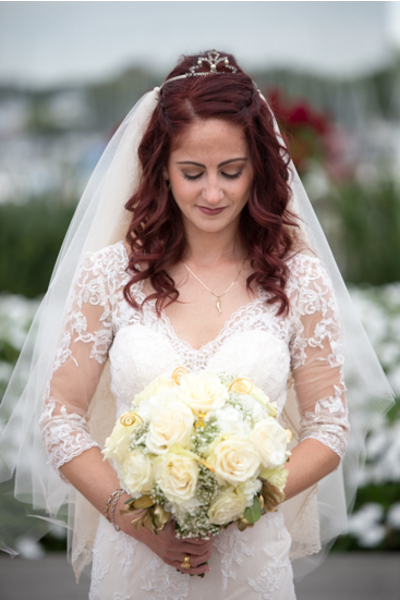 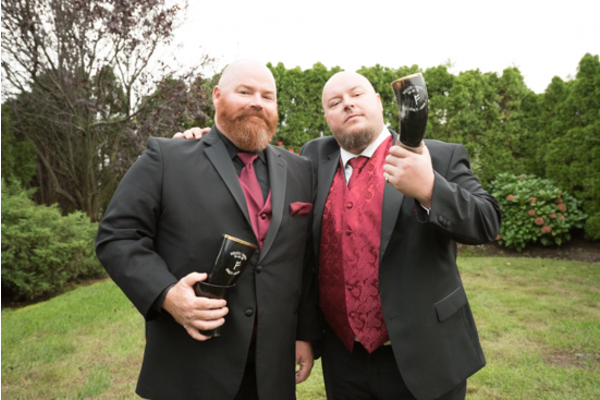 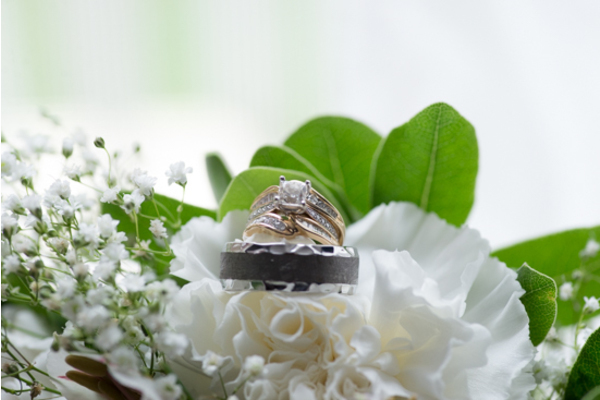 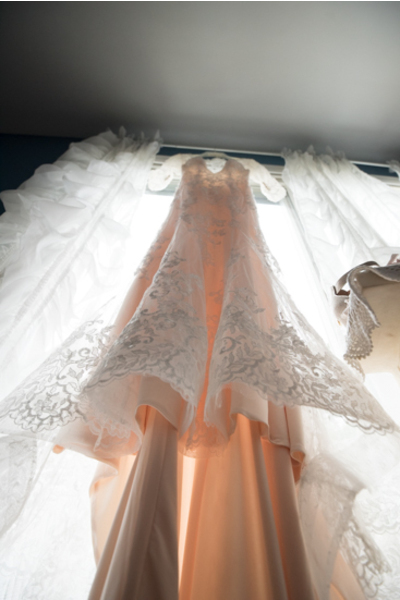 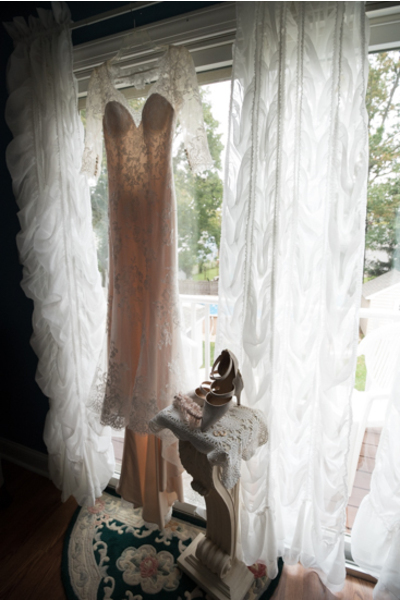 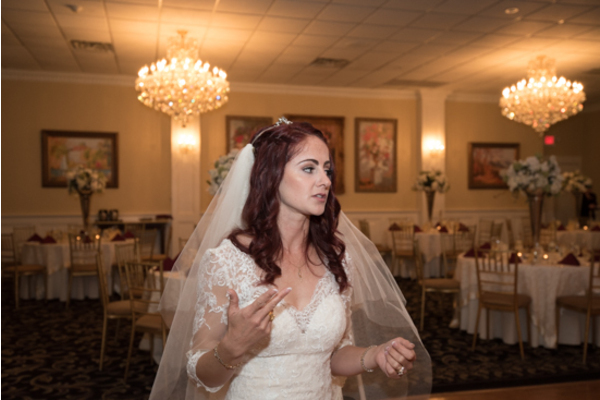 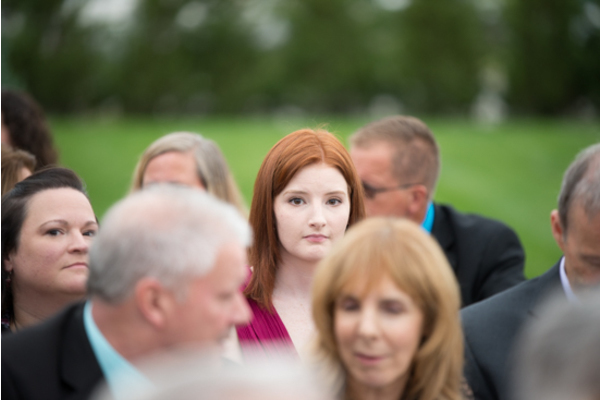 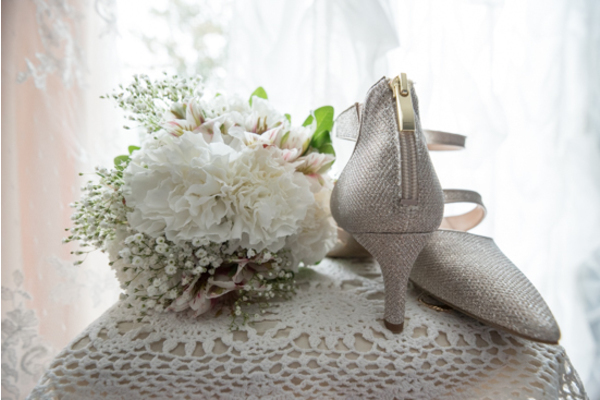 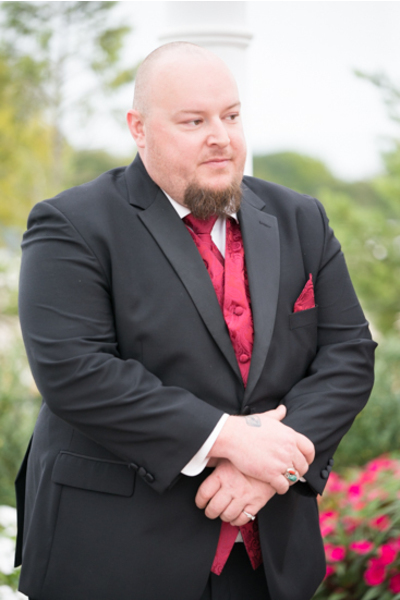 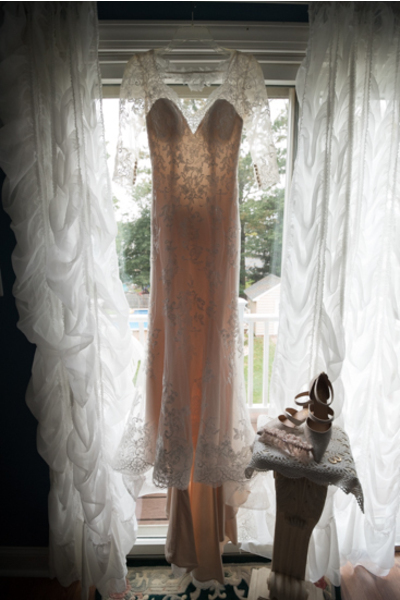 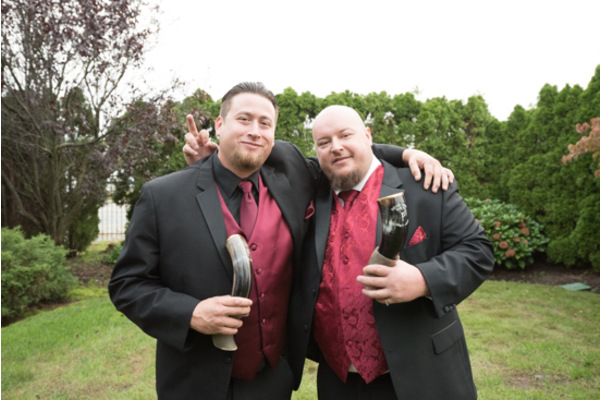 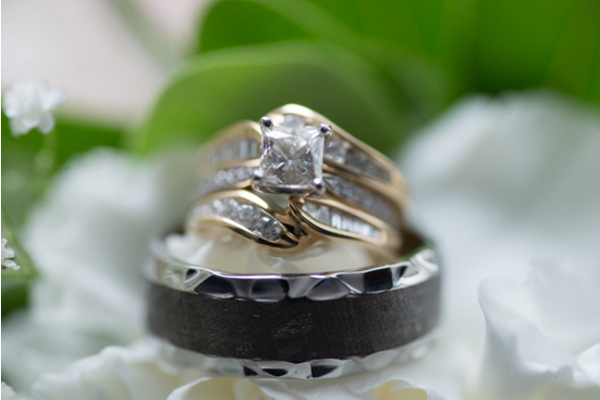 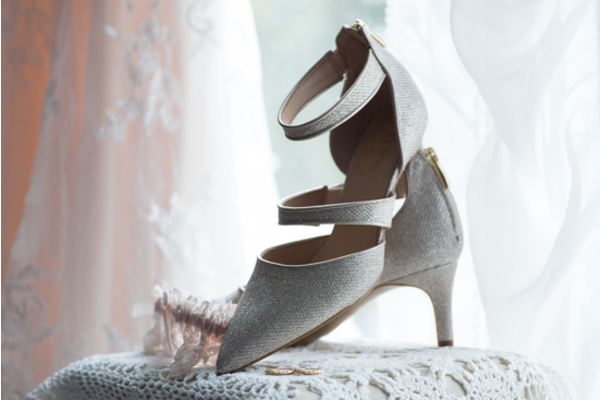 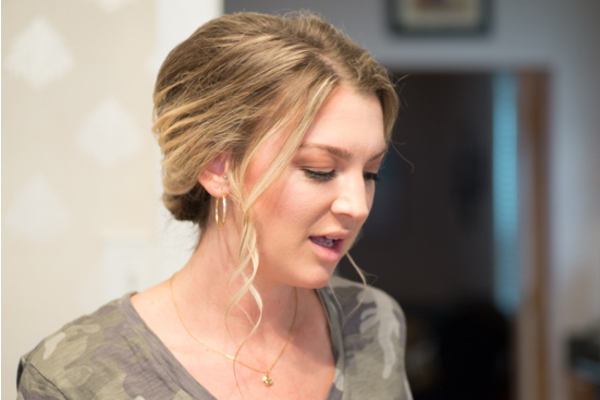 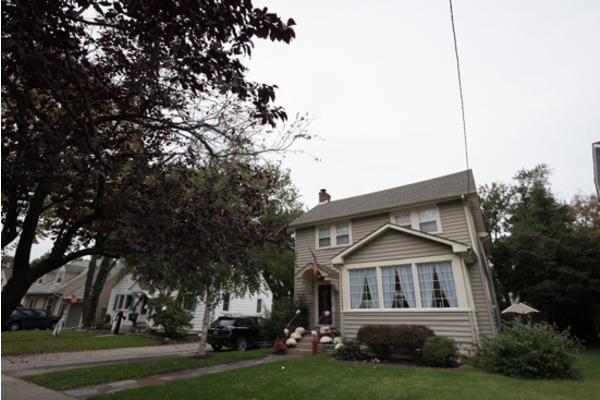 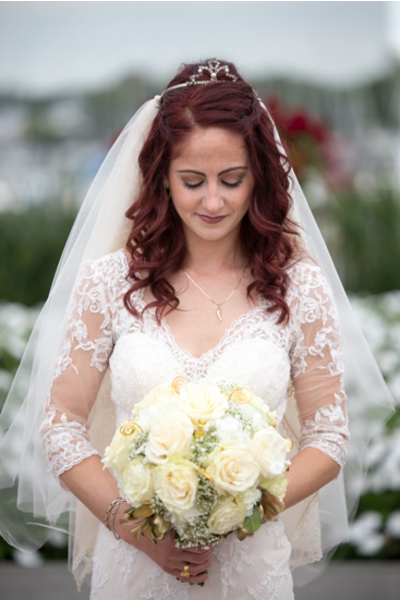 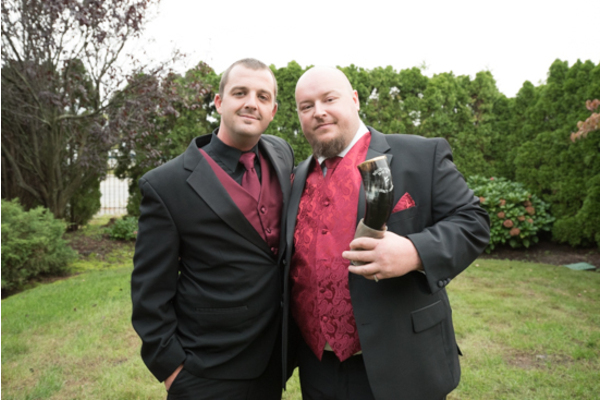 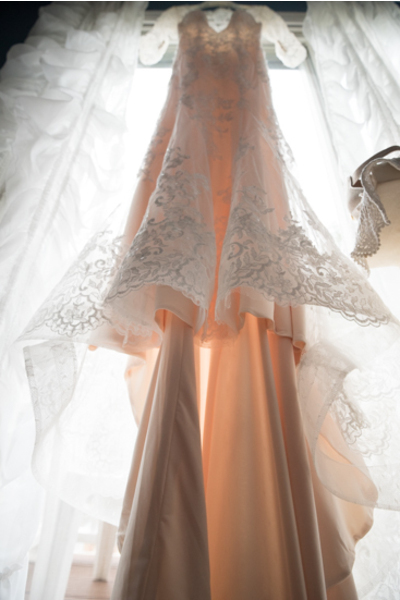 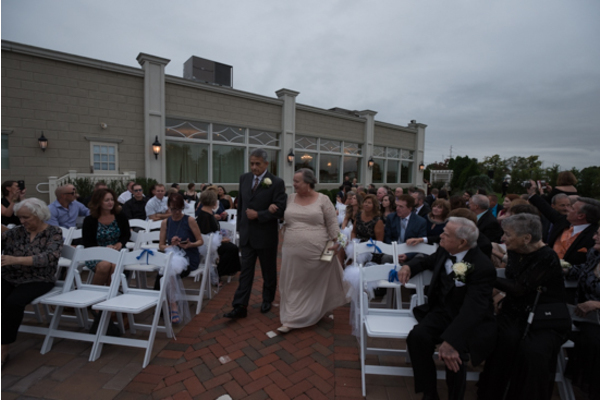 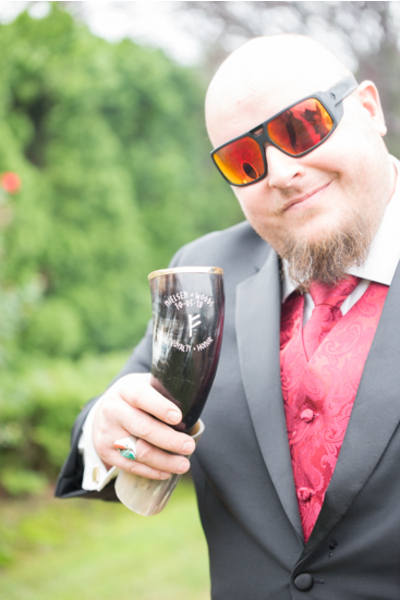 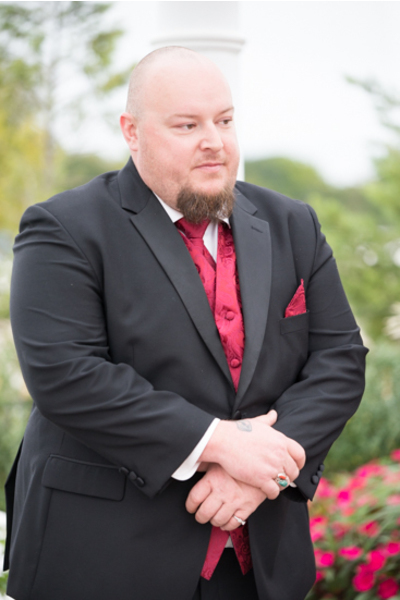 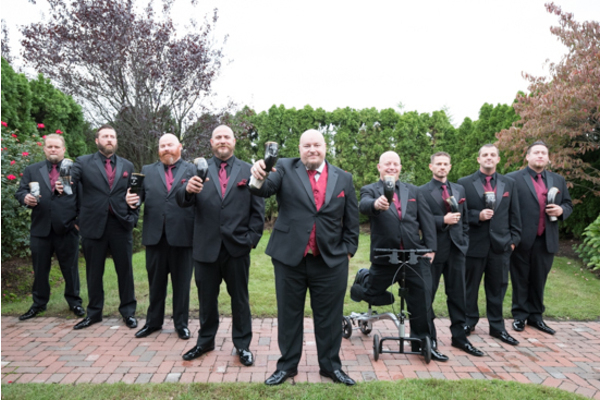 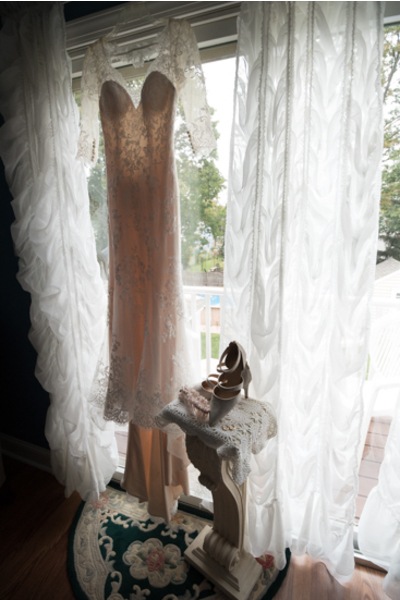 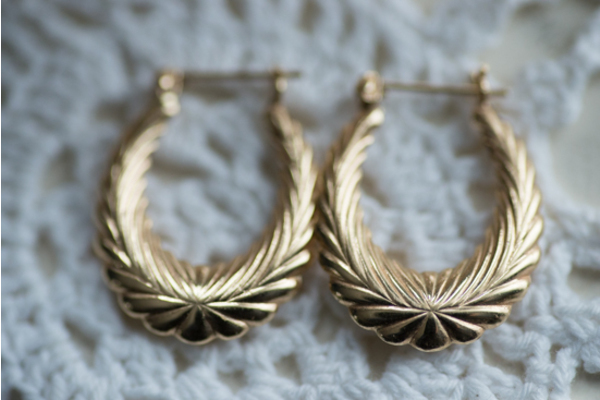 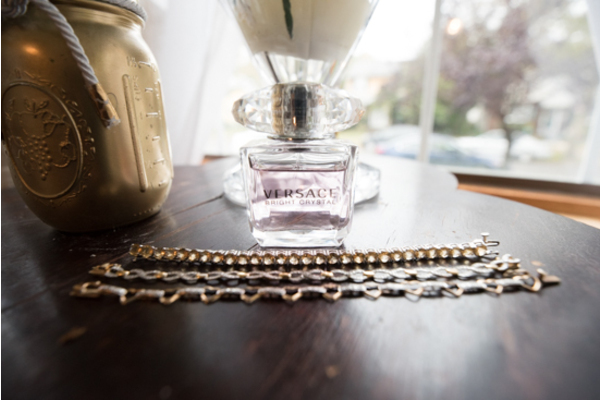 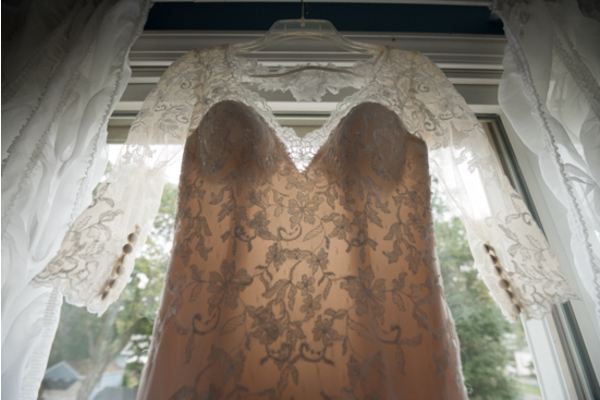 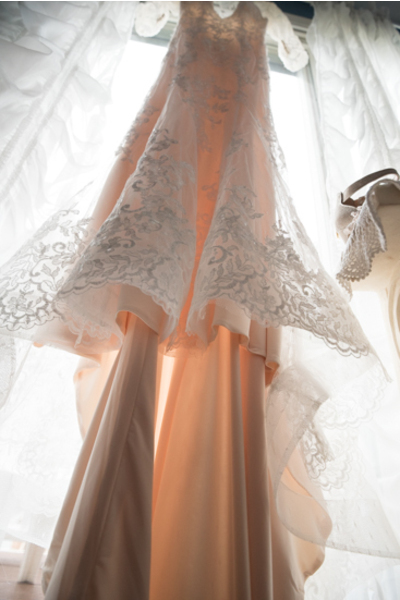 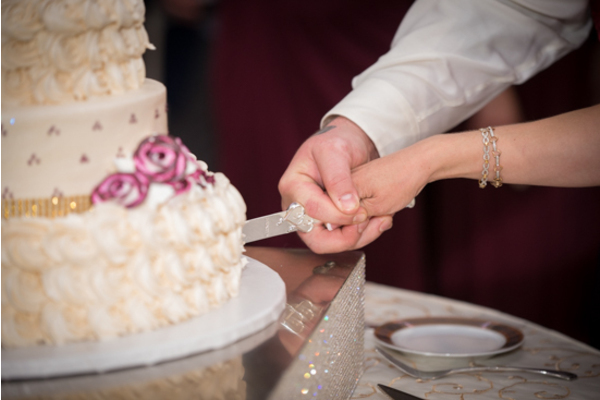 Our NJ Wedding Videographer was there as she was given away to her soon-to-be husband. 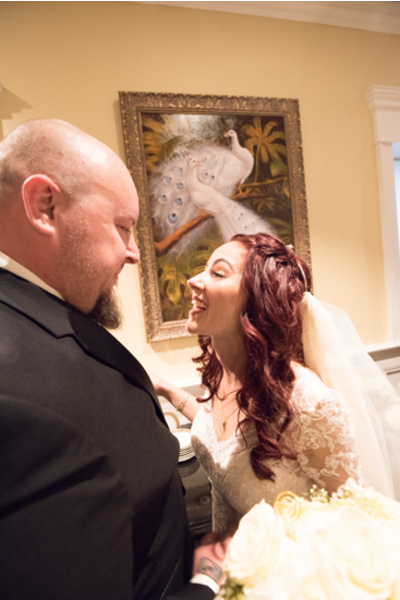 These two had such a beautiful personalities that radiated throughout their wedding day. 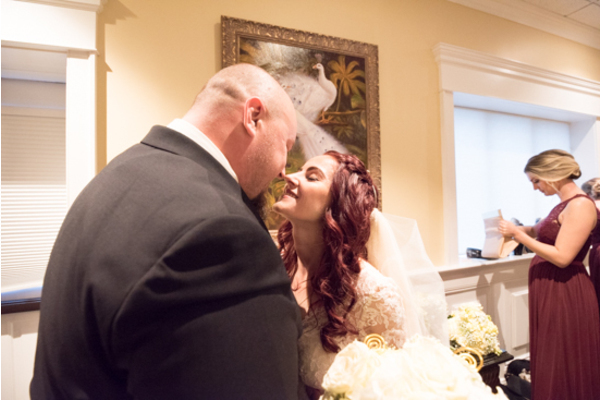 The sweethearts read their vows to one another and sealed them with a kiss! 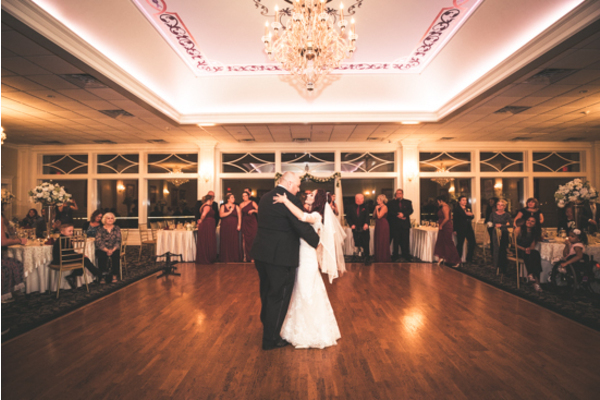 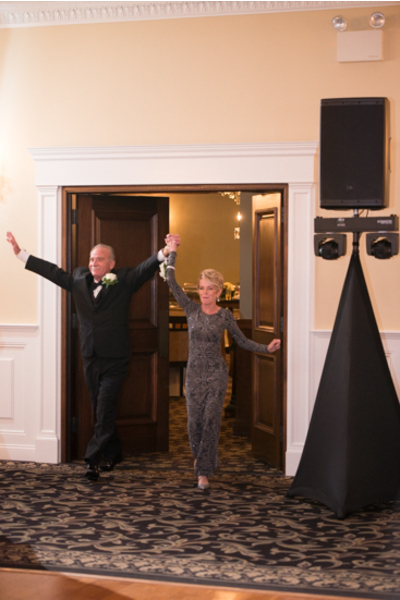 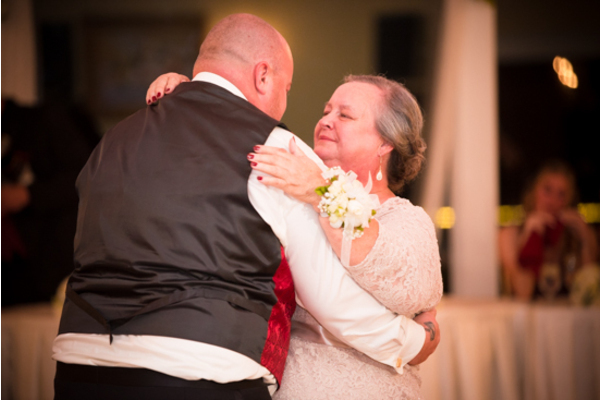 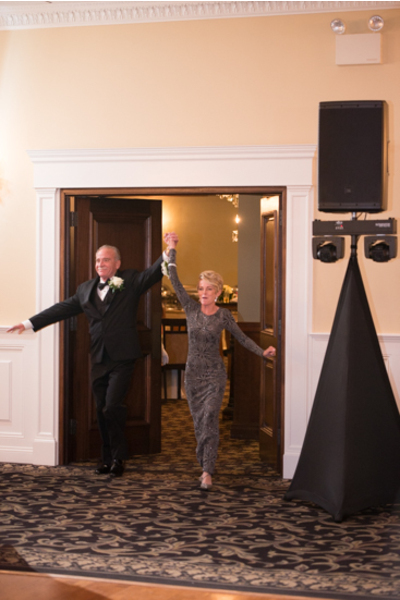 At the unforgettable ceremony, the bride and groom made their grand entrance followed by a first dance. 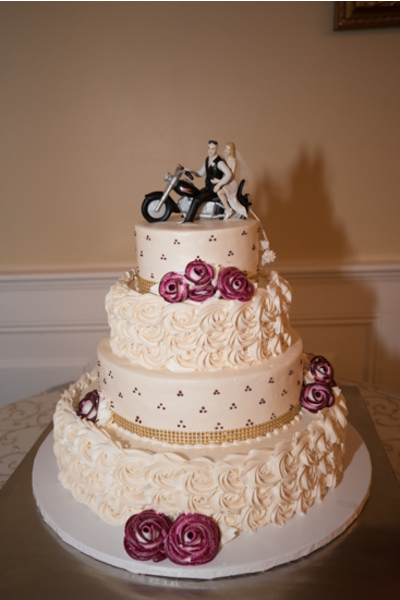 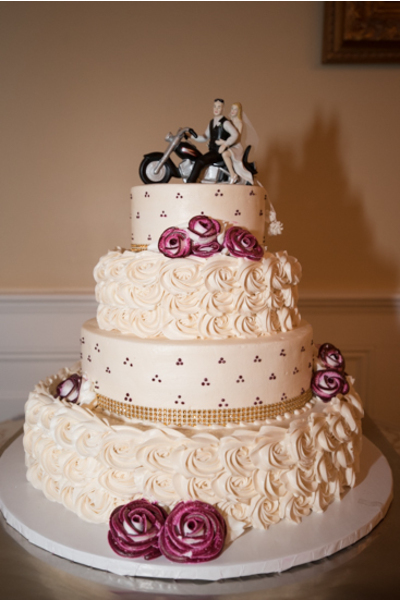 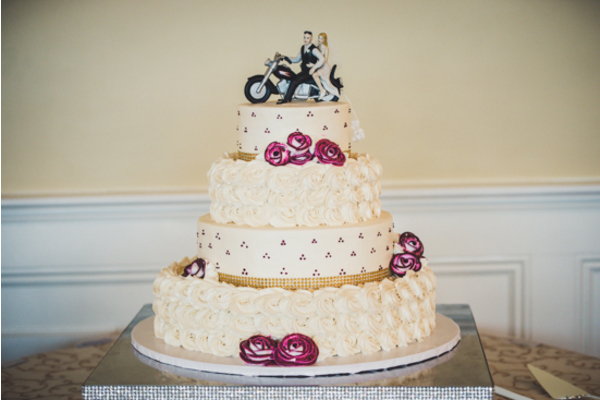 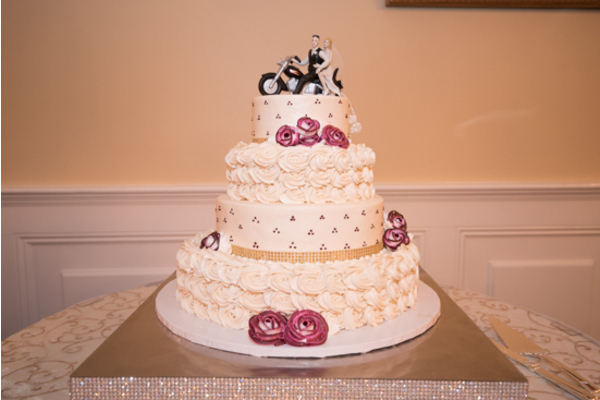 Alicia and Nathan’s wedding cake was incredible, which featured a topper of them on a motorcycle! 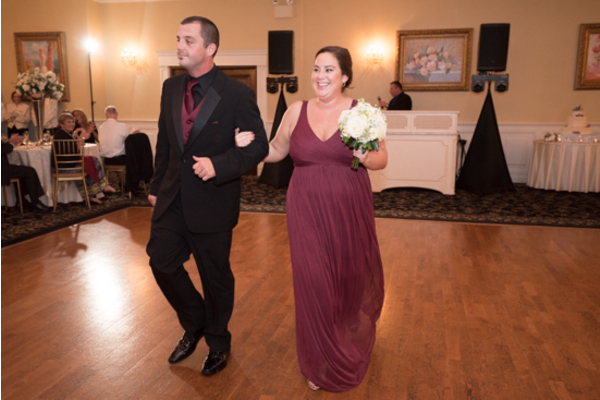 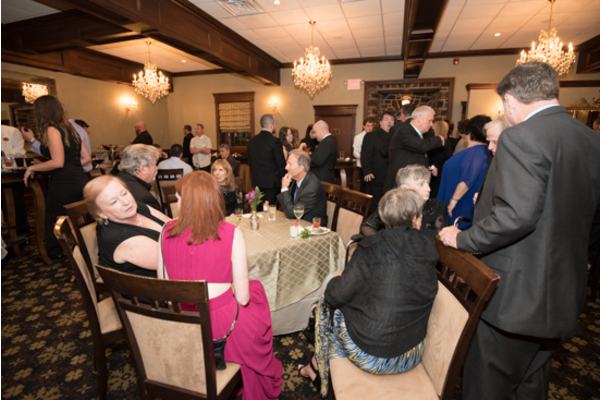 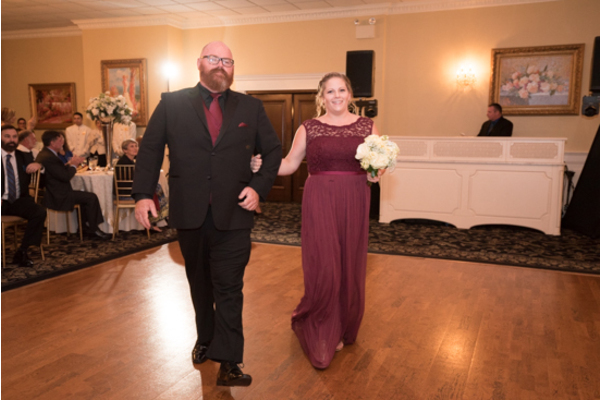 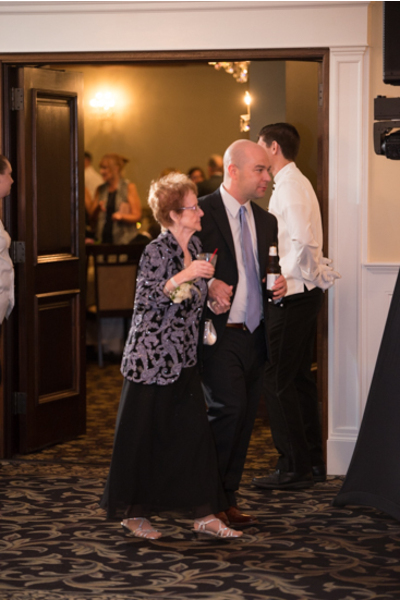 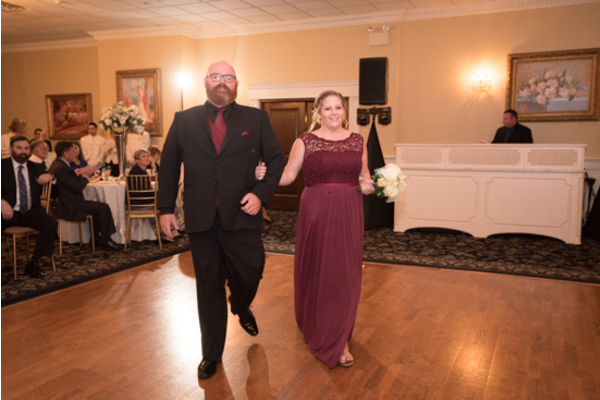 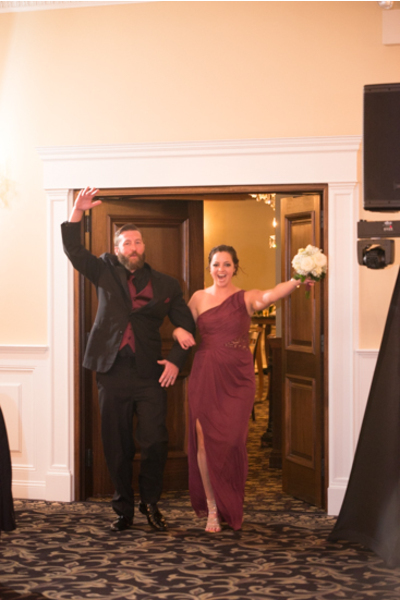 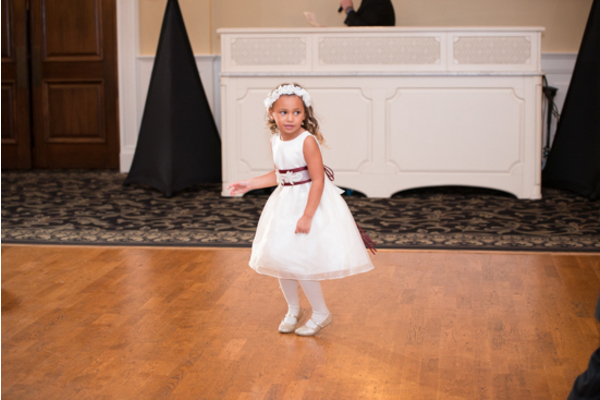 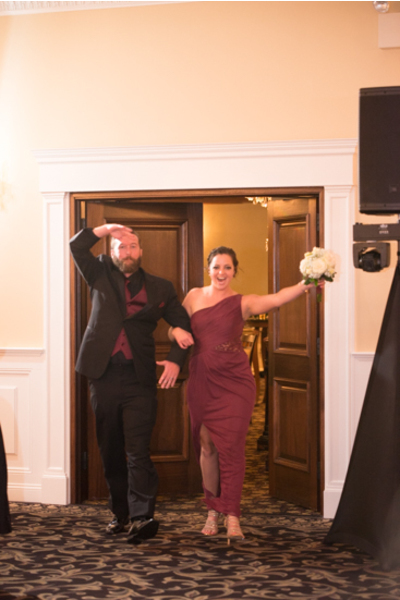 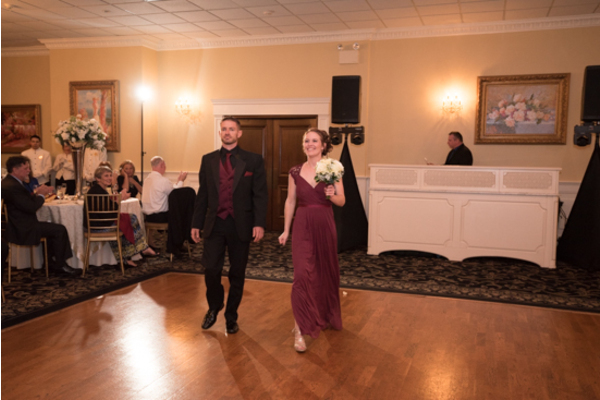 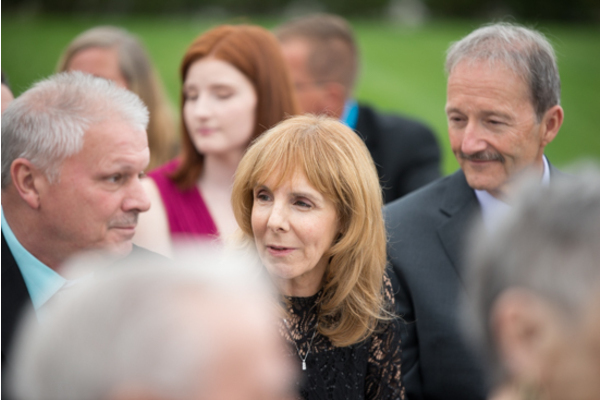 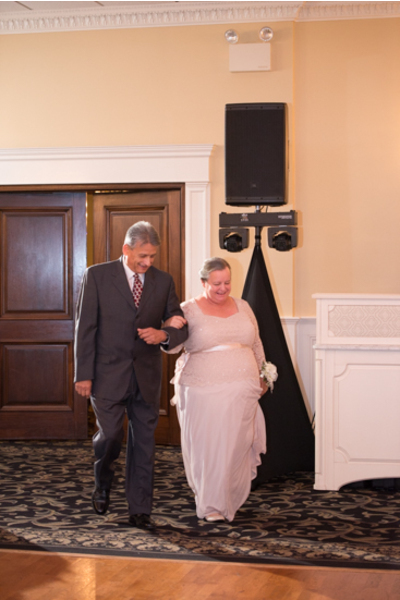 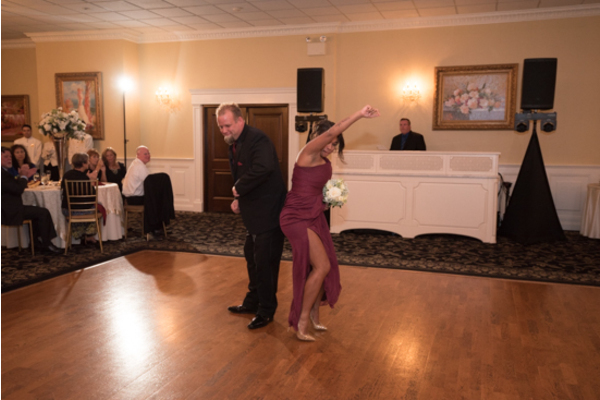 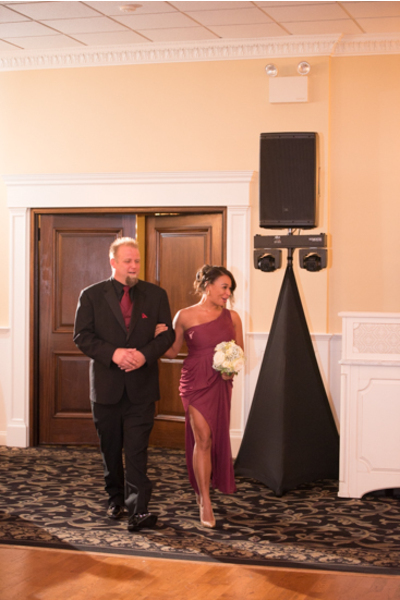 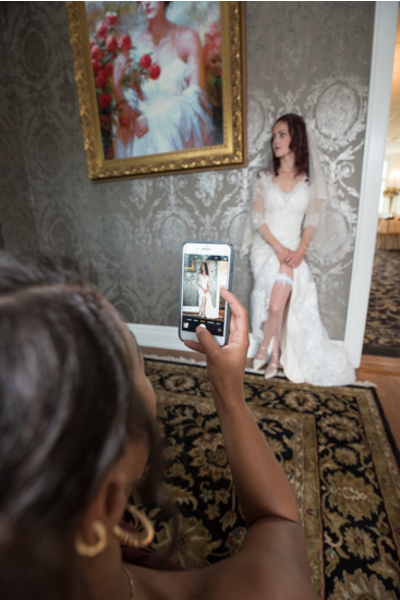 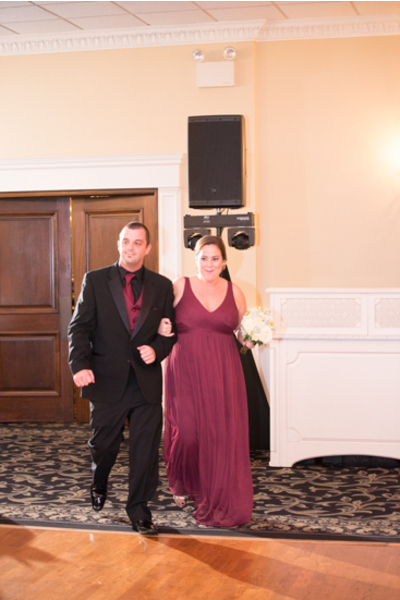 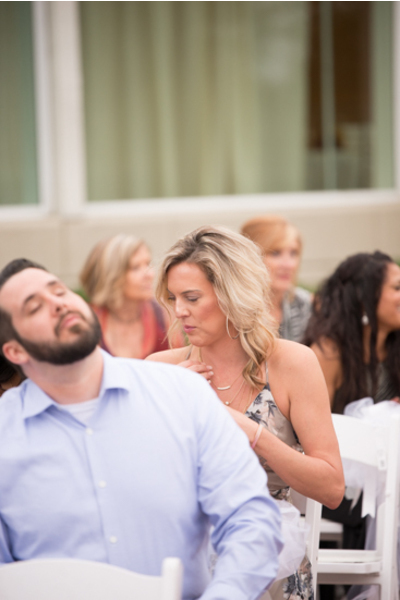 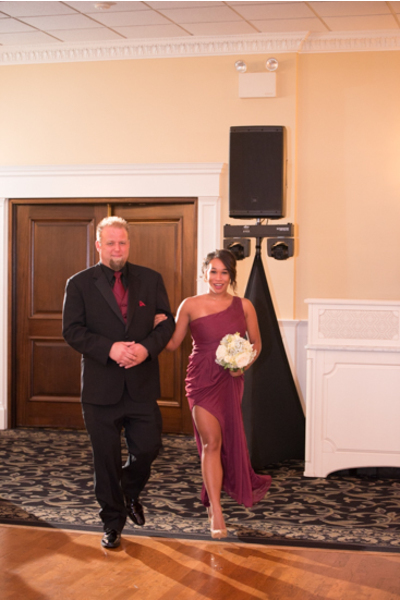 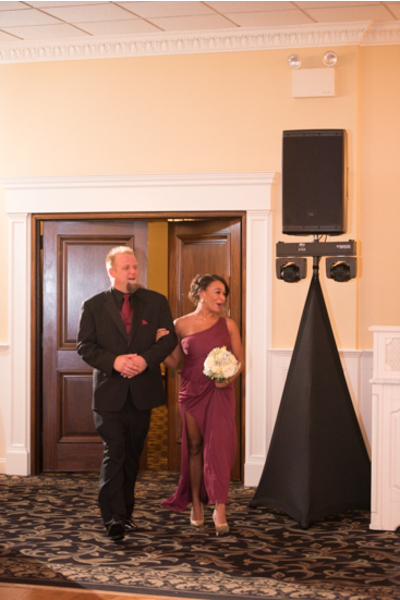 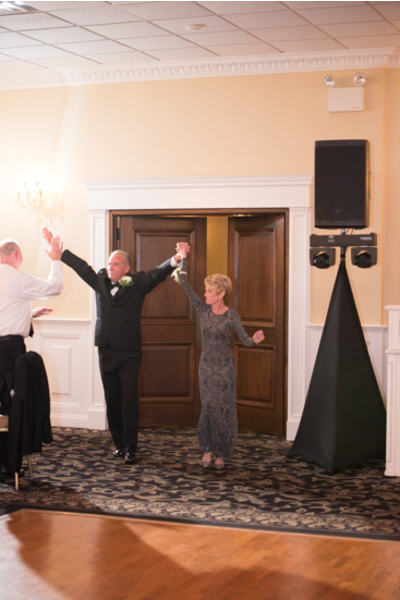 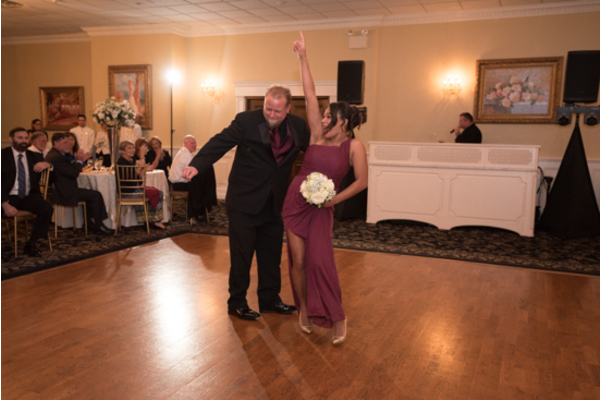 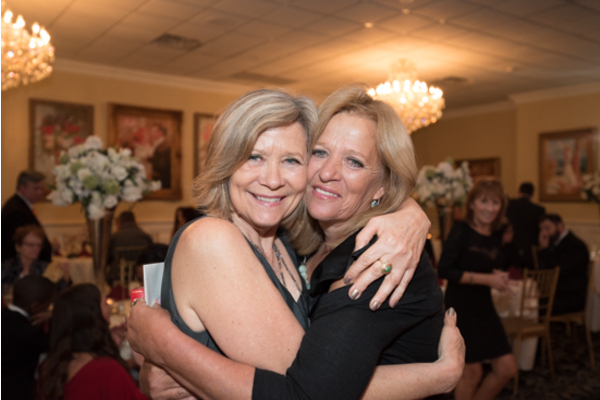 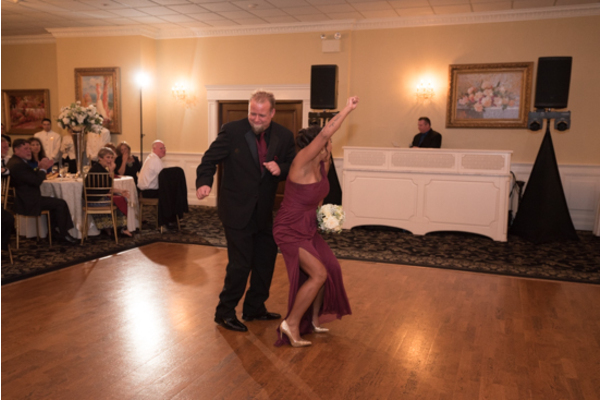 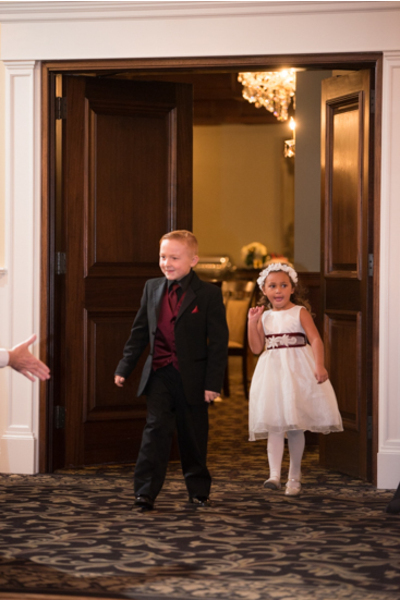 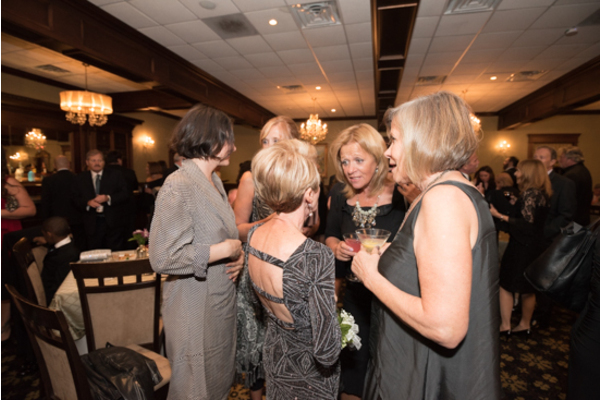 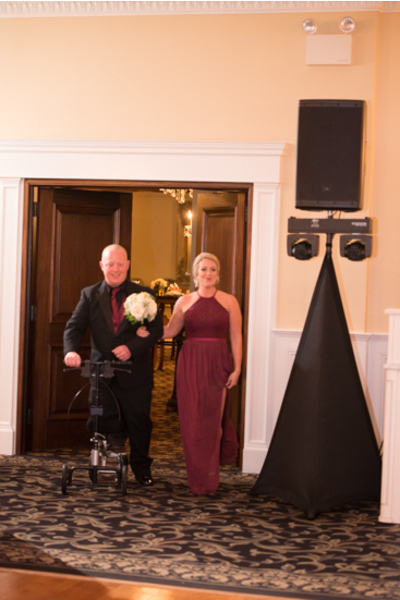 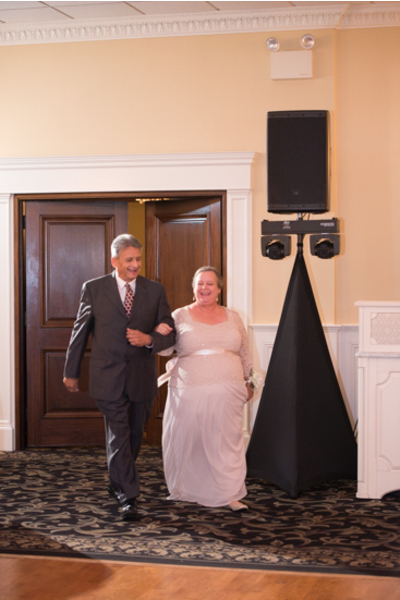 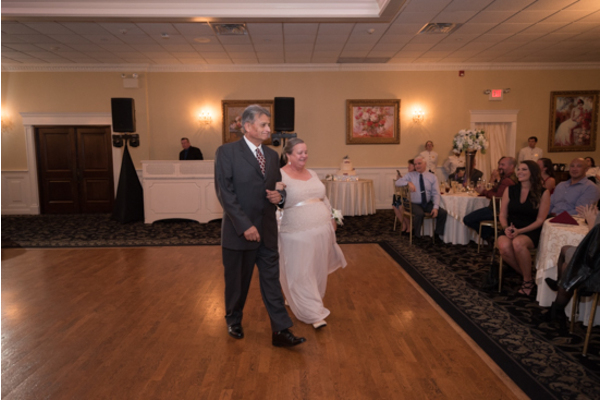 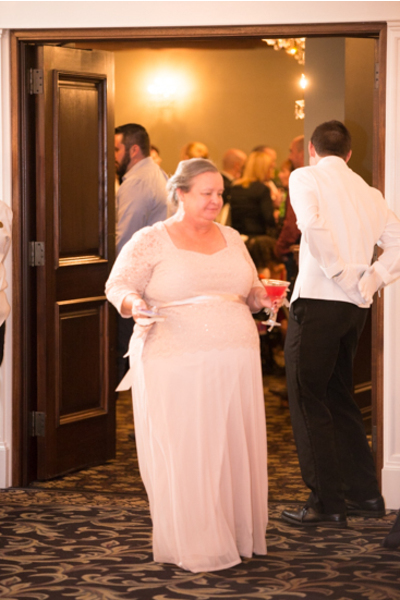 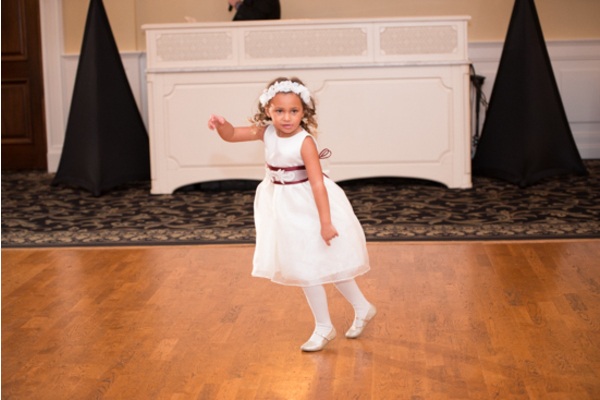 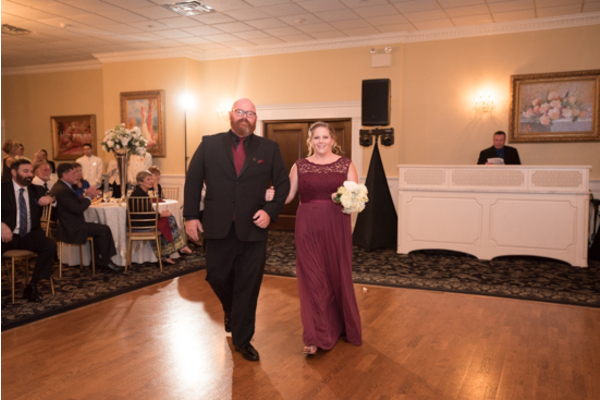 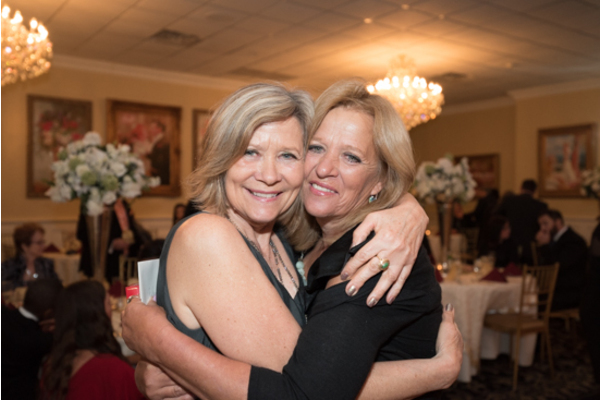 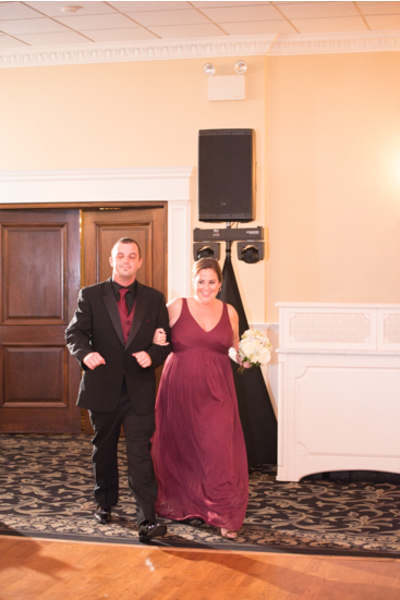 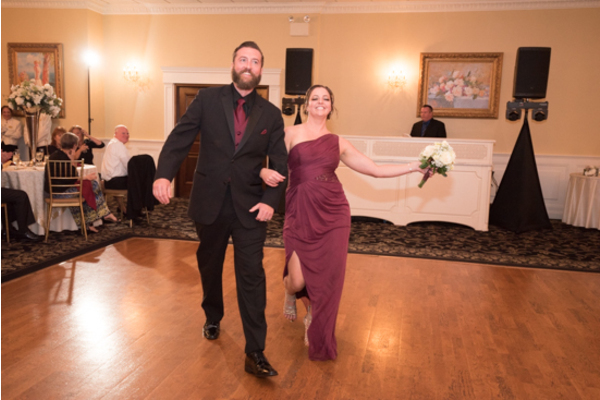 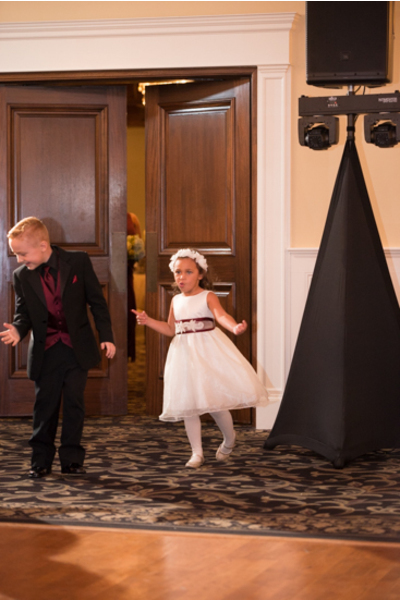 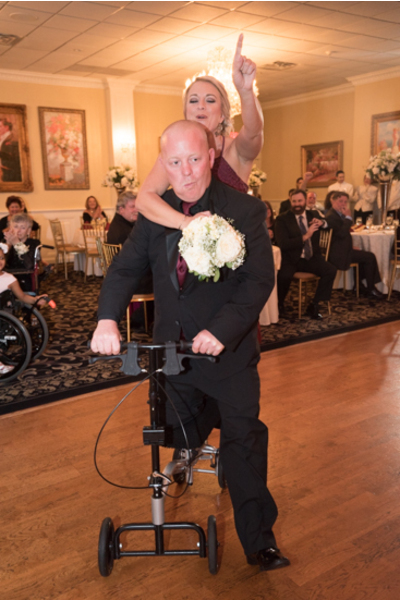 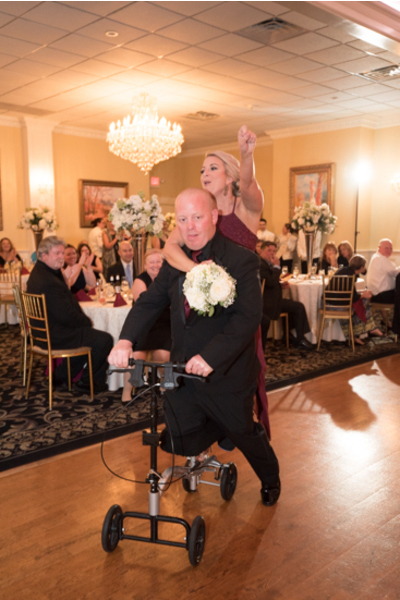 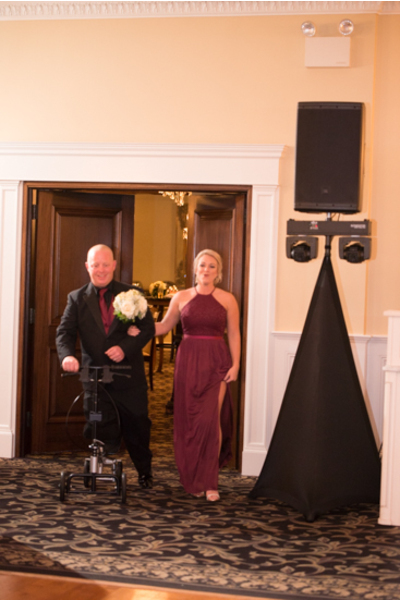 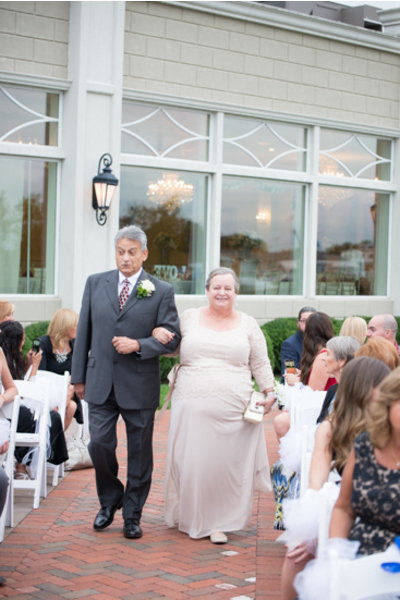 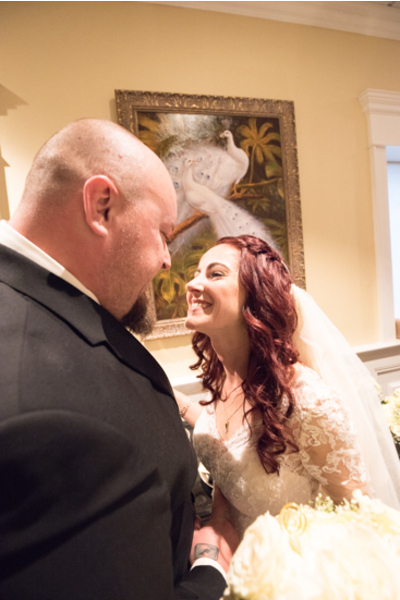 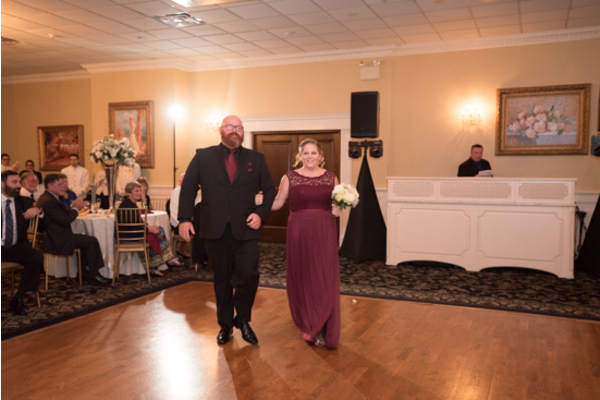 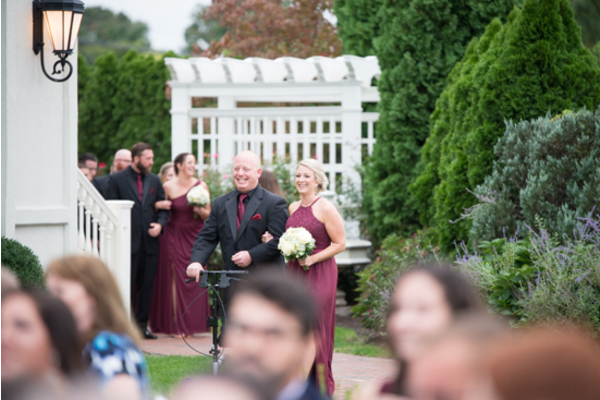 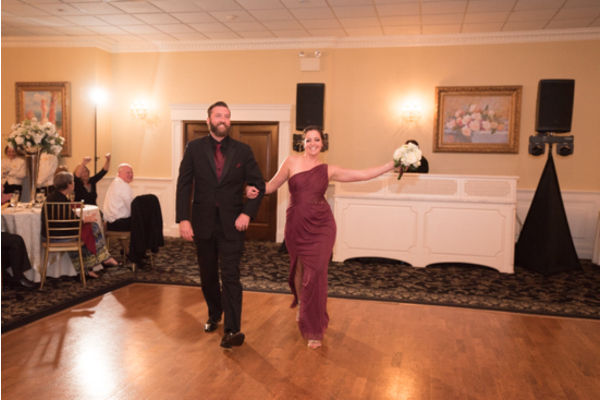 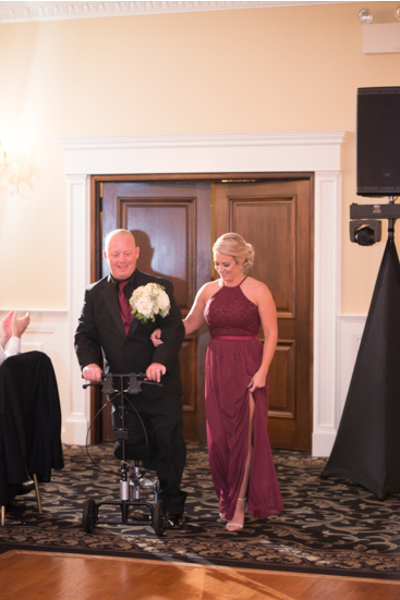 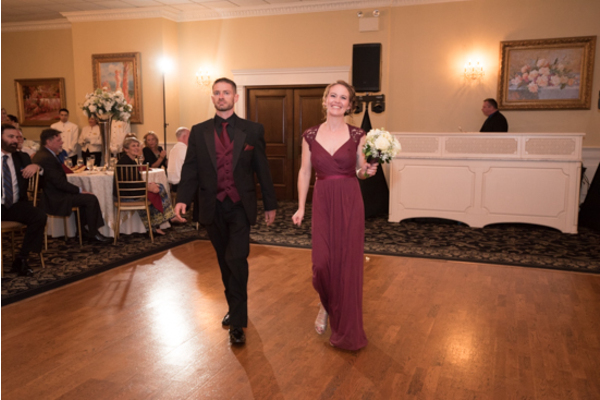 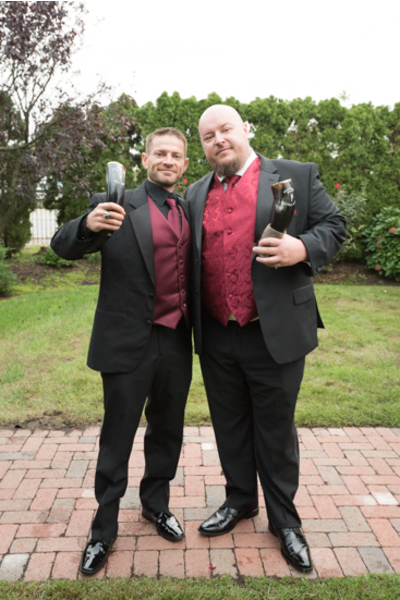 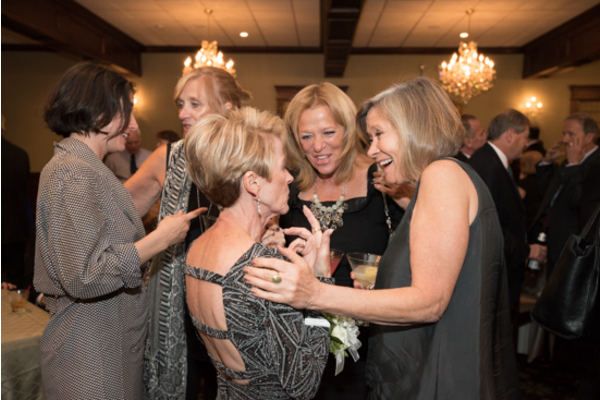 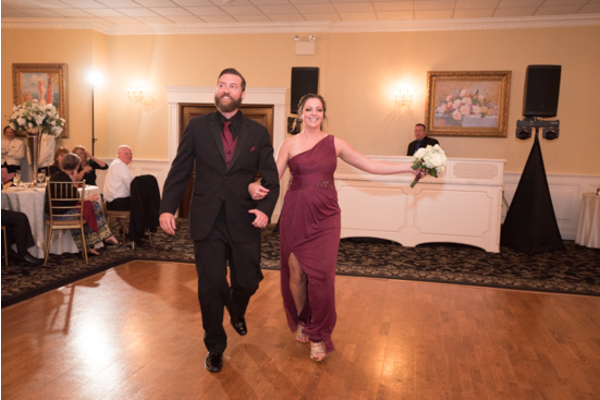 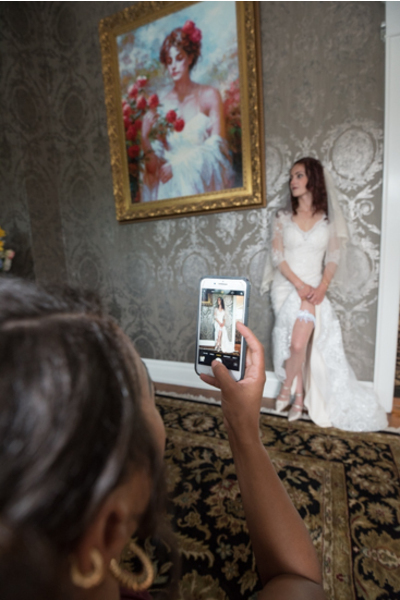 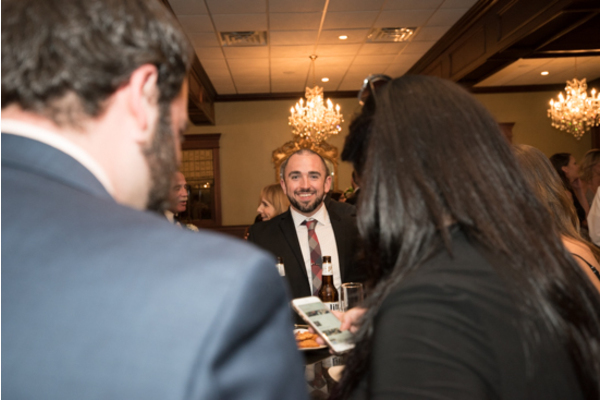 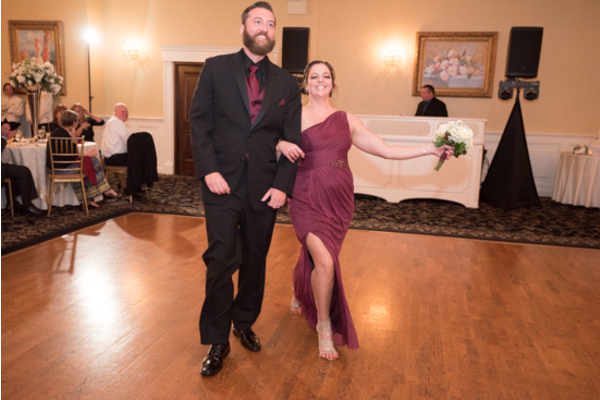 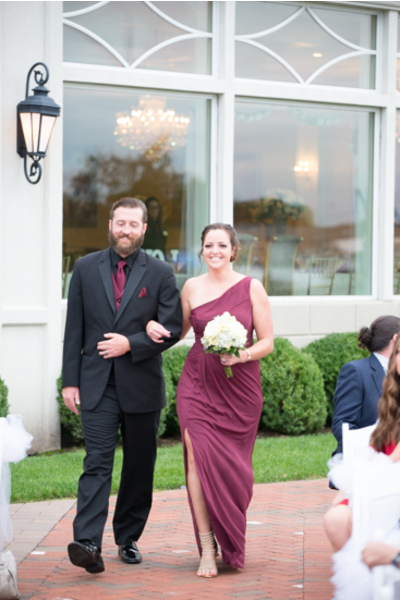 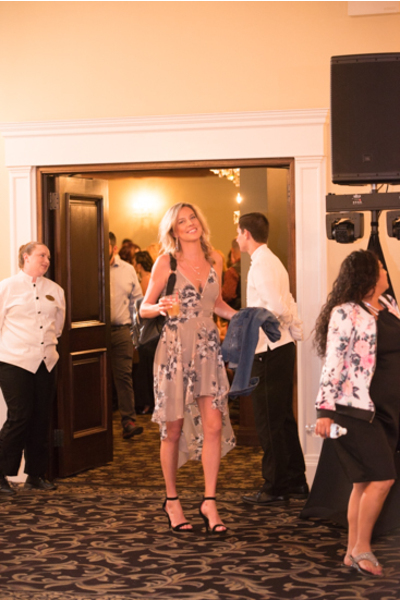 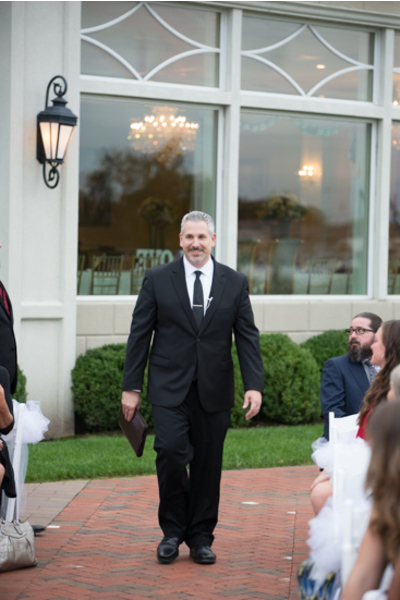 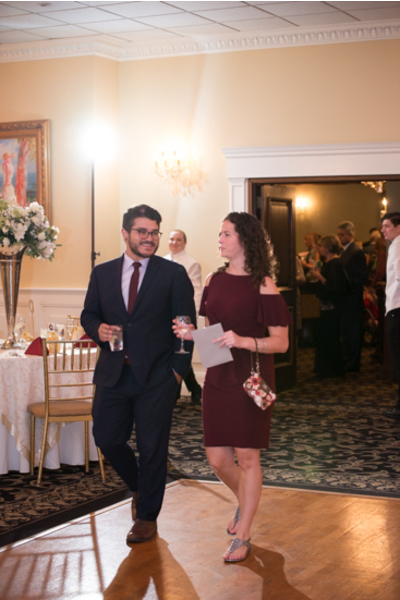 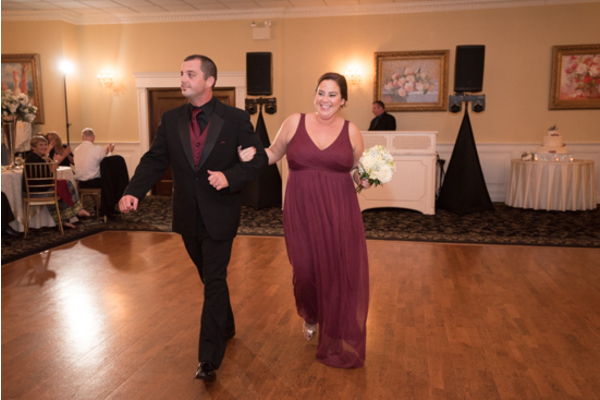 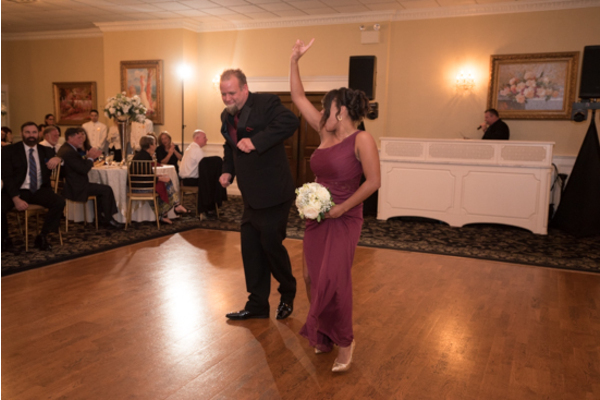 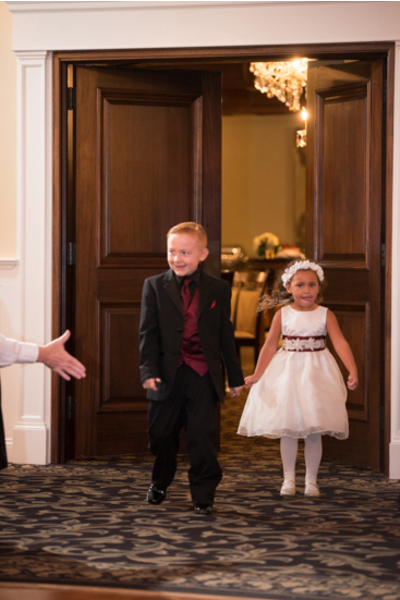 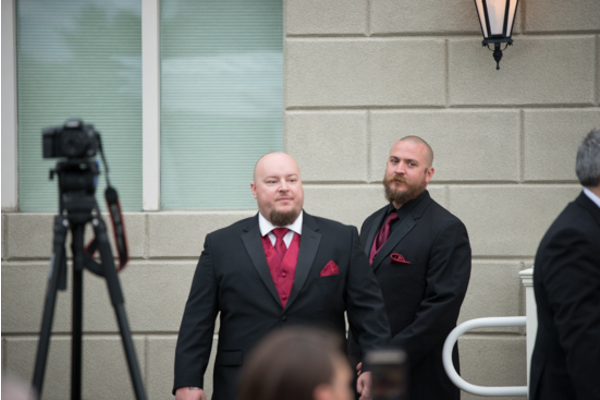 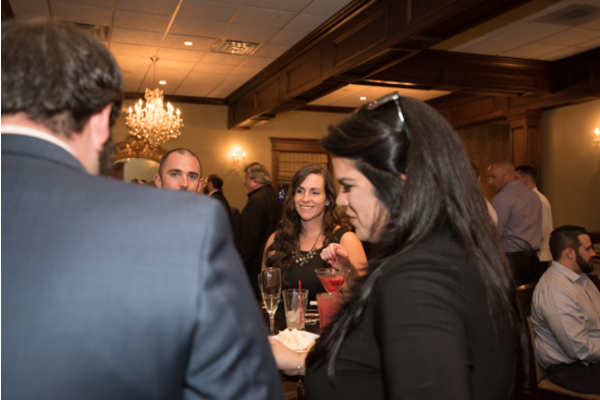 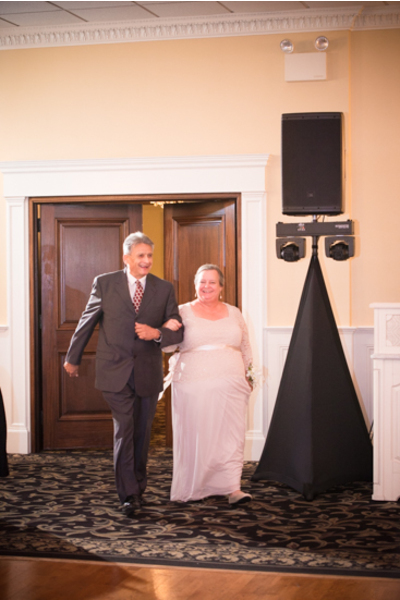 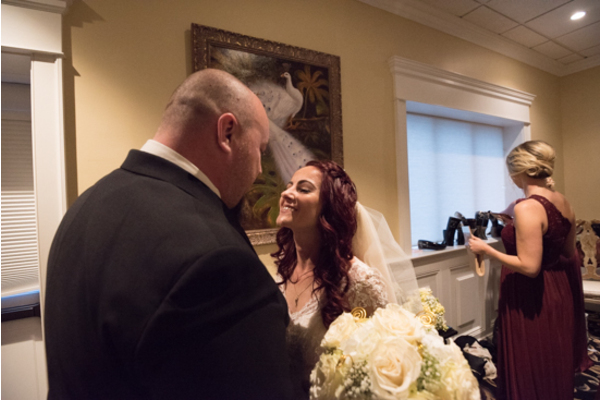 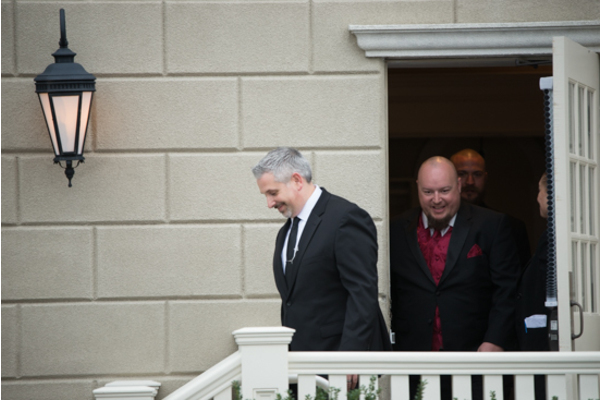 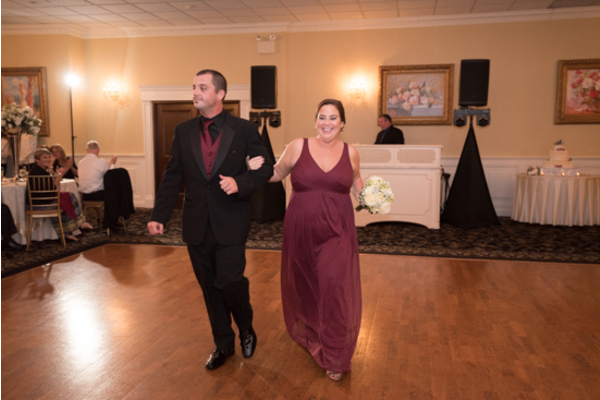 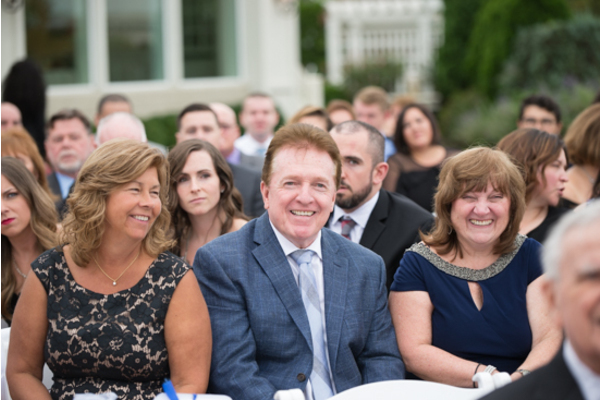 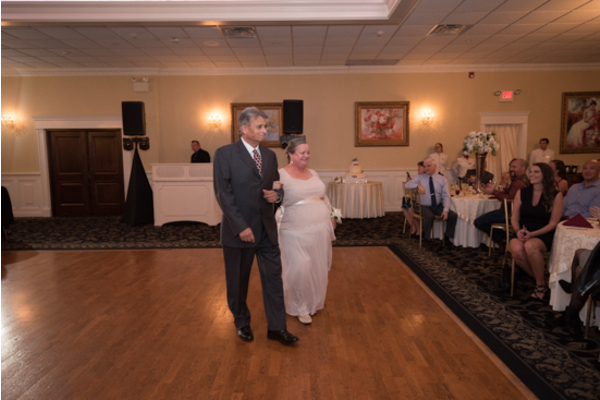 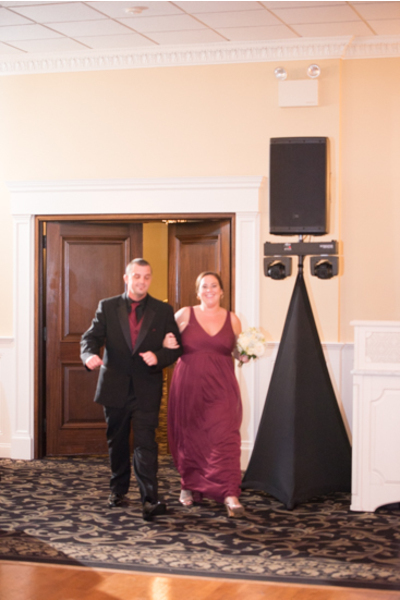 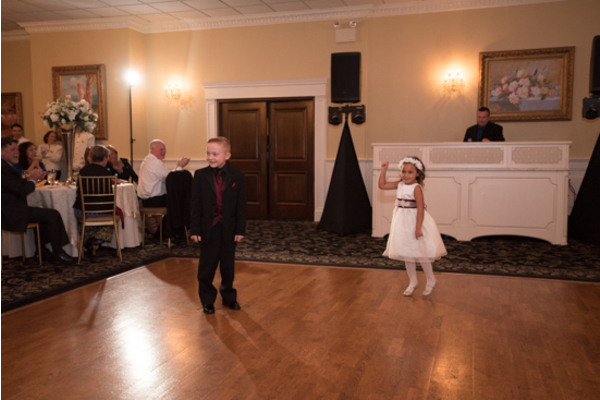 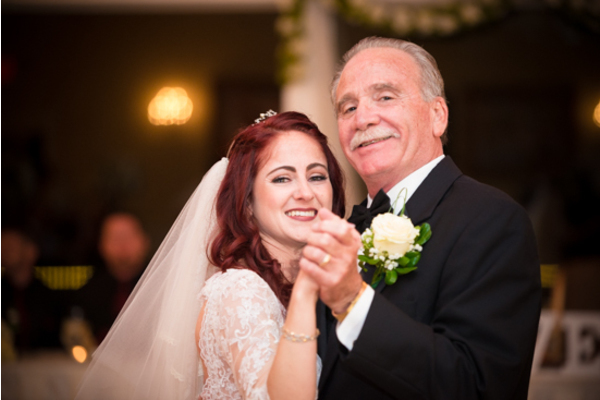 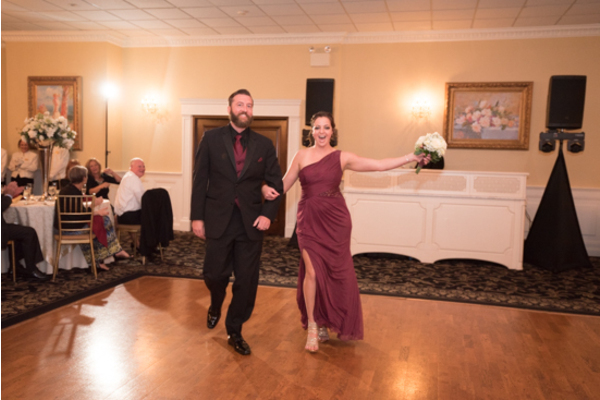 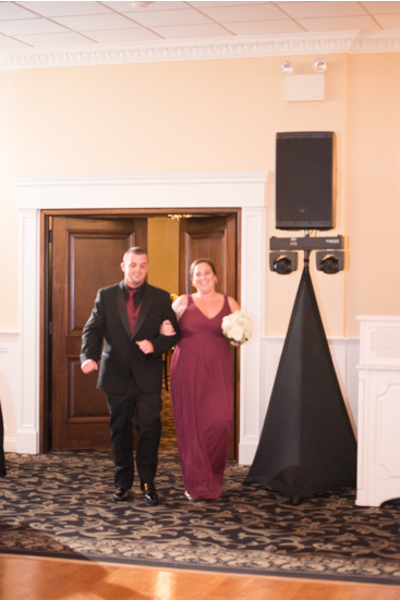 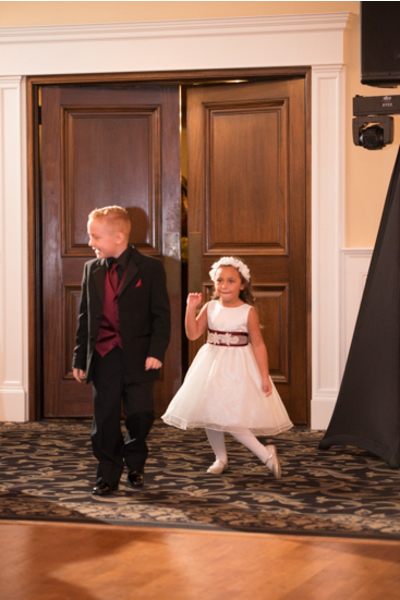 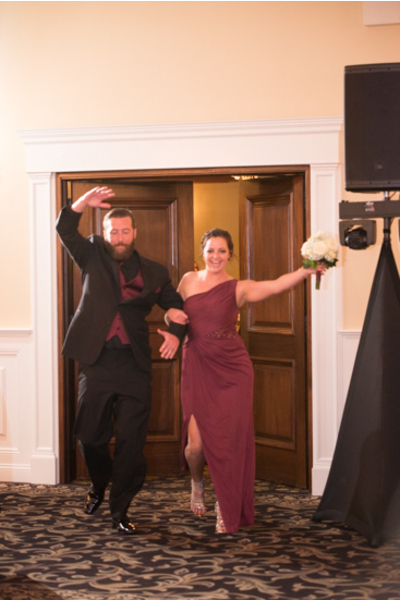 Everyone had smiles from ear to ear as our NJ Wedding Videographer recorded the love that filled the room that evening. 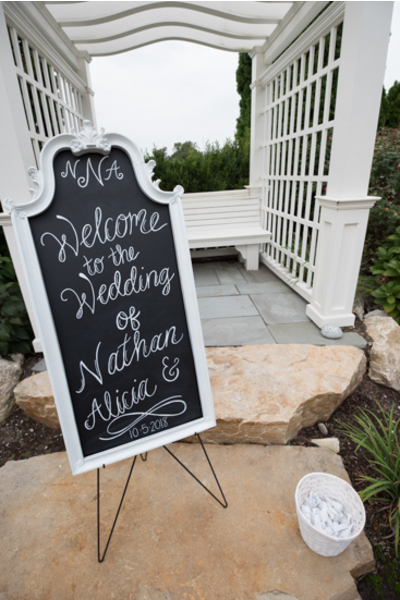 Congratulations, again, to Alicia and Nathan on their recent marriage! 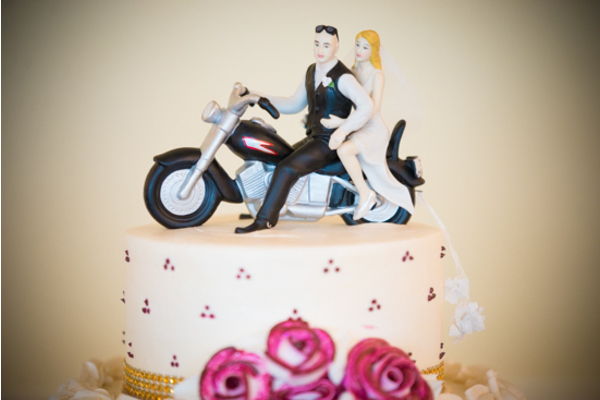 We wish you endless amounts of love and happiness as husband and wife!